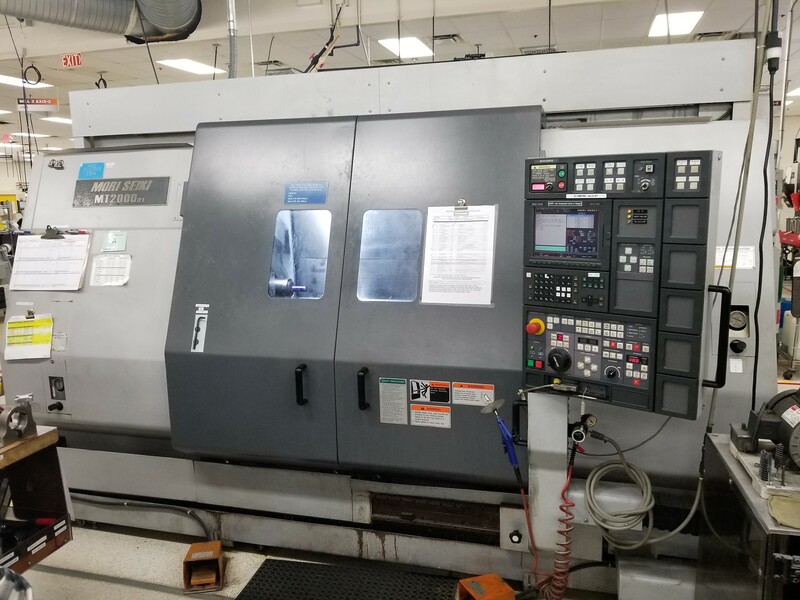 16.14” X 40.5” CNC Turning Center with Fanuc 21i-TB Control, Heavy Duty Long Bed, Live Tooling, 10” Chuck, Chip Conveyor, Tailstock and Tool Setter. 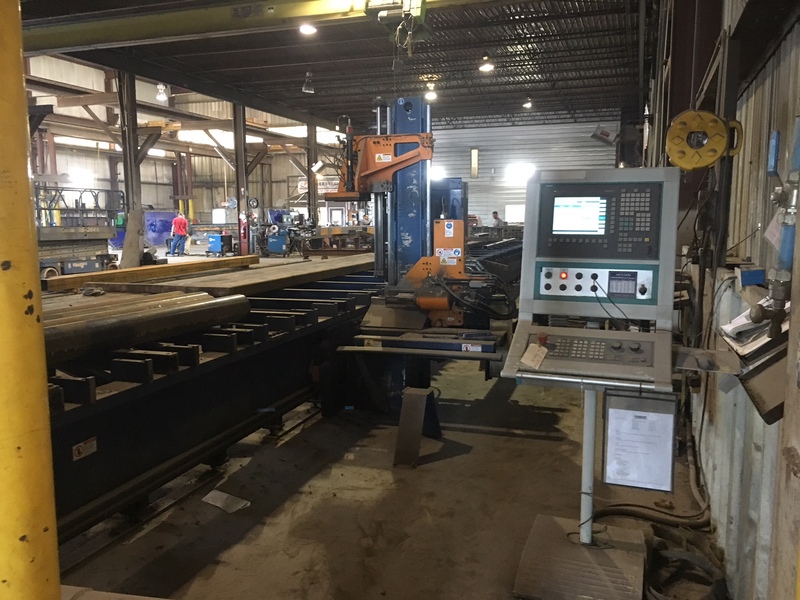 250 Ton X 12’ CNC Hydraulic Press Brake with the ETS 3000 CNC Controller, Premium Backgage, X and R Axis on Backgage & ETS Control Pedestal with Foot Pedal Operation and Die Holder. 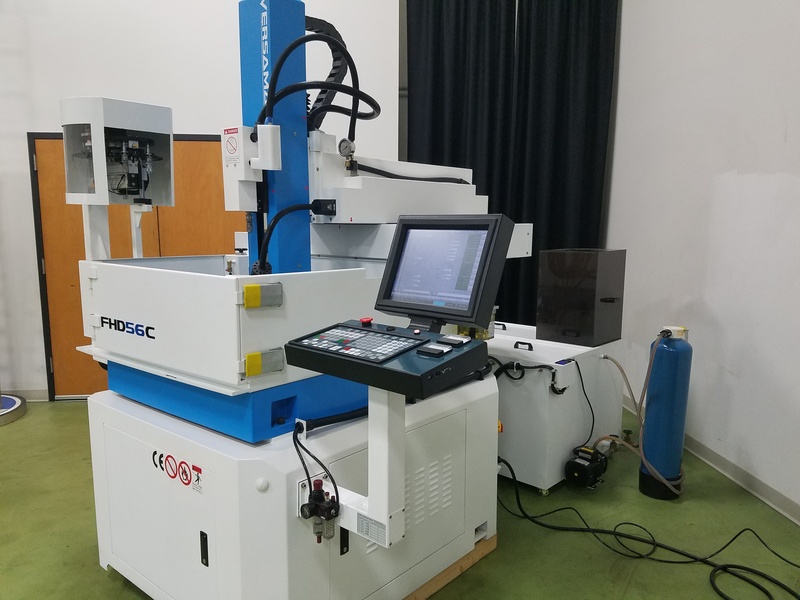 15.75” X 11.81” X 15.75” Travels CNC Submerged Wire EDM with Fanuc 18iWA CNC Controller, USB Interface, Fast Fill/Drain Pumping System, Auto Wire Threading/Rethreading, High Speed Wire Chopper, Machined T-Slot and Ground Working Table, Extreme U/V Travels of 19.68” X 15.75”, Glass Scales on All Axis and Collision Protection. 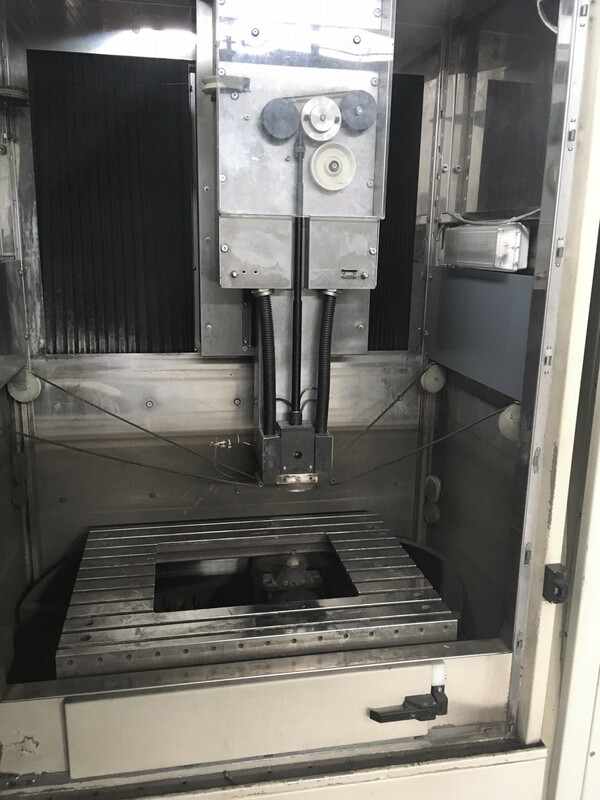 30” x 16” Vertical Machining Center with HAAS CNC Control with USB Port, Brushless Servos on all Axis, (2) Speed Gear Box, Programmable Coolant, Quick Code, Rigid Tap, Twenty Position Automatic Toolchanger, Chip Auger, Telescopic Way Covers, Air Gun, (6) Leveling Pads, BIJUR Automatic Lubrication System, External Coolant Tank & Coolant Pump, Machine Manuals. 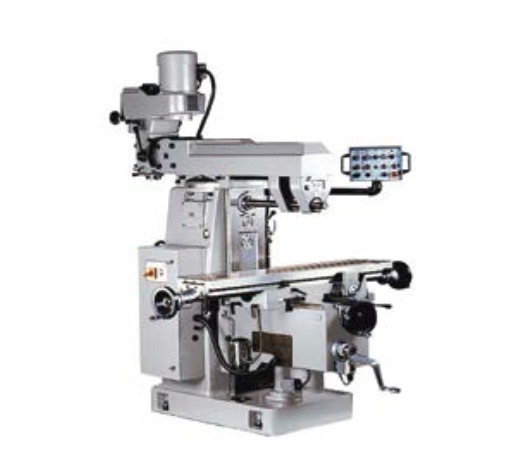 16.9” X 16.9” Capacity Fully Automatic and Enclosed CNC Vertical Bandsaw with Amada CNC Cutting Control For Blade Control With Quick Approach And Work Width Sensor. Blade Slip, Binding, Breakage Sensor. 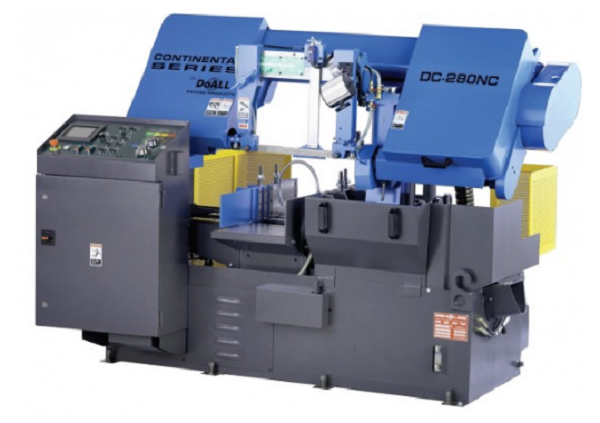 Cutting Controls Include Cutting Oil Flow Rate, Out Of Square Cut Detector, Feed Stroke, Front & Rear Vises, Roller Feed Tables, Wire Blade Brush, Hydraulic Blade Tensioner, Chip Conveyor and Full Enclosure. 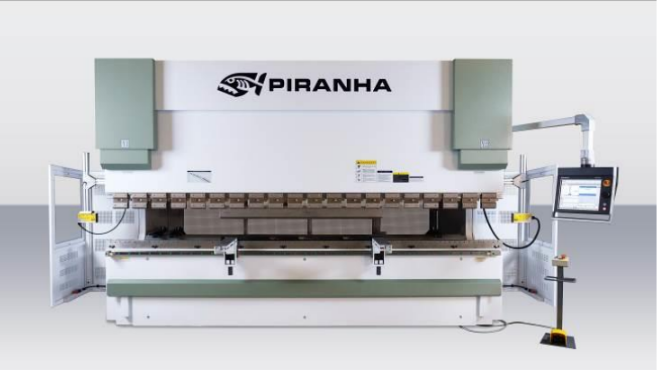 5' X 14' Dual Table 5-Axis Waterjet Cutting System with Wardjet Dual Touch Screen CNC Controller (IKUHLU* Software Interface), Dual 50HP 60KPSI KMT Intensifier Style Pumps, (1) Full 5-Axis Abrasive Cutting Head, (1) 3-Axis Abrasive Cutting Head, Abrasive Sensors, Dual Hoppers, Water Pre-Treatment System, Live Remote Camera, Front and Back Automatic SafeWalls™ with all Work Zones Protected by Light Curtains. 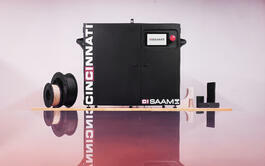 7.9” X 7.4” X 9.4” High Temperature 3D Printer with CI Print Local & Web Based Printer Management Software, 518°F Nozzle Temp, 194°F Degree Heated Bed Temp, Heated Cabinet and Sealed Spool Drying Chamber Designed for Use with ULTM 9085 PEI, Carbon Fiber Nylon and Makeshaper PLA Spool as well Other Printable Materials. 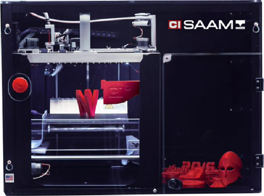 7.9” X 7.4” X 9.4” 3D Printer with CI Print Local & Web Based Printer Management Software with Enclosed Cabinet and Automated Part Removal, 518°F (260°C) Nozzle Temp, 194°F Degree Heated Bed Temp Designed for Use with PLA and other compatible open material from any supplier. 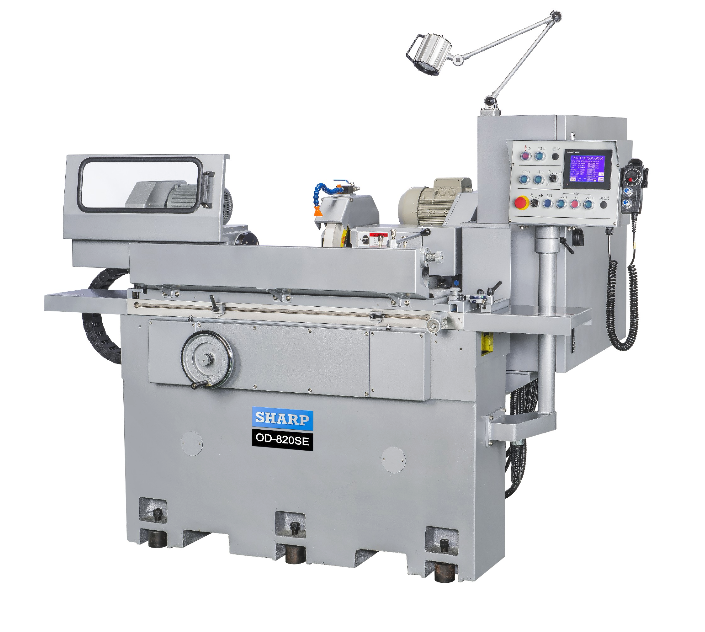 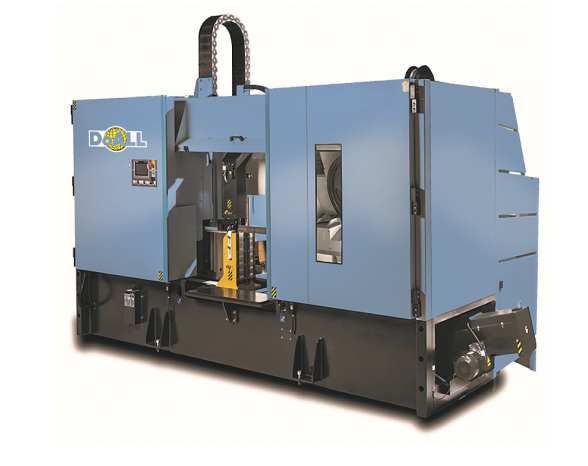 ¼” X 12’ Hydraulic Power Squaring Shear with Accurshear SC2 Programmable Control, 10’ Squaring Arm, T-Slot in Front Of Bed, Machine Groove In Top Of Bed, Ball Transfers, and Dual Front Supports. 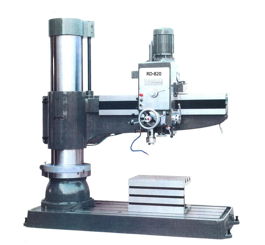 51.57” x 39.76” x 24.41” Travels, CNC Traveling Column CNC Wire EDM, with Hyper 1 CNC Control, Dielectric Filter System, Auto Rethreading, Auto Restart After Power Out, 66 LBS Spool, 12,228 Maximum Part Weight, 67.7” x 58.1” Table Size, 82.7” x 65.8 Worktank Capacity, and 15 Degrees Max Taper Angle. 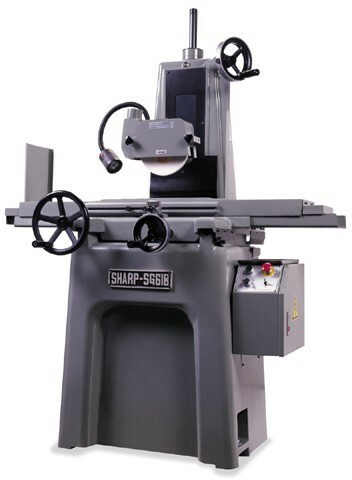 7” X 3-¾” Capacity Industrial Mitering Cold Saw with 60° Left and 45° Mitering Capability, 14” Blade, Pneumatic Foot Pedal Operated Vise, Full Enclosed Steel Base, Flood Coolant System, Adjustable Material Stop, Wire Chip Brush, Gas Spring Balanced Cutting Head, and Bearing Supported Axial Table for Accurate Miter Cutting. 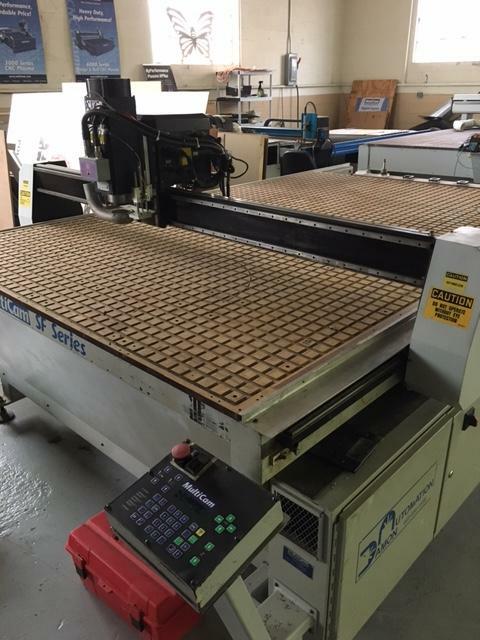 168” x 40” x 16.9” 4 Axis Longitudinal Router with Mobile Control Console with PC, 17'' Touch Screen Monitor, Mouse and Keyboard, 4 Pneumatic Vices with Positioning through Carriage. 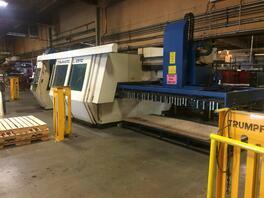 126” x 12 Gauge CNC Folding System with RAS 3000 Series CNC Control, Foot Pedal Operation, Table and Gage. 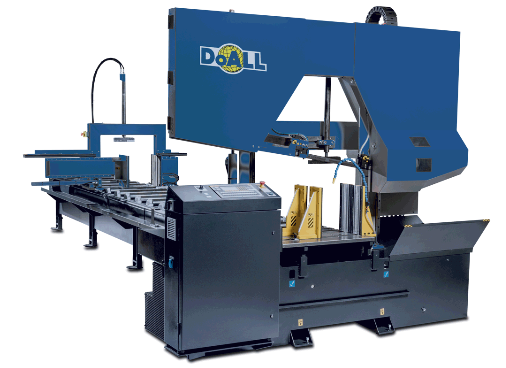 51”x52”x20 Ton CNC Mechanical Punching System with Fanuc 16P Control, 22 Position Turret with 4 Auto Index Stations Using 112/114 Style Positive Strip Tooling. 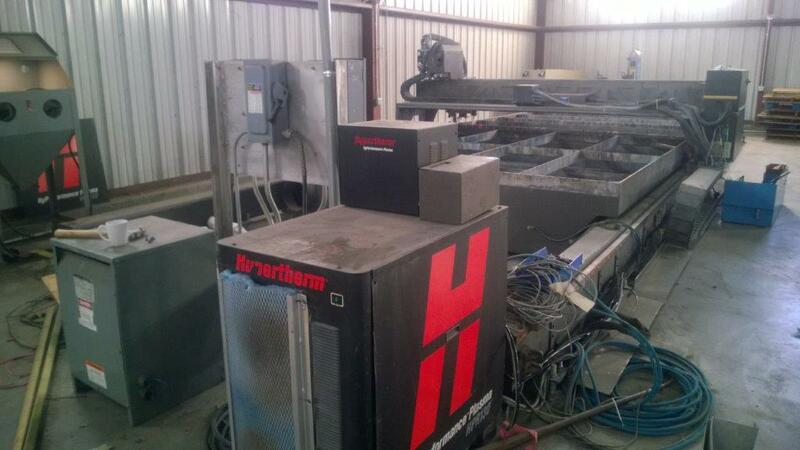 10’ X 5’ CNC Abrasive Waterjet Cutting System with Calypso Exclusive PC Based Controller Running Geomate and NC-Console Operating Software, Dual Programmable Heads, 60HP 60KPSI KMT Intensifier Pump with Closed Loop Cooling Unit, Remote Pendant & Abrasive Hopper. 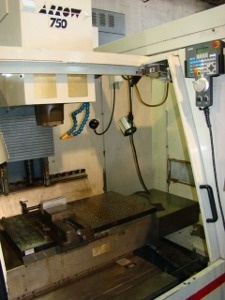 Machine Rebuilt and Updated in 2014 to Current Control and Software Package. 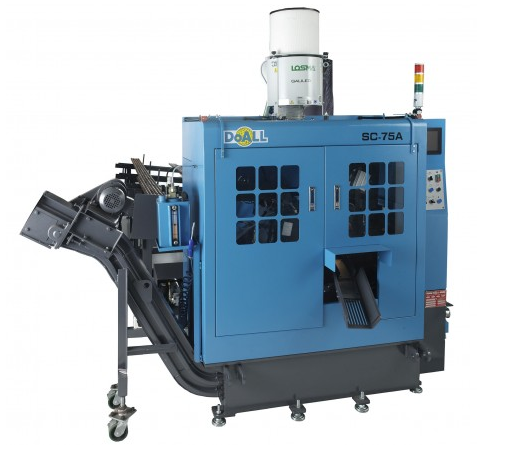 125 PSI X 10 HP Rotary Screw Air Compressor with Smart Energy Controls, Poly-V Belt Drive, High-efficiency Filter, Whisper Quiet Operation. 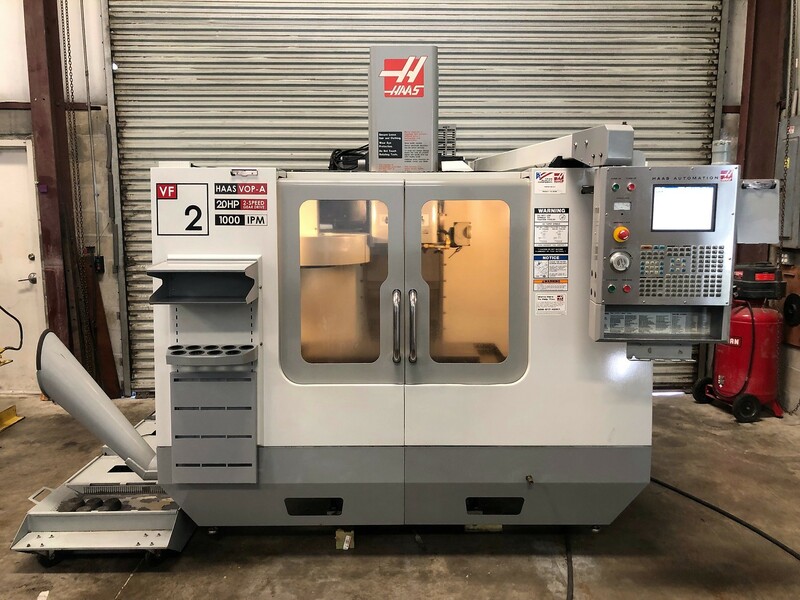 19.68” X 9.25” x 14.17” 5 Axis Ultra High Speed CNC Vertical Machining Center with a Heidenhain iTNC 530 2P CNC Control, Tool Magazine 68 ATC / HSK-E40, Prep for Mist Extraction,APS Extended,Kinematics Option-Touch Probe Cycle for Inspection,2nd Coolant Nozzle & Infrared Touch Probe . 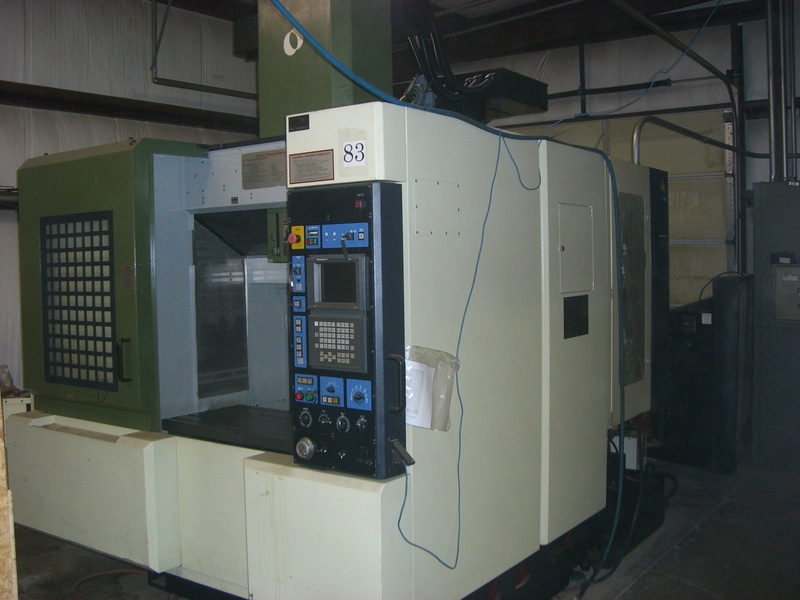 31.50” X 24” Capacity CNC Vertical Twin Machine Turning Center with Fanuc Series 18i-TB, 30HP Table Drive, 2000 RPM Spindle, A2-11 Spindle Nose, 21” Chucks on Both Machines. 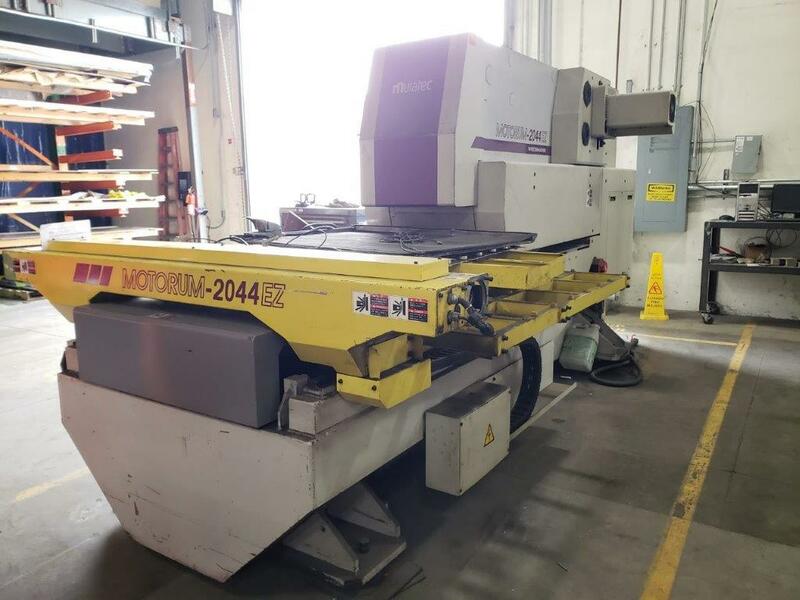 35.4” X 39.3” CNC Turning Center with Fanuc MSX-501 “MAPPS-III” CNC Controller, 40.6” Swing, 6.5” Spindle Bore 50HP Driven, Hinge Belt Chip Conveyor, Side Discharge, Large 50 HP Heavy Duty Box Way Massive Spindle, Heavy Duty Chip Removal. 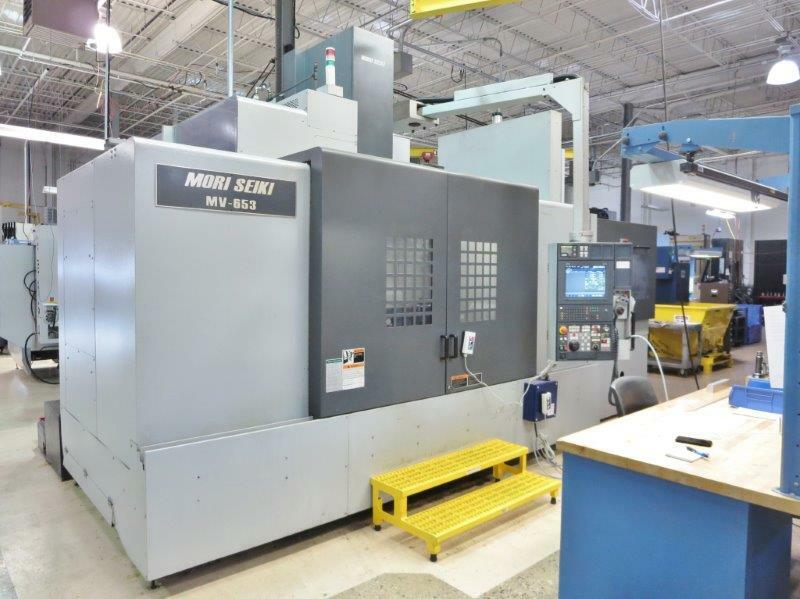 21.6” X 40.1” Cutting Capacity Mill/Turn Center with Mori Seiki MSG-501 CNC Control, 2.5” Bar Capacity, 0.001° Spindle Indexing, 10HP Milling Head 120° (*/-) Milling Head Rotating Range, 40 Position ATC, Rapids 945 IPM, 5 Axis Milling Head with B-Axis and Y-Axis, Chip Conveyor, Probing, (10) Capto Tool Holders Included, Extremely Well Maintained and in Excellent Condition running extremely high tolerance parts as removed from Medical Facility. 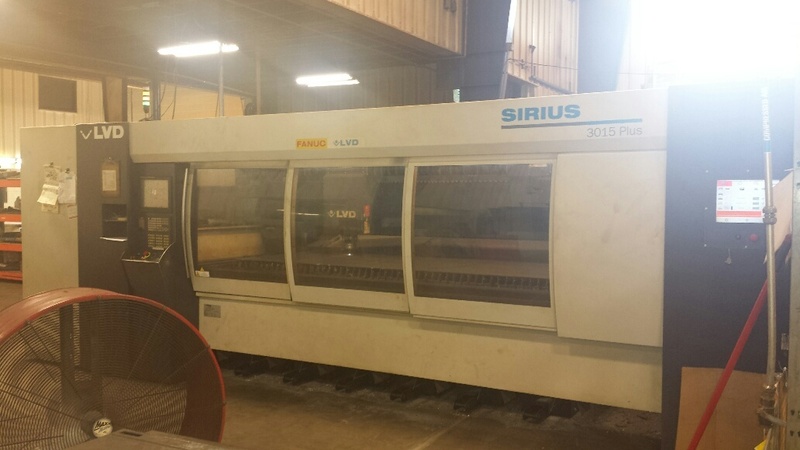 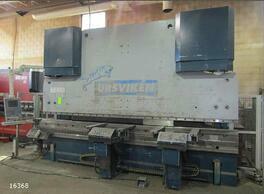 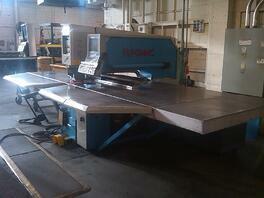 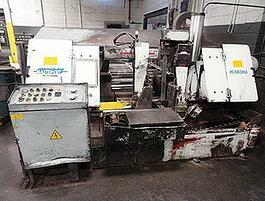 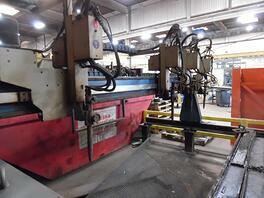 88 Ton X 8’ CNC 9 Axis Hydraulic Press Brake with 6-Axis CNC Backgauge and Manual. 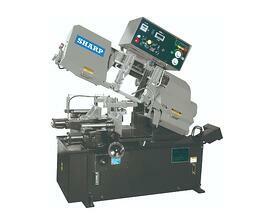 10' X 1/4" Hydraulic Shear with 5’ Squaring Arm and User Manual. 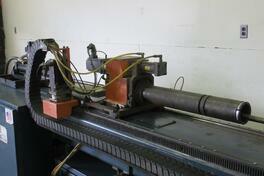 36” x 13” Vertical Manual Band Saw with Owners Manual. 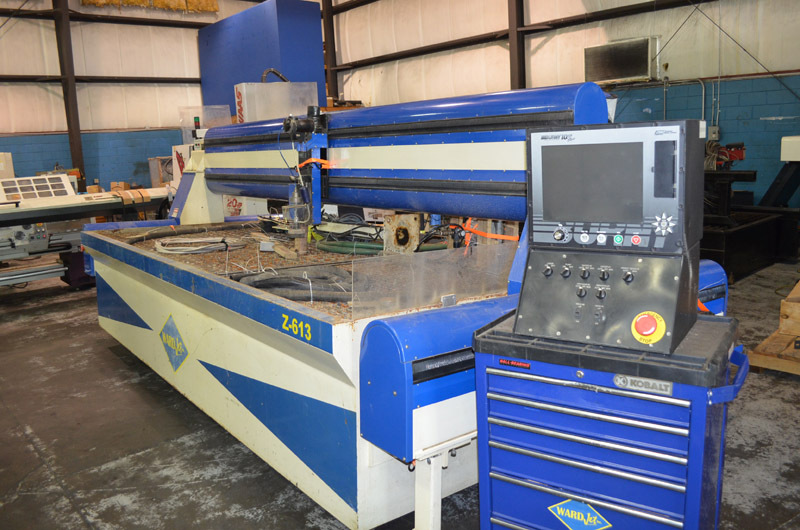 88” x 110” x 78” CNC Turret Punch with Automatic Lube System, Trumpf Adapter, L-Gauge for Semi-Automatic Operation, and (2) Tool Cabinets. 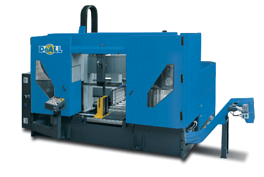 14” x 12” x 12” Build Size, 0.013” Layer Thickness in Eight Standard and Engineering Thermoplastics. 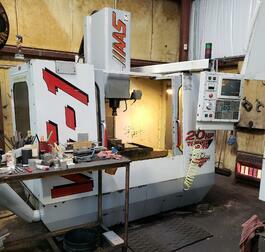 Small Footprint of 51” x 35.5” x 78” Tall. 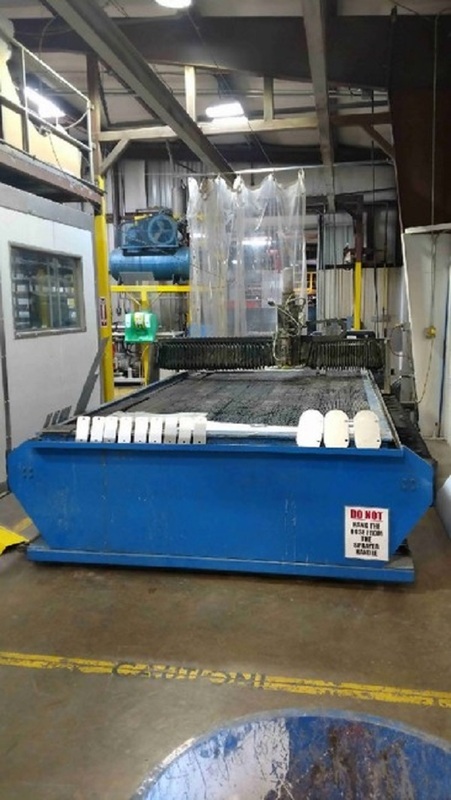 No Special Venting is Required, Includes Parts and Wash Station. 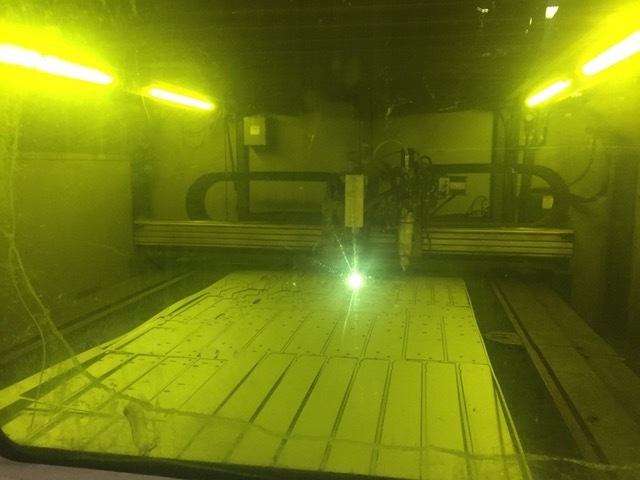 Less than 200 hours! 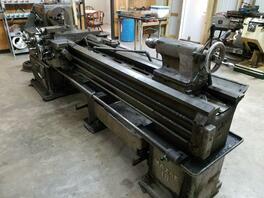 System Size and Weight: 51” x 35.5” x 78” Tall, 1,325Lbs. 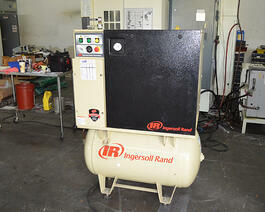 INCLUDES: No Special Venting is Required, Includes Parts and Wash Station. 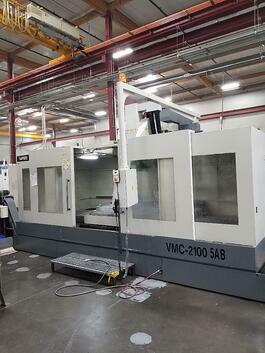 Less than 200 hours! 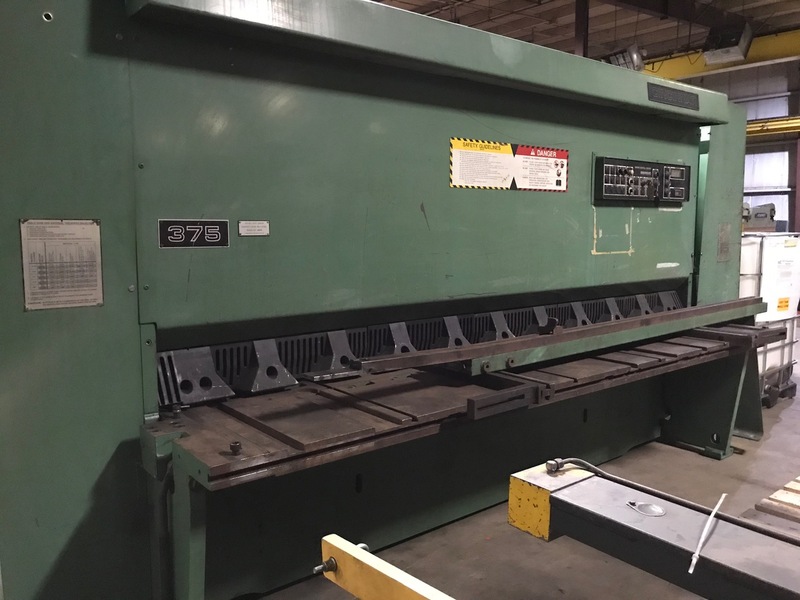 225 Ton x 12' Mechanical Press Brake with Air Clutch & Brake, Power Ram Adjustment, Single Stroke & Inch Operation, Electric Foot Pedal & Manual Foot Pedal. 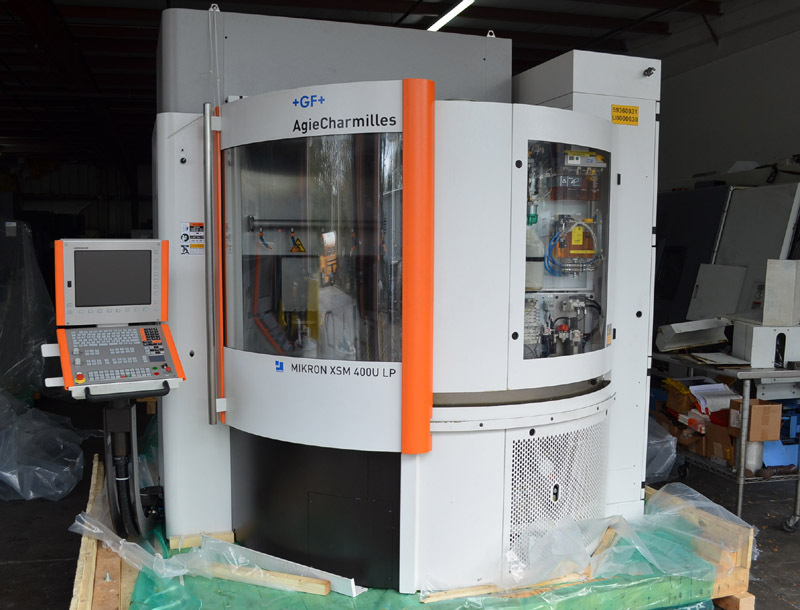 1 ¼” X 9” CNC Turning Center with the Fanuc 0T Control, Gang Tool Chucker for Second Operation and Small Part Turning, High RPM, Hardinge 5C Collet System and Small Footprint Perfect for Small Part Production. 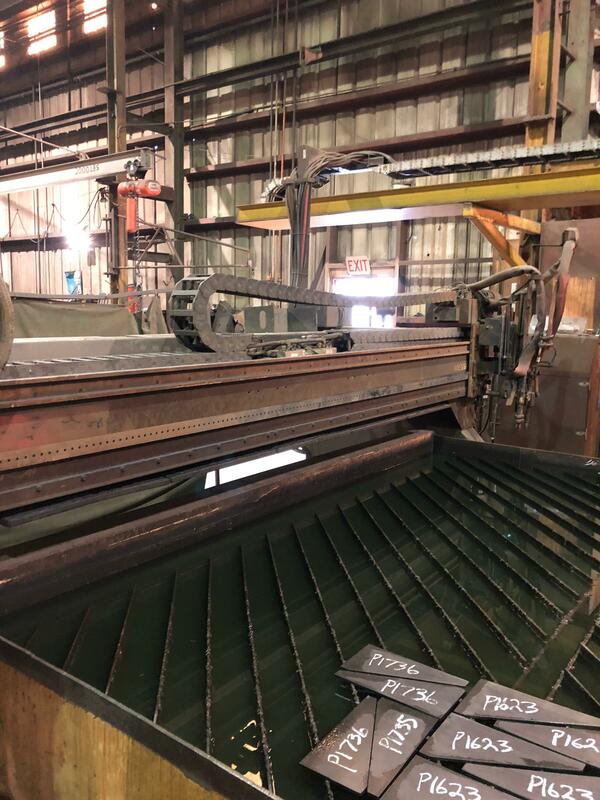 4’ x 8’ Plasma Cutting System with Hypertherm HPR 130 XD Power Source, Tru-Hole Technology, Auto Gas Console, Integrated Zoned Downdraft Table, and less than 200 hours of use! 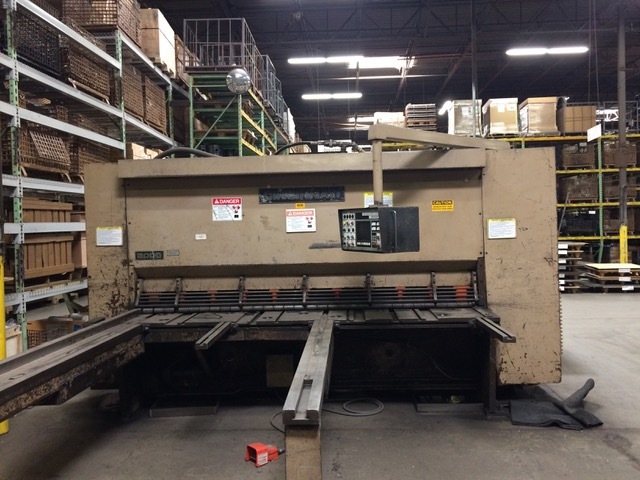 225 Ton x 8' Mechanical Press Brake with Hurco Autobend 7 Back Gauge, 2-Speed Operation, Air Clutch, Foot Pedal, Power Ram Adjustment. 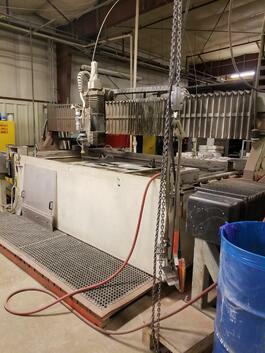 6’ X 12’ Waterjet Cutting System with Rebuilt Servo Drives, New CPU for the Pump, New Seals in Pump, New Way Covers. 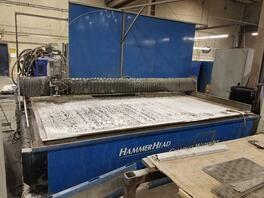 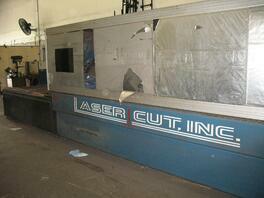 6’ X 12’ Waterjet Cutting System with New Flow Control & Software, 50HP, 60K PSI, Dynamic Cutting, 600 lb Hopper. 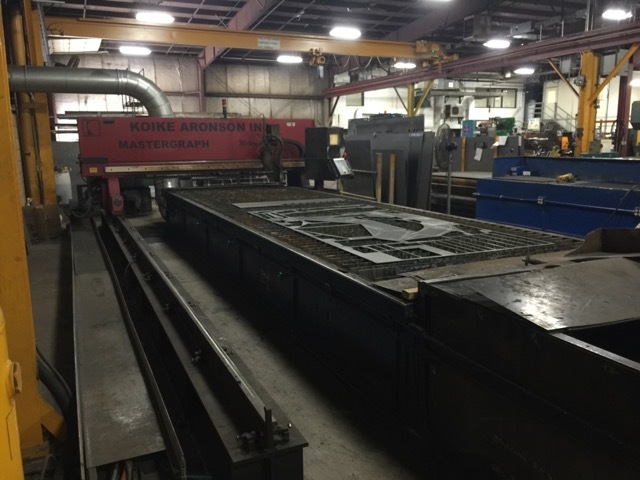 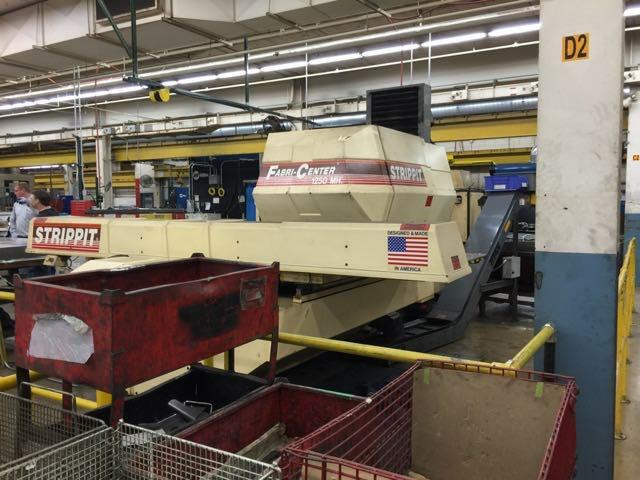 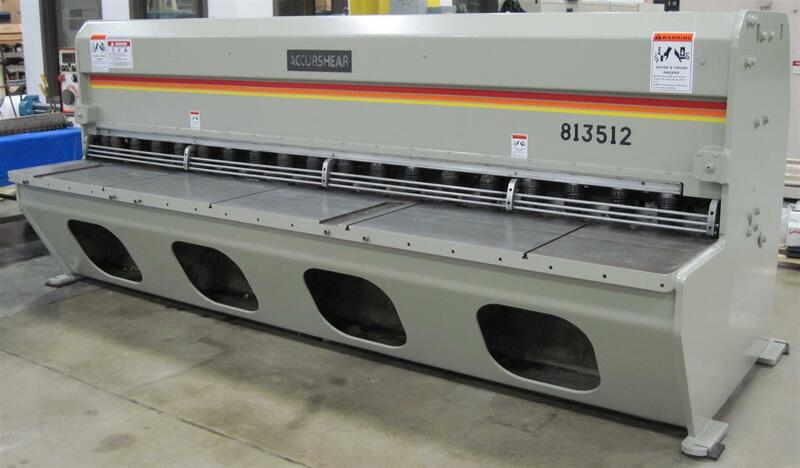 4’ X 8’ Four-Head Water Only Waterjet Cutting System with Fanuc Control, Chukar Four-Head Cutting, Jet-Edge 55-30, Abrasive Can be Added. 280 Ton X 10’ Precision CNC Hydraulic Press Brake with Delem DA-58T Graphical CNC Control, Precision Ground Die Rail with Hold Down Bolts, Piranha X and R Back Gauge System, Fiessler AKAS-LC Laser Safety Curtain System, Integrated Bed Crowning, European/American Reversible Precision Style Manual Tool Clamps, Linear Front Sheet Supports. 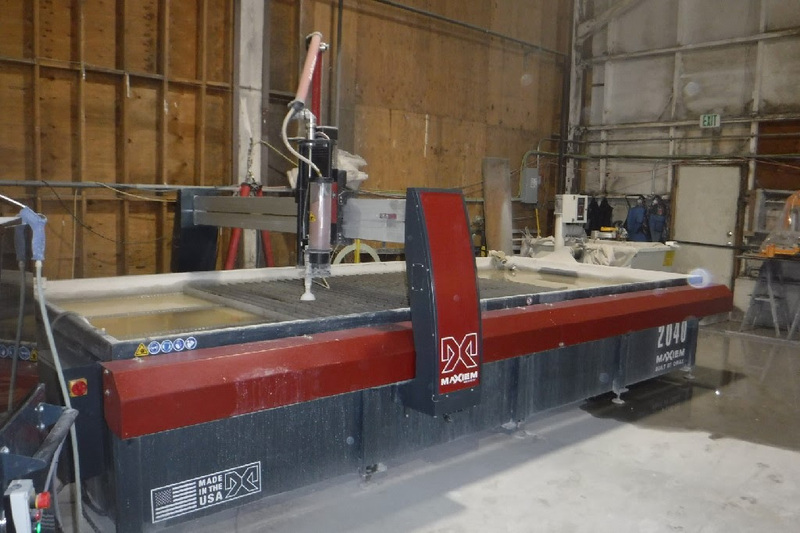 12’ X 5’ CNC Abrasive Waterjet Cutting System with Multicam’s exclusive Multicam EZ-Control Controller with EZ-G-Code and EZ-Suite software, 50HP 60KPSI KMT S50 Intensifier Pump with Remote Pendant & Abrasive Hopper. 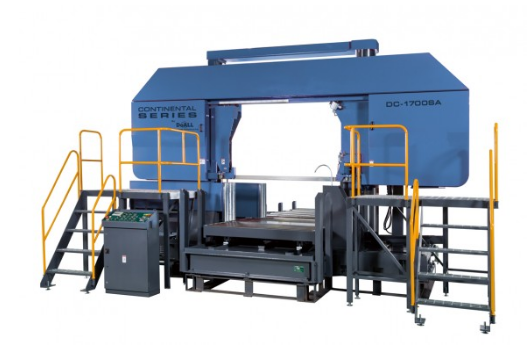 5’ X 10’ Dual Pallet Shuttle Fiber Laser Cutting System with DXF-to-Part Easy to Use PC Based Controller (No Complex CAD/CAM System Required), IPG Direct Diode Resonator with Capability for Cutting and Engraving in Stainless/Mild Steel/Aluminum/Brass/Copper and Laminated Foils, System Includes Installation, Training and Warranty as well as Optional Power Sources and Filtration Equipment. 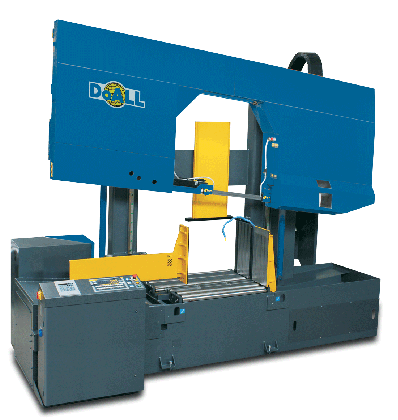 Available in 3 Different Capacities up to ¾” Mild Steel. 5’ X 5’ Dual Pallet Shuttle Fiber Laser Cutting System with DXF-to-Part Easy to Use PC Based Controller (No Complex CAD/CAM System Required), IPG Direct Diode Resonator with Capability for Cutting and Engraving in Stainless/Mild Steel/Aluminum/Brass/Copper and Laminated Foils, System Includes Installation, Training and Warranty as well as Optional Power Sources and Filtration Equipment. 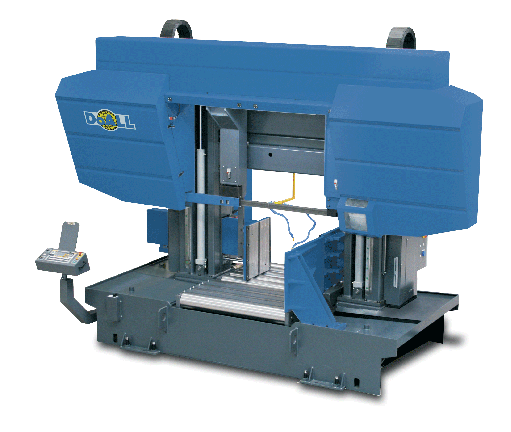 Available in 3 Different Capacities up to ¾” Mild Steel. 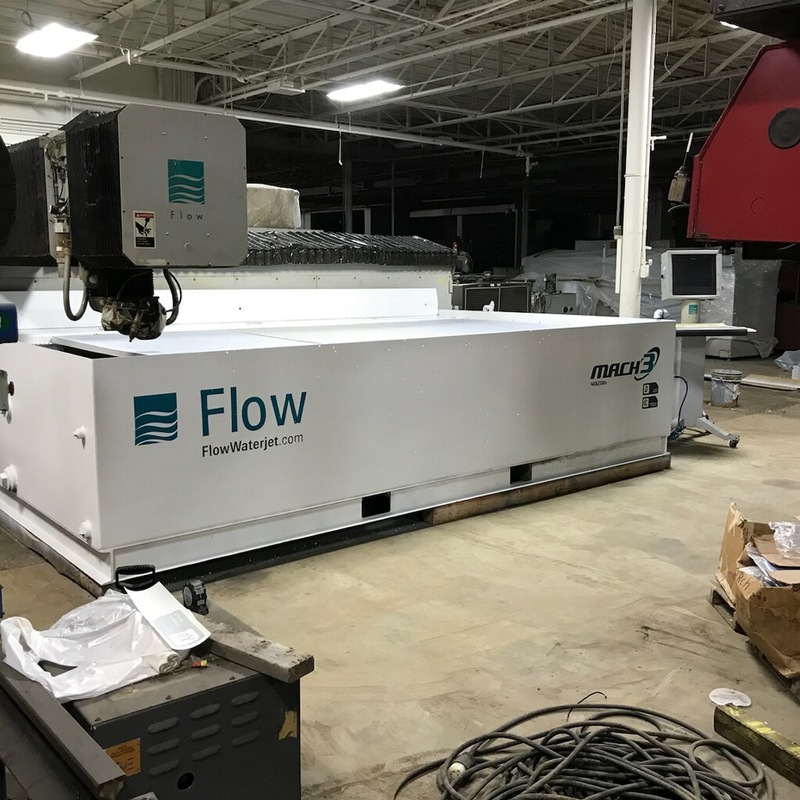 12’ X 6’ CNC Abrasive Waterjet Cutting System with Calypso Exclusive PC Based Controller Running Geomate and NC-Console Operating Software, Dual Programmable Heads, 100 HP 60KPSI Calypso Intensifier Pump with Closed Loop Cooling Unit, Remote Pendant & Abrasive Hopper. 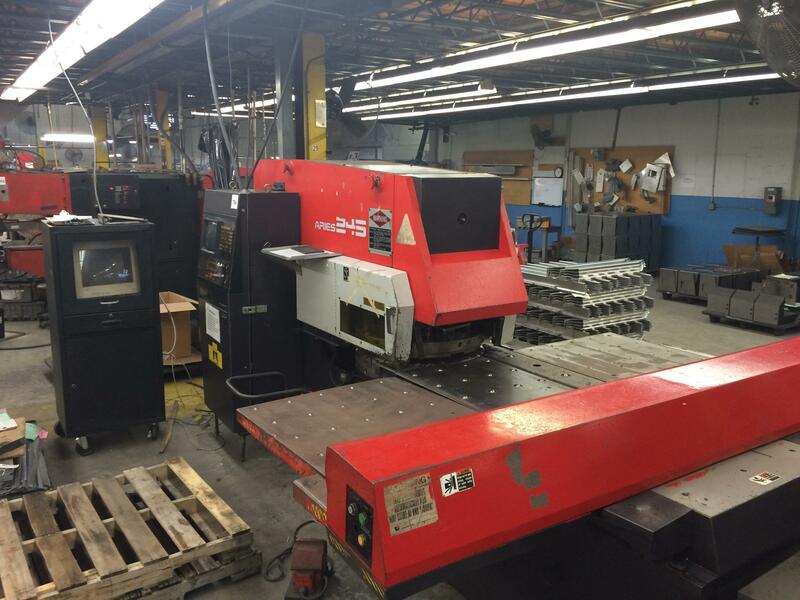 150” X Axis x 80” Y Axis x 28” Z Axis CNC Bridge Mill with Milltronics 8200-B CNC Control with 12” Color LCD Display, 24 Position Automatic Tool Changer, 10,000 RPM Spindle Speed, 24 HP Spindle Motor and 5,000 Lbs Table Load Capacity. 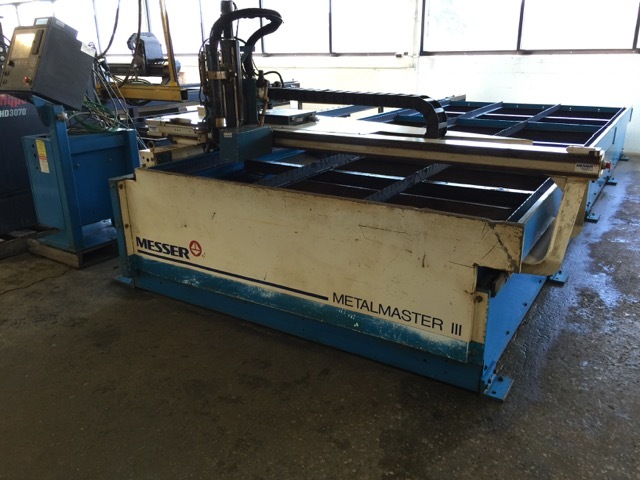 Great Condition and Only Used to Cut Aluminium. 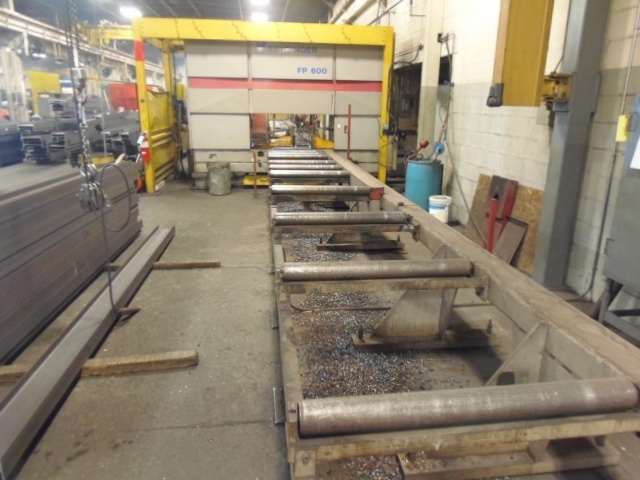 40” x 50’ Capacity CNC Single Spindle Beam Drilling System with Siemens 2 Axis 840D Numerical Control, Beams up to 40” High (Rolled or Fabricated), Angles, Channels and T Sections, Flat Bars, Plates up to 40” Wide, Girders, Tapered Beams or Other Unequal Sections, Tubes, Rails, Truck Frames, Rail Car Frames. 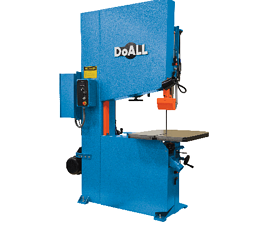 24” X 20” Band Saw with Adjustable Main Vise, Adjustable Blade Speed, Adjustable Feed Rate, 45 Degree + / 60 Degree - Power Tilt, Coolant. 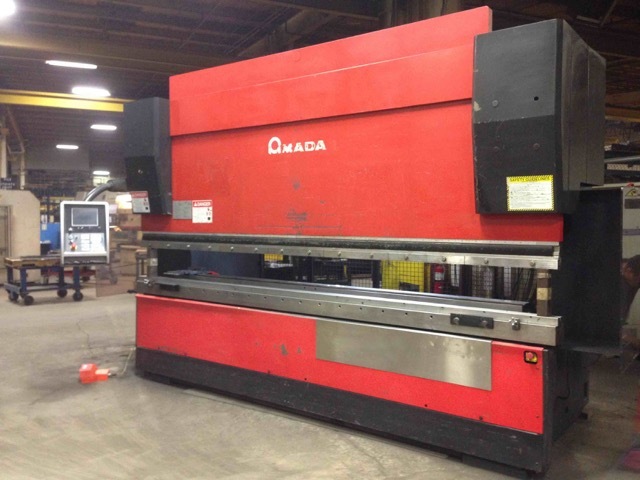 350 Ton X 13’ Precision CNC Hydraulic Press Brake with Delem DA-58T Graphical CNC Control, Precision Ground Die Rail with Hold Down Bolts, Piranha X and R Back Gauge System, Fiessler AKAS-LC Laser Safety Curtain System, Integrated Bed Crowning, European/American Reversible Precision Style Manual Tool Clamps, Linear Front Sheet Supports. 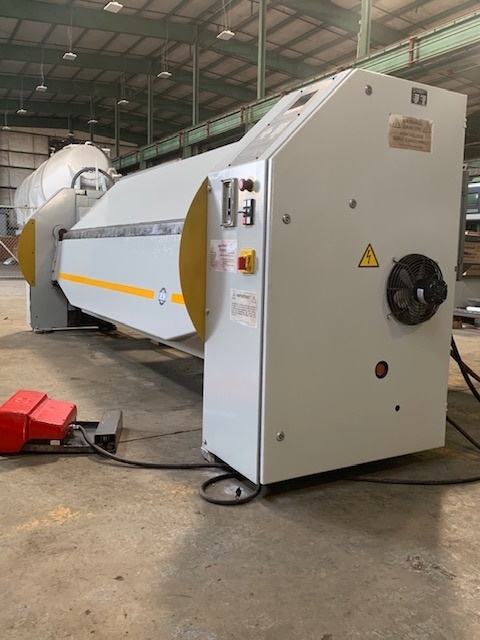 48” X 8” Blast System with Automatic Abrasive Reclamation System, Manganese Mesh Belt, Manganese Steel Cabinet, Access Mezzanine & Ladder, Long Life Blast Liners, Dust Collection System. 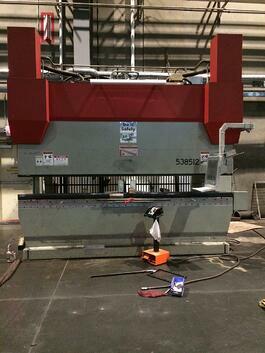 50” X 72” CNC Turret Punch with GE Fanuc 04PC Control, Auto Repositioning, Hydraulic Clutch & Brake, Ball Transfer Table. 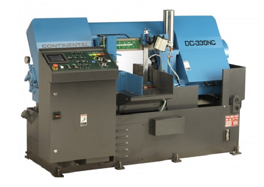 3/8” X 10’ CNC Hydraulic Guillotine Style Shear with Delem DAC 360 Controller, CNC blade Gap Adjustment, CNC Rake Angle Adjustment, Leuze Light Curtain/Photocell Switch, 3 Front Sheet Supports. 180 Ton X 10’ Precision CNC Hydraulic Press Brake with Delem DA-58T Graphical CNC Control, Precision Ground Die Rail with Hold Down Bolts, Piranha X and R Back Gauge System, Fiessler AKAS-LC Laser Safety Curtain System, Integrated Bed Crowning, European/American Reversible Precision Style Manual Tool Clamps, Linear Front Sheet Supports. 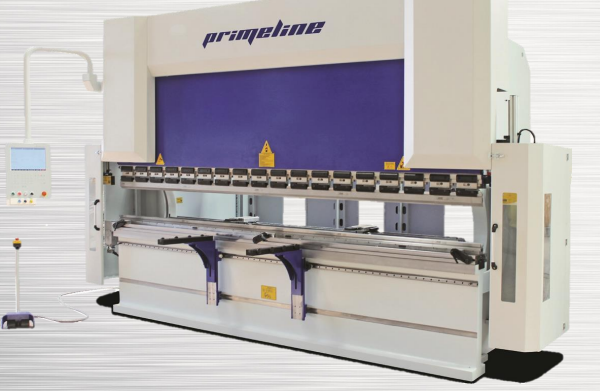 3/4” X 10’ CNC Hydraulic Guillotine Style Shear with Delem DAC 360 Controller, CNC blade Gap Adjustment, CNC Rake Angle Adjustment, Leuze Light Curtain/Photocell Switch, 3 Front Sheet Supports. 180 Ton X 13’ Precision CNC Hydraulic Press Brake with Delem DA-58 T Graphical CNC Control, Precision Ground Die Rail with Hold Down Bolts, Piranha X and R Back Gauge System, Fiessler AKAS-LC Laser Safety Curtain System, Integrated Bed Crowning, European/American Reversible Precision Style Manual Tool Clamps, Linear Front Sheet Supports. 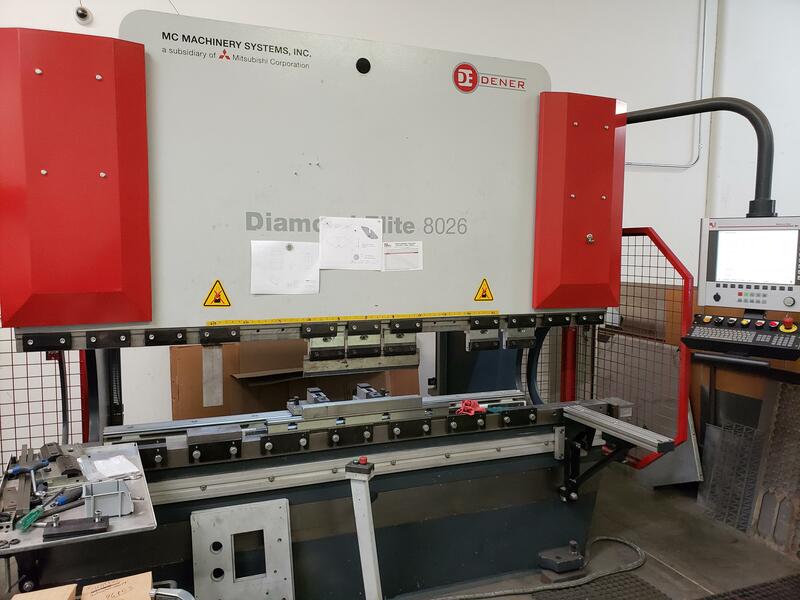 3/8” X 13’ CNC Hydraulic Guillotine Style Shear with Delem DAC 360 Controller, CNC Blade Gap Adjustment, CNC Rake Angle Adjustment, Leuze Light, Curtain/Photocell Switch, 3 Front Sheet Supports, Backgauge Driven by AC Motor w/Ball Screw and Linear Rod Guides. 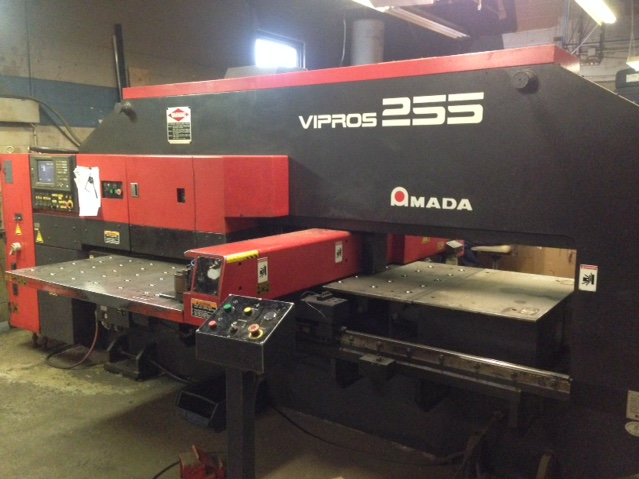 350 Ton X 15’ Precision CNC Hydraulic Press Brake with Delem DA-58 T Graphical CNC Control, Precision Ground Die Rail with Hold Down Bolts, Piranha X and R Back Gauge System, Fiessler AKAS-LC Laser Safety Curtain System, Integrated Bed Crowning, European/American Reversible Precision Style Manual Tool Clamps, Linear Front Sheet Supports. 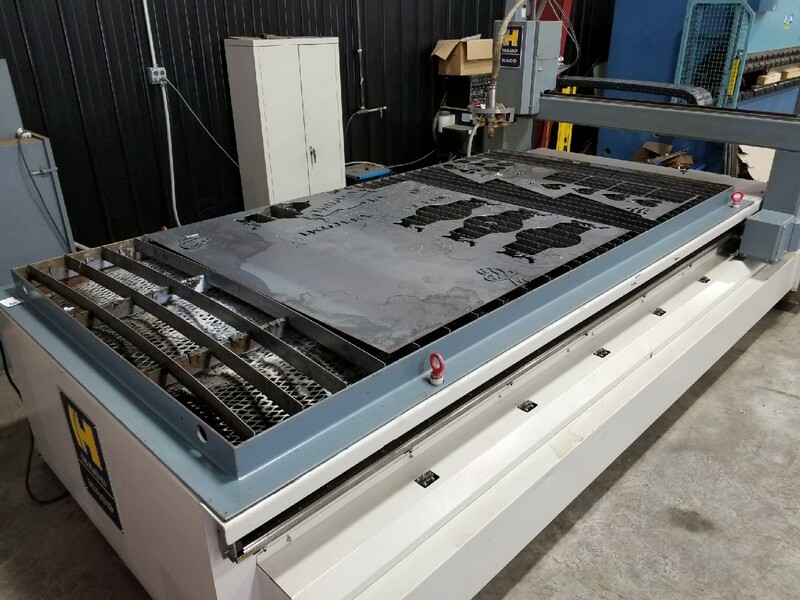 5/16” X 8’ CNC Hydraulic Guillotine Style Shear with Delem DAC 360 Controller, CNC Blade Gap Adjustment, CNC Rake Angle Adjustment, Leuze Light, Curtain/Photocell Switch, 3 Front Sheet Supports, Backgauge Driven by AC Motor w/Ball Screw and Linear Rod Guides. 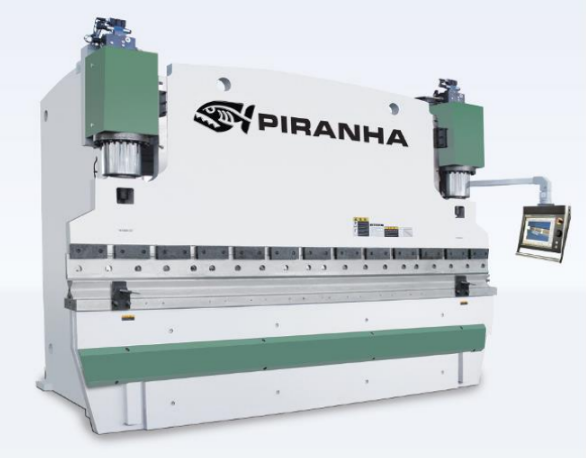 220 Ton X 10’ Precision CNC Hydraulic Press Brake with Delem DA-58 T Graphical CNC Control, Precision Ground Die Rail with Hold Down Bolts, Piranha X and R Back Gauge System, Fiessler AKAS-LC Laser Safety Curtain System, Integrated Bed Crowning, European/American Reversible Precision Style Manual Tool Clamps, Linear Front Sheet Supports. 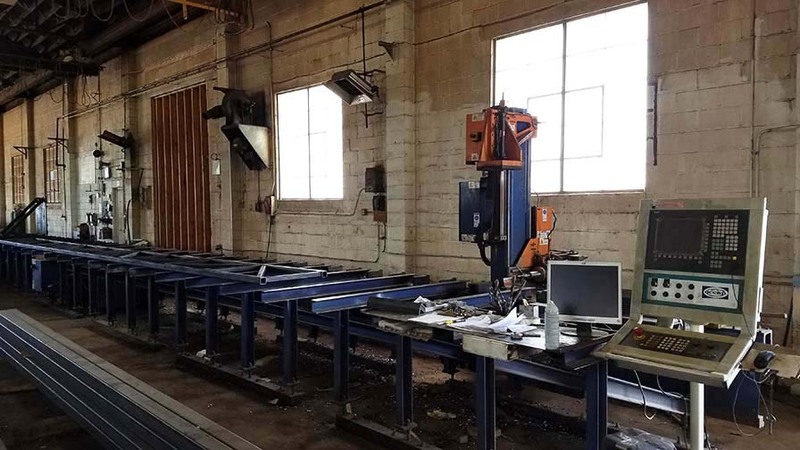 5/16” X 10’ CNC Hydraulic Guillotine Style Shear with Delem DAC 360 Controller, CNC Blade Gap Adjustment, CNC Rake Angle Adjustment, Leuze Light, Curtain/Photocell Switch, 3 Front Sheet Supports, Backgauge Driven by AC Motor w/Ball Screw and Linear Rod Guides. 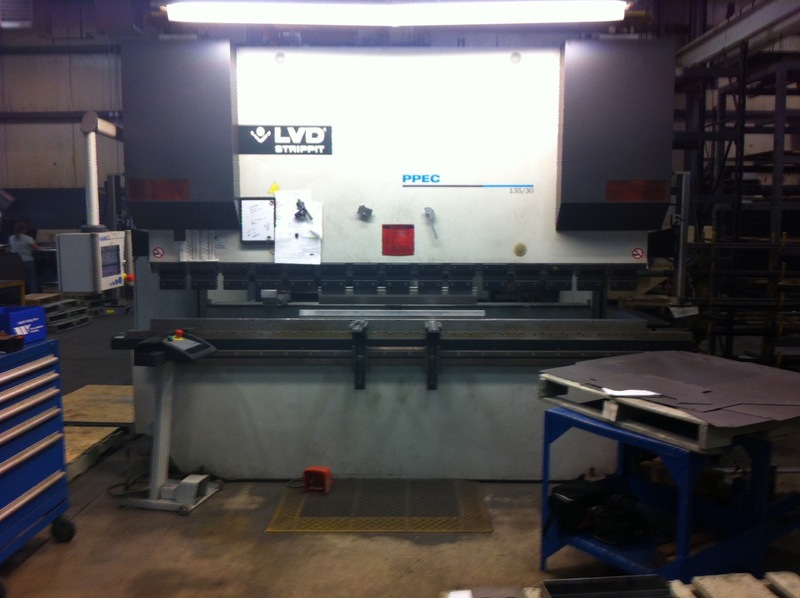 40 Ton X 4’ Precision CNC Hydraulic Press Brake with Delem DA-58 T Graphical CNC Control, Precision Ground Die Rail with Hold Down Bolts, Piranha X and R Back Gauge System, Fiessler AKAS-LC Laser Safety Curtain System, Integrated Bed Crowning, European/American Reversible Precision Style Manual Tool Clamps, Linear Front Sheet Supports. 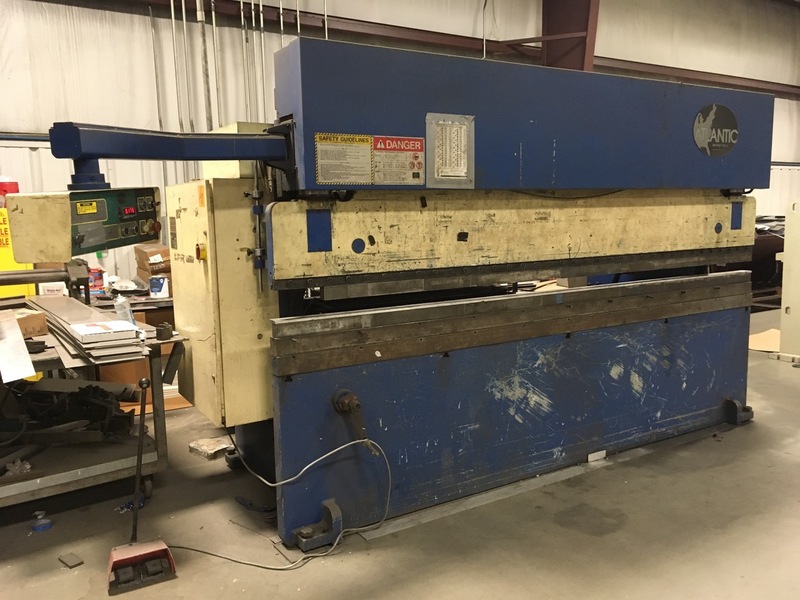 5/16” X 13’ CNC Hydraulic Guillotine Style Shear with Delem DAC 360 Controller, CNC Blade Gap Adjustment, CNC Rake Angle Adjustment, Leuze Light, Curtain/Photocell Switch, 3 Front Sheet Supports, Backgauge Driven by AC Motor w/Ball Screw and Linear Rod Guides. 350 Ton X 10’ Precision CNC Hydraulic Press Brake with Delem DA-58 T Graphical CNC Control, Precision Ground Die Rail with Hold Down Bolts, Piranha X and R Back Gauge System, Fiessler AKAS-LC Laser Safety Curtain System, Integrated Bed Crowning, European/American Reversible Precision Style Manual Tool Clamps, Linear Front Sheet Supports. 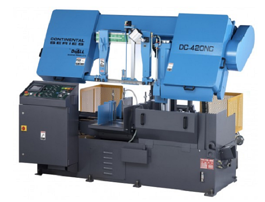 5/8” X 10’ CNC Hydraulic Guillotine Style Shear with Delem DAC 360 Controller, CNC Blade Gap Adjustment, CNC Rake Angle Adjustment, Leuze Light, Curtain/Photocell Switch, 3 Front Sheet Supports, Backgauge Driven by AC Motor w/Ball Screw and Linear Rod Guides. 280 Ton X 13’ Precision CNC Hydraulic Press Brake with Delem DA-58 T Graphical CNC Control, Precision Ground Die Rail with Hold Down Bolts, Piranha X and R Back Gauge System, Fiessler AKAS-LC Laser Safety Curtain System, Integrated Bed Crowning, European/American Reversible Precision Style Manual Tool Clamps, Linear Front Sheet Supports. 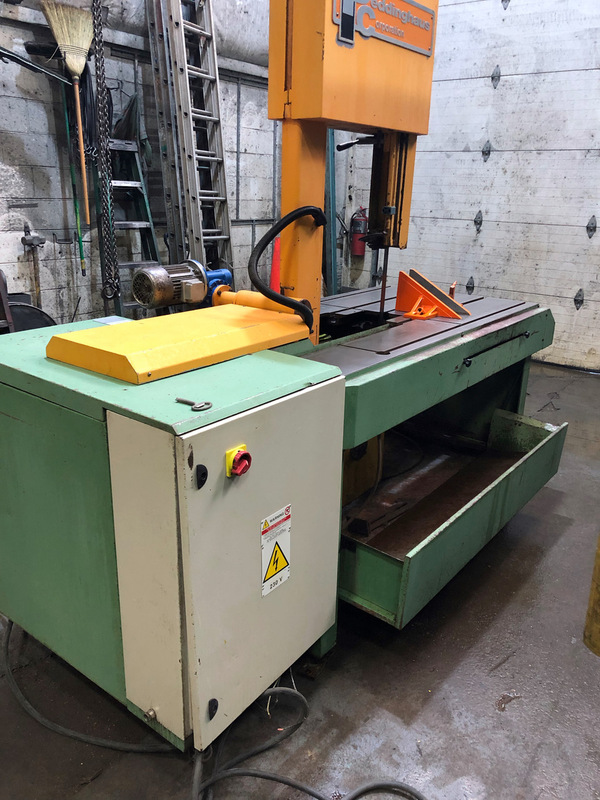 3/4” X 13’ CNC Hydraulic Guillotine Style Shear with Delem DAC 360 Controller, CNC Blade Gap Adjustment, CNC Rake Angle Adjustment, Leuze Light, Curtain/Photocell Switch, 3 Front Sheet Supports, Backgauge Driven by AC Motor w/Ball Screw and Linear Rod Guides. 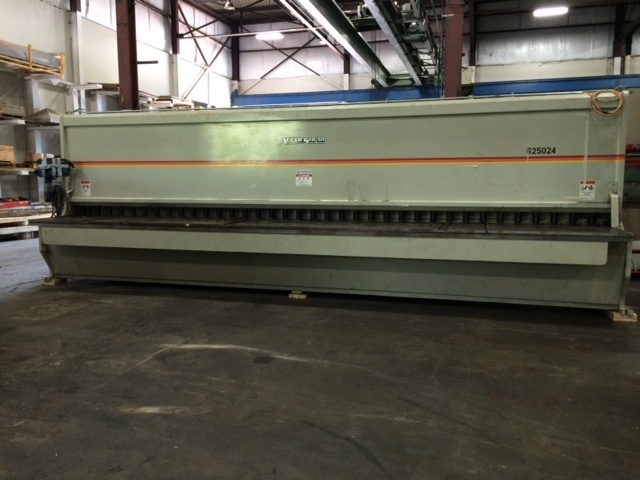 220 Ton X 13’ Precision CNC Hydraulic Press Brake with Delem DA-58 T Graphical CNC Control, Precision Ground Die Rail with Hold Down Bolts, Piranha X and R Back Gauge System, Fiessler AKAS-LC Laser Safety Curtain System, Integrated Bed Crowning, European/American Reversible Precision Style Manual Tool Clamps, Linear Front Sheet Supports. 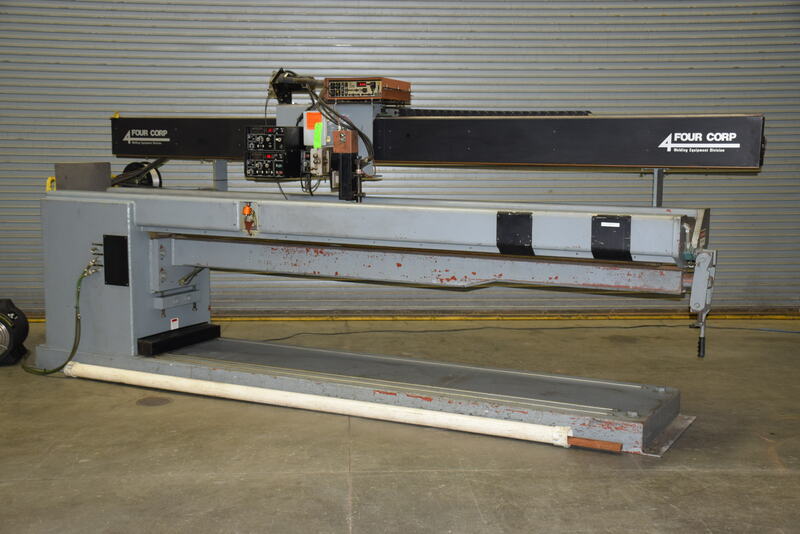 1/4” X 13’ CNC Hydraulic Guillotine Style Shear with Delem DAC 360 Controller, CNC Blade Gap Adjustment, CNC Rake Angle Adjustment, Leuze Light, Curtain/Photocell Switch, 3 Front Sheet Supports, Backgauge Driven by AC Motor w/Ball Screw and Linear Rod Guides. 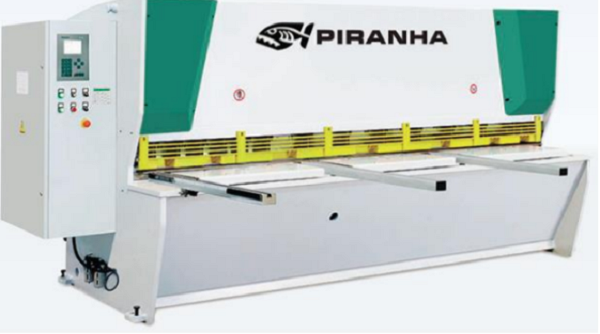 135 Ton X 13’ Precision CNC Hydraulic Press Brake with Delem DA-58 T Graphical CNC Control, Precision Ground Die Rail with Hold Down Bolts, Piranha X and R Back Gauge System, Fiessler AKAS-LC Laser Safety Curtain System, Integrated Bed Crowning, European/American Reversible Precision Style Manual Tool Clamps, Linear Front Sheet Supports. 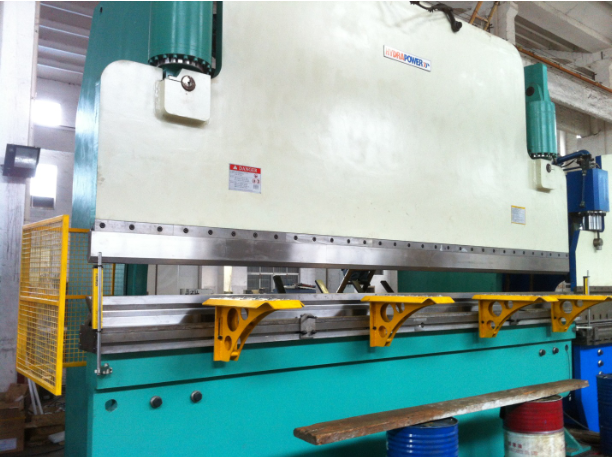 1/4” X 10’ CNC Hydraulic Guillotine Style Shear with Delem DAC 360 Controller, CNC Blade Gap Adjustment, CNC Rake Angle Adjustment, Leuze Light, Curtain/Photocell Switch, 3 Front Sheet Supports, Backgauge Driven by AC Motor w/Ball Screw and Linear Rod Guides. 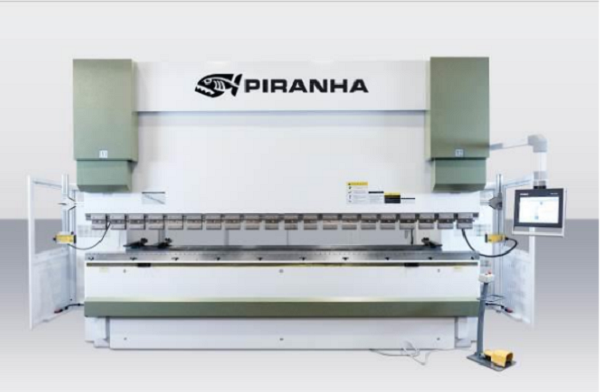 4’ x 4’ Dual Side Drive Plasma Cutting System with Starfire CNC Controller, ProNEST® LT 2019 Programming System, Tube Cutting Attachment, Panasonic Servo Motors and Drives, Downdraft Exhaust System, MicroStep Programmable Torch Height Control, Breakaway Torch Mounting. 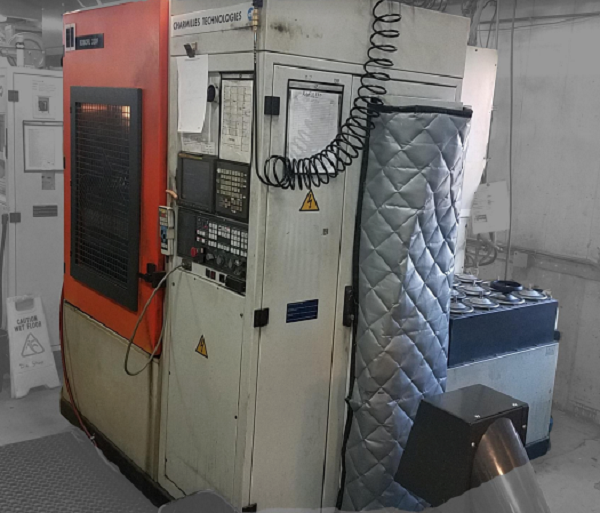 44” X 20” X 20” Vertical Machining Center with the Mazatrol 640M CNC Controller, 24 Position Chain Style Tool Changer, CAT 40 10K RPM Spindle and Tool Length Probing. 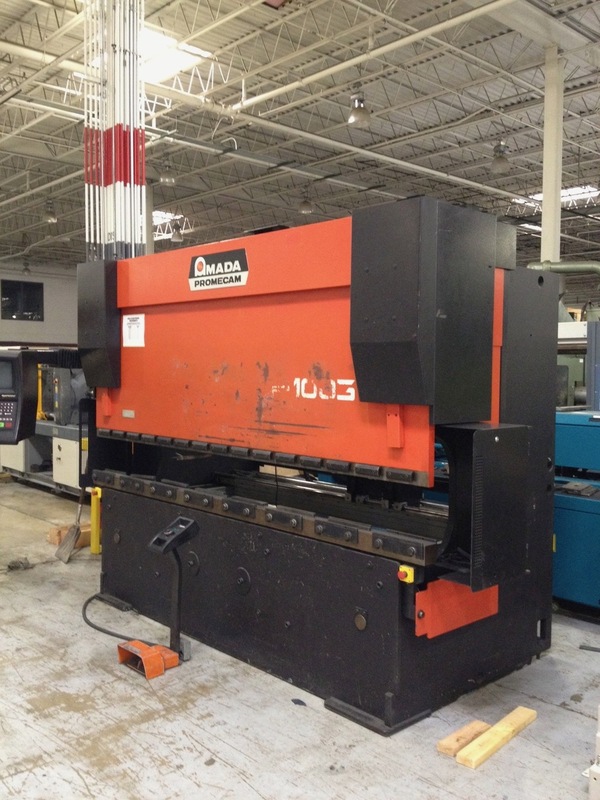 ¾” X 22’ Capacity Hydraulic Power Squaring Plate Shear with the Durma CNC AD 90 NC Controller, Powered Blade Gap and Rake Adjustment, 105 Tons of Hold Down Force, 40” Backgage, 60- HP Hydraulic Drive ands 6 Sheet Supports. 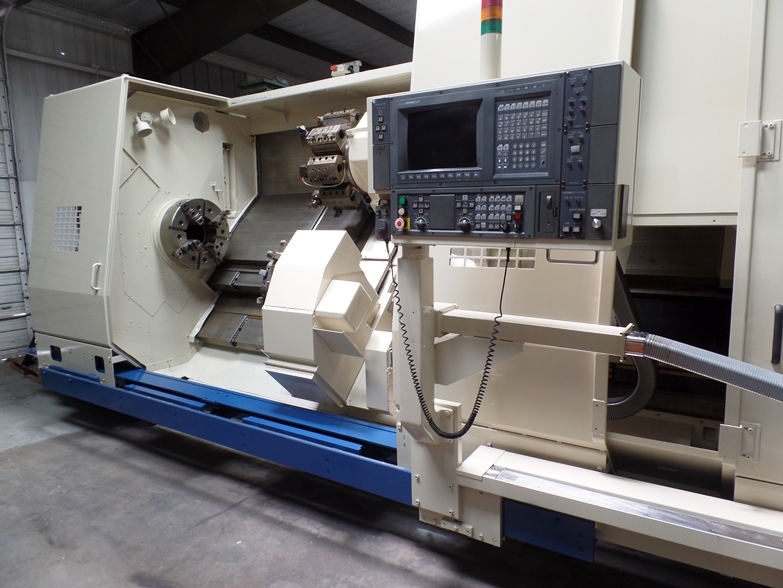 11” x 8.66” Capacity CNC Turning Center with Fanuc 18T CNC Control, Sub Spindle w/ Full C-Axis, Live Tooling, Twin Turret, Tool Setter, Parts Catcher, Chip Conveyor, Bar Feed Interface. 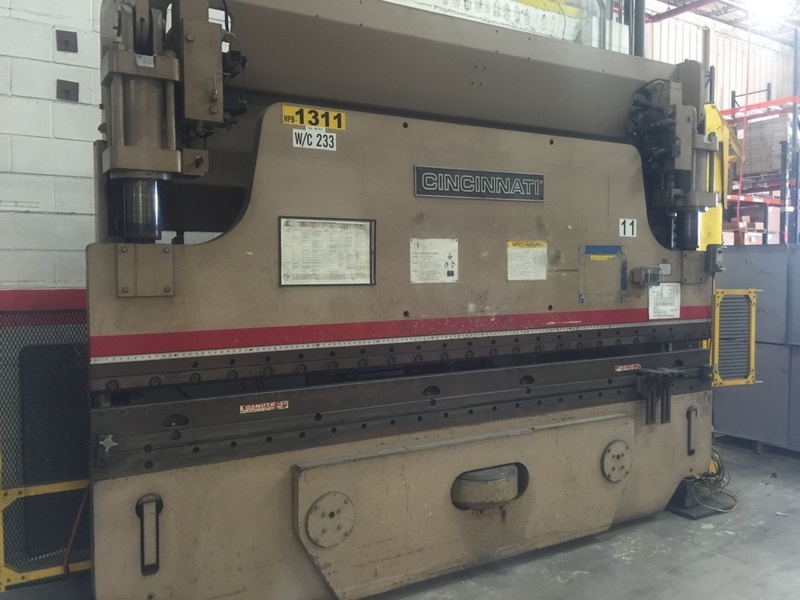 90 Ton X 14’ Hydraulic Press Brake with Retrofit PC800 CNC Controller, Filler Block, Manual Back Gauge, Electric Foot Switch. 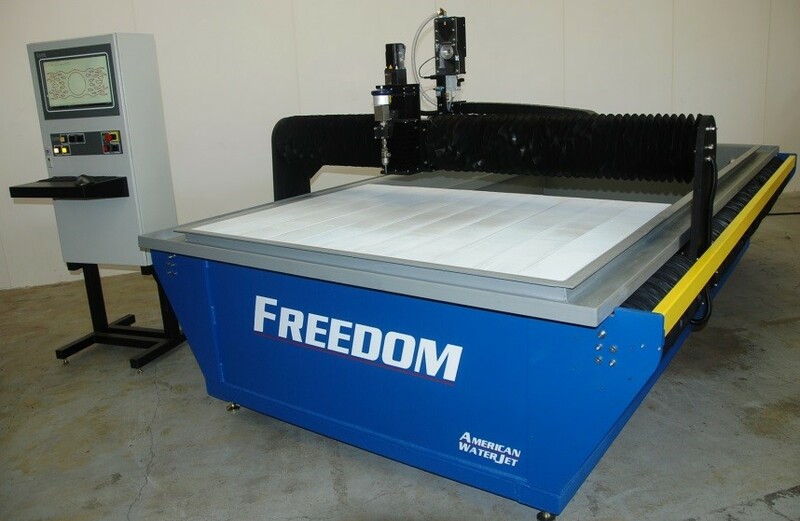 1/4” X 8’ CNC Hydraulic Guillotine Style Shear with Delem DAC 360 Controller, CNC Blade Gap Adjustment, CNC Rake Angle Adjustment, Leuze Light, Curtain/Photocell Switch, 3 Front Sheet Supports, Backgauge Driven by AC Motor w/Ball Screw and Linear Rod Guides. 135 Ton X 10’ Precision CNC Hydraulic Press Brake with Delem DA-58 T Graphical CNC Control, Precision Ground Die Rail with Hold Down Bolts, Piranha X and R Back Gauge System, Fiessler AKAS-LC Laser Safety Curtain System, Integrated Bed Crowning, European/American Reversible Precision Style Manual Tool Clamps, Linear Front Sheet Supports. 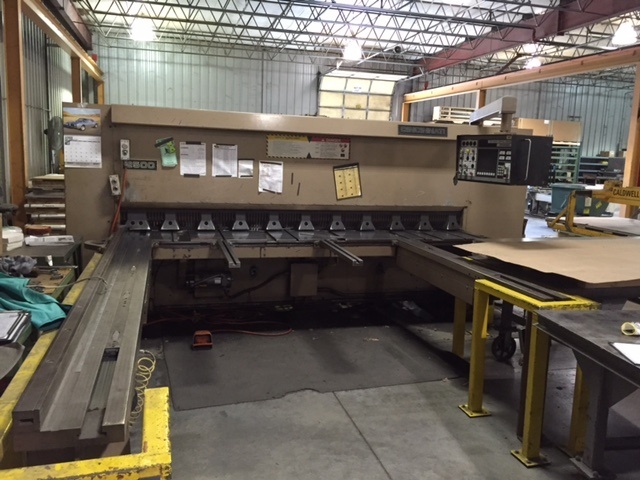 1/4” X 6’ CNC Hydraulic Guillotine Style Shear with Delem DAC 360 Controller, CNC Blade Gap Adjustment, CNC Rake Angle Adjustment, Leuze Light, Curtain/Photocell Switch, 3 Front Sheet Supports, Backgauge Driven by AC Motor w/Ball Screw and Linear Rod Guides. 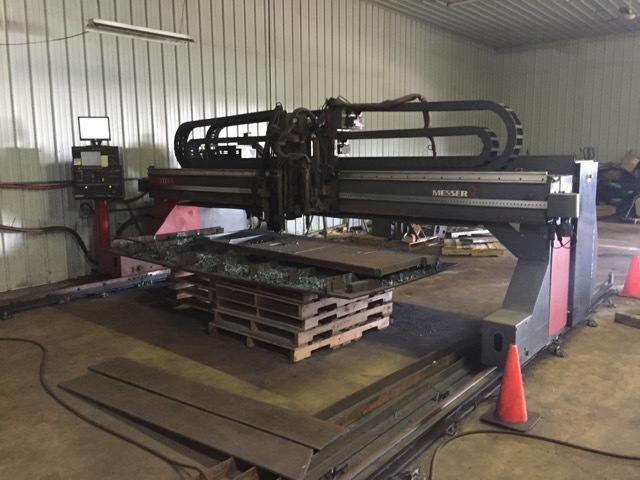 12' X 25' CNC 5 Axis Plasma Cutting System with Global Touch Screen CNC Controller, Hypertherm HPR400XD 400 Amp Variable Power Supply, Alignment Camera, Ducted Dry Self Cleaning Downdraft Table, Equipped with Camfil Farr Gold Series Dust Collector. 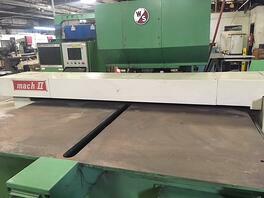 1/2” X 13’ CNC Hydraulic Guillotine Style Shear with Delem DAC 360 Controller, Guillotine Style Shear with Cutting Capacity of 1/2” X 13’, CNC Blade Gap Adjustment, CNC Rake Angle Adjustment, Leuze Light Curtain/Photocell Switch, 3 Front Sheet Supports, Backgauge Driven by AC Motor w/Ball Screw and Linear Rod Guides. 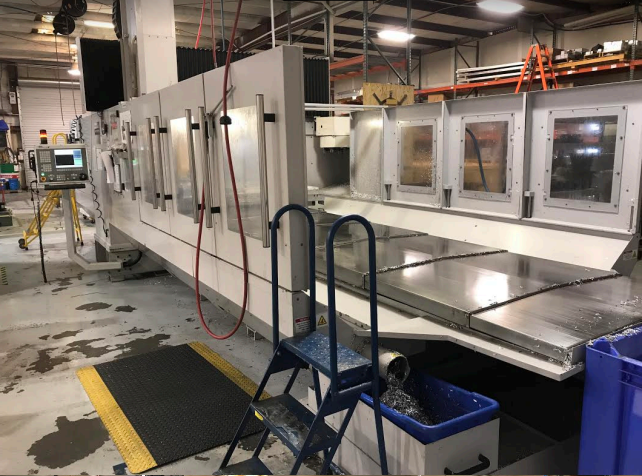 49" X 39" X 33" Horizontal Machining Center with the Mazak Mazatrol M-Plus CNC Controller, 80 Position Automatic Tool Changer, 15K RPM Cat 50 Spindle with Full Rotary 4th Axis Pallets, Dual Pallet Changer, Through the Spindle Coolant, Renishaw Probe, Chip Conveyor and (6) Extra Pallets. 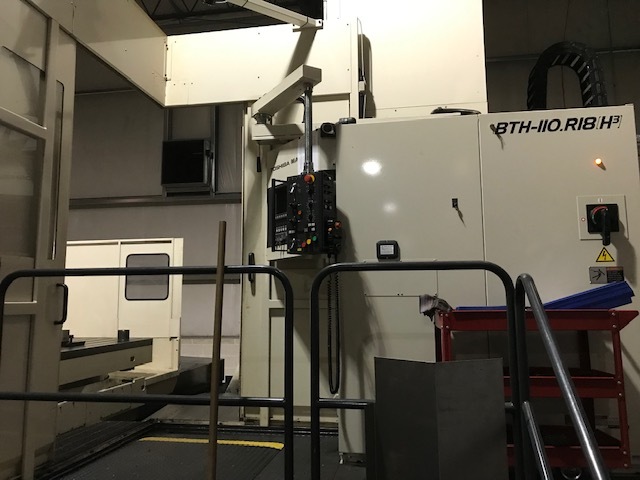 80" X 40" 30" 5-Axis Vertical Machining Center with the Fanuc 15M CNC Controller, 20 Position Automatic Tool Changer, 10K RPM Cat 50 Spindle with 50 HP Drive. 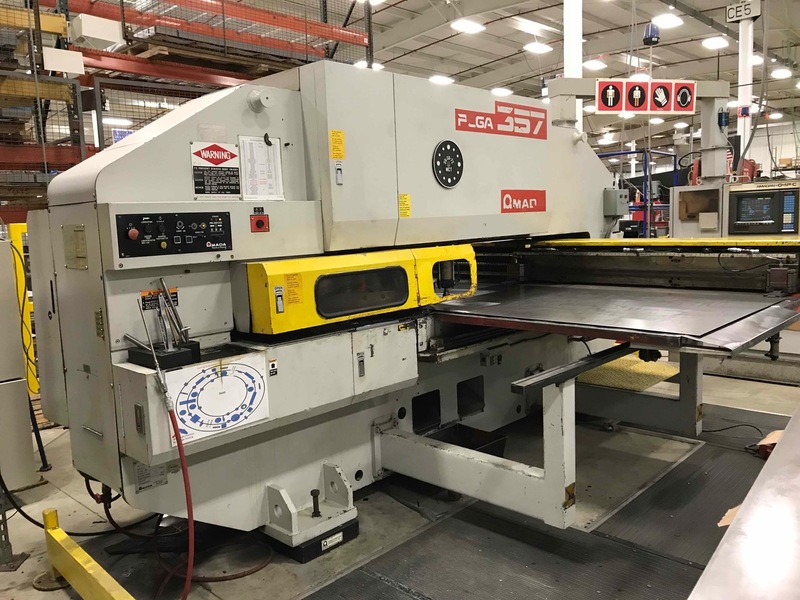 5/8” X 13’ CNC Hydraulic Guillotine Style Shear with Delem DAC 360 Controller, CNC Blade Gap Adjustment, CNC Rake Angle Adjustment, Leuze Light Curtain/Photocell Switch, 3 Front Sheet Supports. 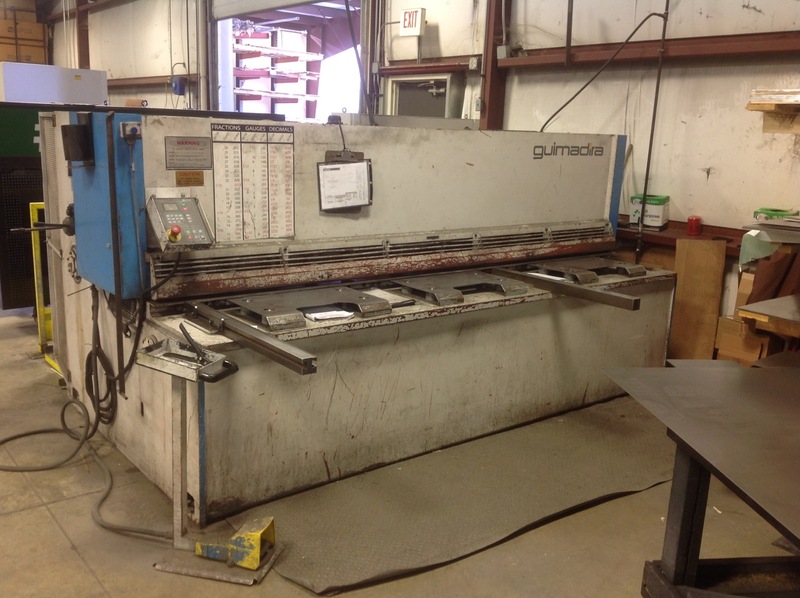 70 Ton X 6’ Precision CNC Hydraulic Press Brake with Delem DA-58 T Graphical CNC Control, Precision Ground Die Rail with Hold Down Bolts, Piranha X and Auto R Back Gauge System, Fiessler AKAS-LC Laser Safety Curtain System, European/American Reversible Precision Style Manual Tool Clamps, Front Sheet Supports. 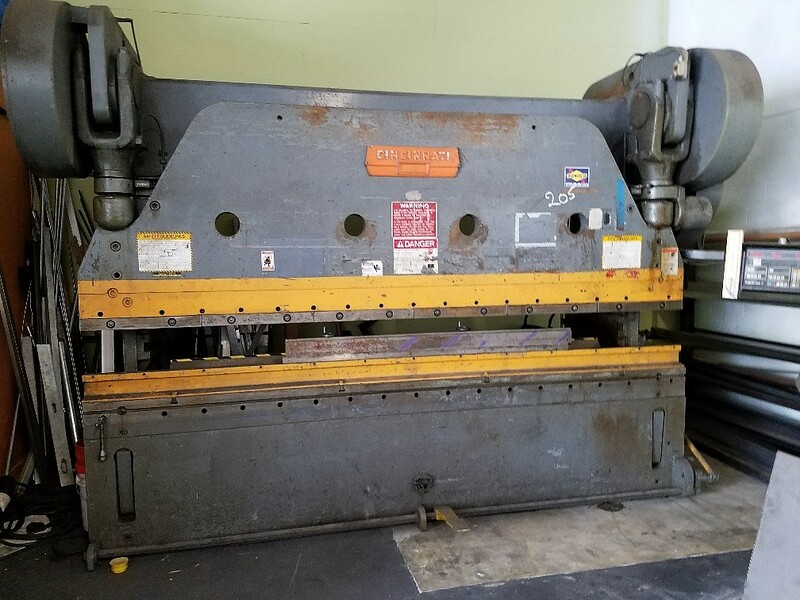 120 Ton X 21.5” Ironworker with Punch Holder, Stripper & Die Block, Coupling Wrench, 5 Punch & Die Sets 9/16” through 1-1/16”, Extra Filter Element, Foot Switch, Instruction/Parts Book/Video Link. 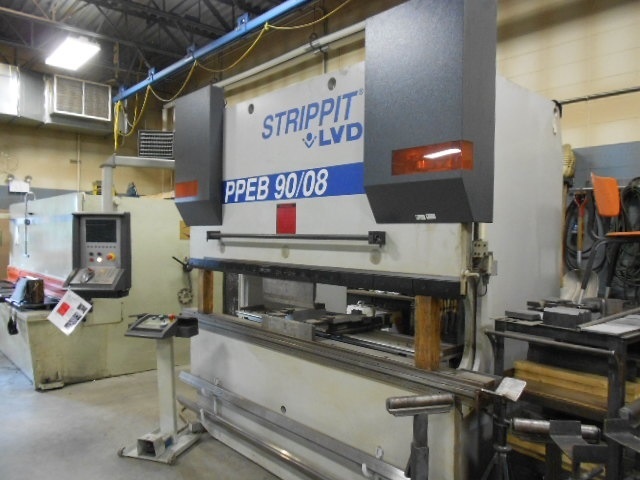 90 Ton X 10’ Precision CNC Hydraulic Press Brake with Delem DA-58 T Graphical CNC Control, Precision Ground Die Rail with Hold Down Bolts, Piranha X and R Back Gauge system, Fiessler AKAS-LC Laser Safety Curtain System, Integrated Bed Crowning, European/American Reversible Precision Style Manual Tool Clamps, Linear Front Sheet Supports. 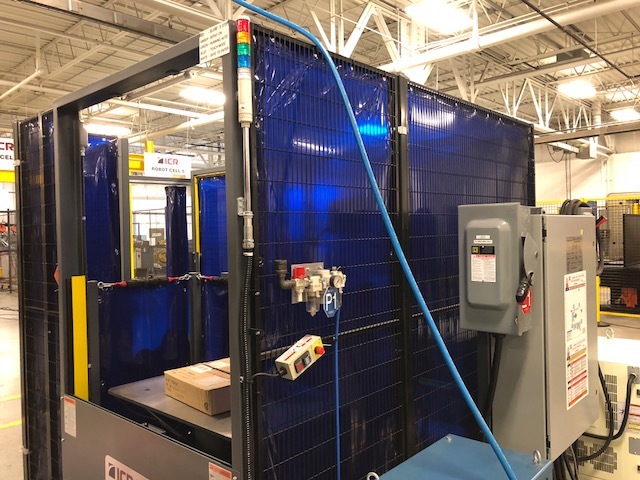 5’ x 10’ Dual Side Drive Plasma Cutting System with Hypertherm MicroEdge Pro or Edge Connect CNC Controller, Panasonic Servo Motors and Drives, Zoned Downdraft Exhaust System with 6 Zones, Hypertherm Sensor Torch Height Control, Breakaway Torch Mounting. 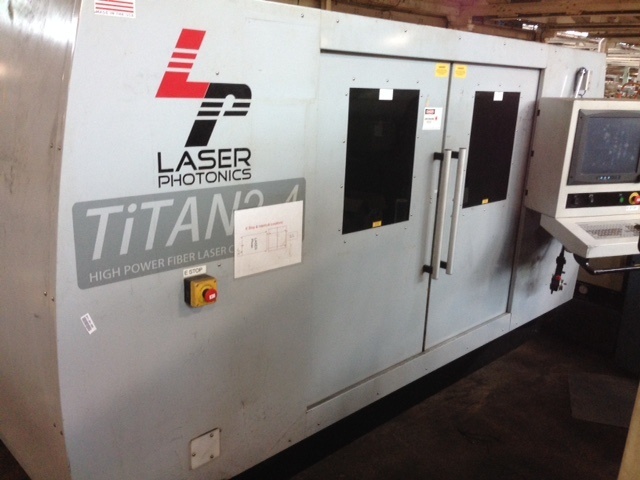 5’ X 10’ 4KW Laser Cutting System with Fanuc Controller, Fanuc AF4000E 4000 Watt (4KW) Laser Resonator, Chiller, Newly Rebuilt Turbo Blower and Vacuum Pump, Transformer. 110 Ton X 10’ Precision CNC Hydraulic Press Brake with Delem DA58 Graphical CNC Control, Piranha X and R Back Gauge System, Safety Side Door Guards and Rear Safety Gate, Movable Front Support Arms, Precision Ground Die Rail with Hold Down Bolts. 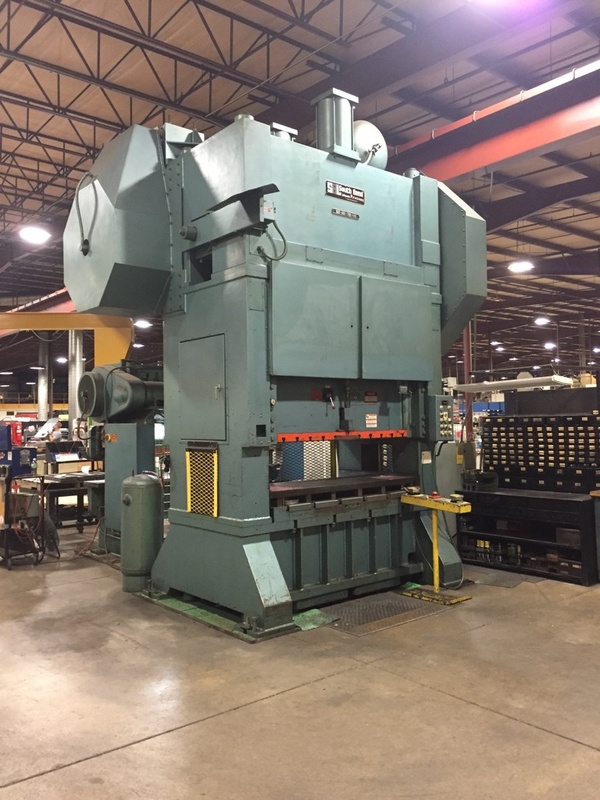 330 Ton X 8’ Straight Side Double Crank Press with Slide Guided by Eight Full-Length, Ninety-Degree Gibs with Nickel-Bronze Wear Plates, Offering Maximum Control, a High Degree of Accuracy and Ease of Adjustment. 1/2” X 10’ CNC Hydraulic Guillotine Style Shear with Delem DAC 360 Controller, Overload Protection, CNC Blade Gap Adjustment, CNC Rake Angle Adjustment, Leuze Light Curtain/Photocell Switch, 3 Front Sheet Supports, Backgauge Driven by AC Motor w/Ball Screw and Linear Rod Guides. 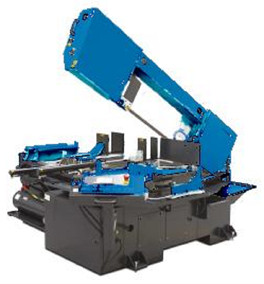 88 Ton X 9” Ironworker with Automatic Hold Down, Coupling Wrench, Punch Holder, Stripper, & Die Block, Chip Bucket, 5 Punch & Die Sets 9/16” through 1-1/16”, Extra Filter Element, Set of Angle Knives, Two (2) Foot Switches, Set 1” Round Bar Knives, Instruction/Parts Book/Video Link, Set of 20-5/8” Plate Shear Knives Set of Coper Knives. 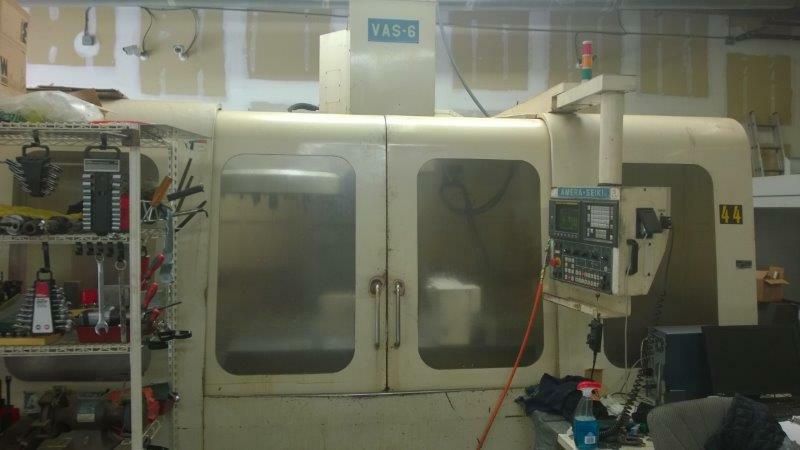 20” X 16” X 20” CNC Vertical Machining Center with Haas CNC Control w/ CRT Monitor, 7500 RPM 20HP Cat 40 Spindle Programmable Coolant Nozzle, Chip Auger, 4th Axis wired. 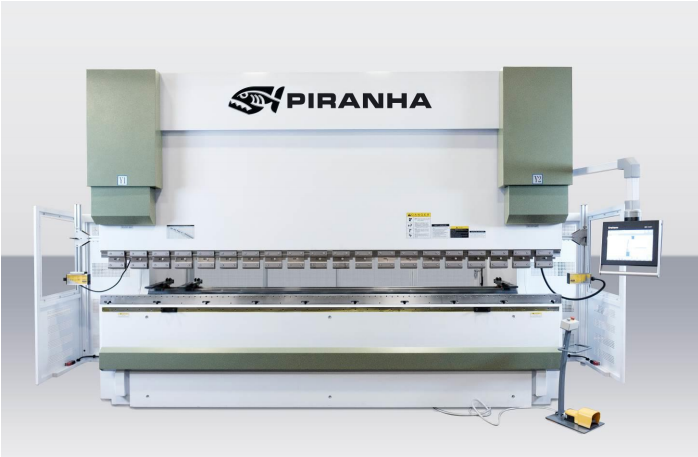 4’ x 4’ Dual Side Drive, Plasma Cutting System with Starfire CNC Controller, ProNEST® 2019 LT Programming System, MicroStep Programmable Torch Height Control, Panasonic Servo Motors and Drives. 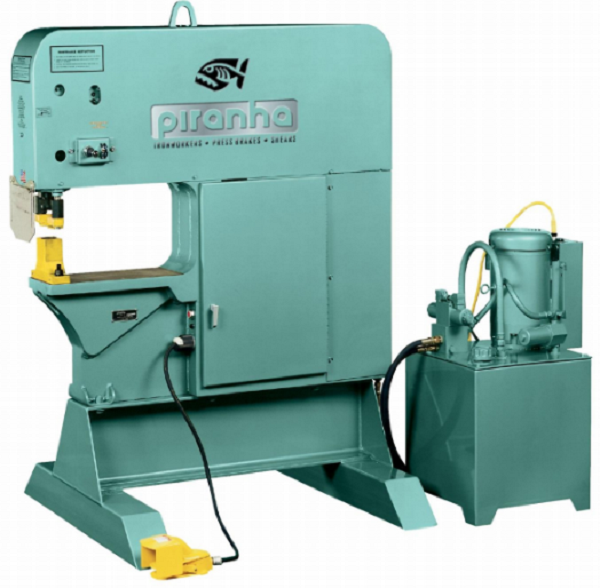 140 Ton X 20-½” Ironworker with Automatic Hold Down, Coupling Wrench, Punch Holder, Stripper, & Die Block, Chip Bucket, 5 Punch & Die Sets 9/16” Through 1-1/16”, Extra Filter Element, Set of Angle Knives, Two (2) Foot Switches, Set 1-1/4” Round Bar Knives, Instruction/Parts Book/Video Link, Set of 16-⅝” Plate Shear Knives, Set of Coper Knives. 5’ X 10’ Fiber Laser Cutting System Available in 1.0KW to 2.5KW with Windows CNC Control, ProNEST® LT 2019 Programming Software, Shuttle Table with Two (2) Pallets, Red Diode Laser Pointer, Automatic Lubrication System with Timer, Automatic Cutting Gas Control and Proportional Valve. 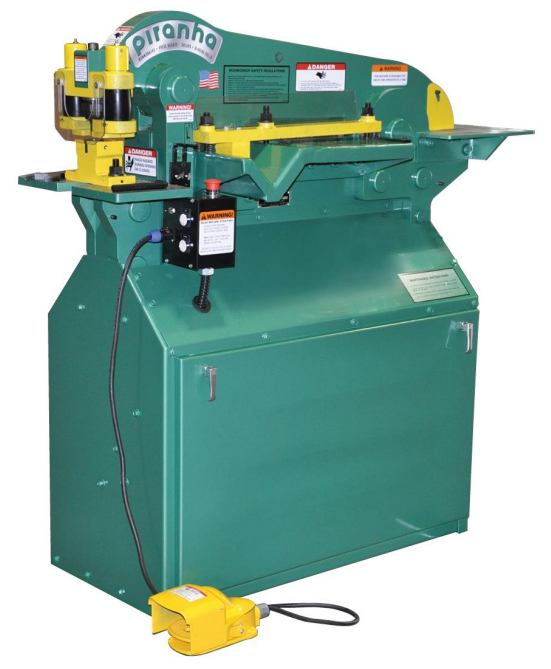 140 Ton X 12’ Ironworker with Automatic Hold Down, Coupling Wrench, Punch Holder, Stripper, & Die Block, 3/8” Allen Wrench, 5 Punch & Die Sets 9/16” through 1-1/16”, Set of Chip Buckets, Set of Angle Knives, Extra Filter Element, Set 1-1/4” Round Bar Knives, Foot Switch, Set of 16-5/8” Plate Shear Knives, Instruction/Parts Book/Video Link Set of Coper Knives. 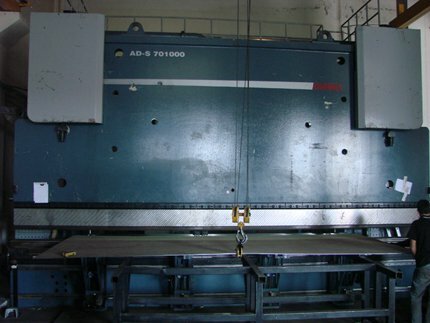 220 Ton X 10' CNC Hydraulic Press Brake with Delem DA-58T Graphical CNC Controller, X &amp; R Axis Standard Backgage, Fiessler AKAS-LC Laser Safety Curtain System, Precision ground die rail with hold down bolts, Safety Side Door Guards and Rear Safety Gate, Movable Front Support Arms and Available Customizable Optional Features. 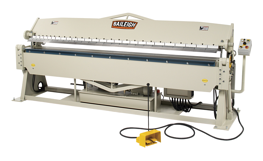 1/4” X 10’ CNC Hydraulic Guillotine Style Shear with the Delem DAC 360 CNC Controller, Programmable Blade Gap and Rake Angle Adjustment, Leuze Light Curtain/Photocell Switch, 3 Front Sheet Supports, Backgauge Driven by AC Motor w/Ball Screw and Linear Rod Guides. 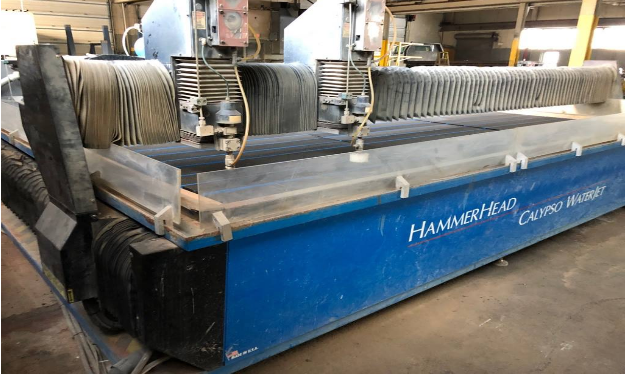 3/16” X 10’ Mechanical Power Squaring Shear with Front Operated 38” Power Backagage, R/H Mounted 10’ Squaring Arm, Dual Front Supports, Centralized Lubrication System and Electronic Foot Pedal Operation. 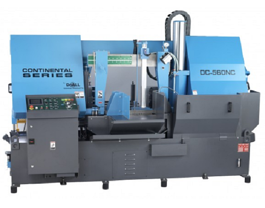 40” X 120” Dual Column Surface Grinder with ADI NC Controller, Table Mounted Diamond Dresser, Auto Down Feed with MPG, Ball Screw on Cross Feed, Automatic Down Feed, ADI (NC control with MPG) Lead Screw on Vertical, Criss Cross Grinding, Cross Feed Stroke Adjuster by Electronic One Touch System. 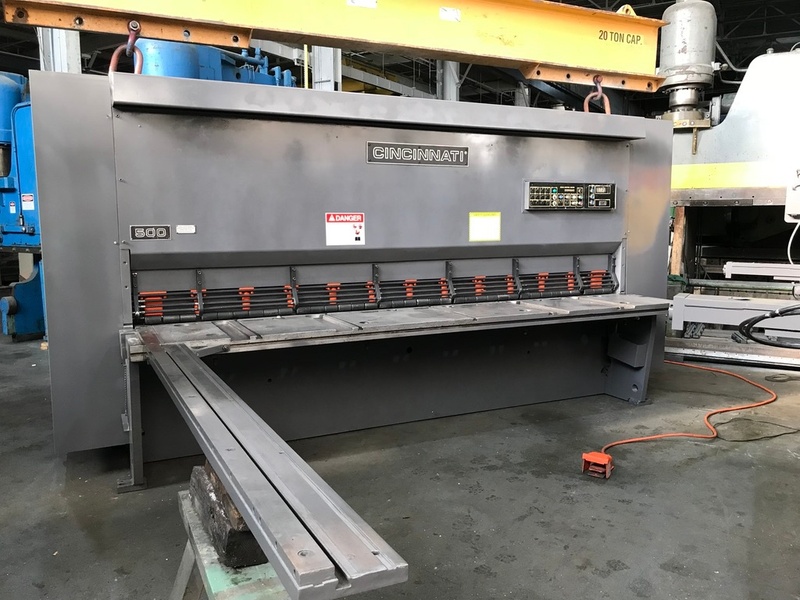 230 Ton X 12’ Hydraulic Press Brake with Cybelec CybTouch8 CNC Controller and Backgauge, Manuals, Interlocked Construction Clevis Mounted Self Aligning Cylinders. 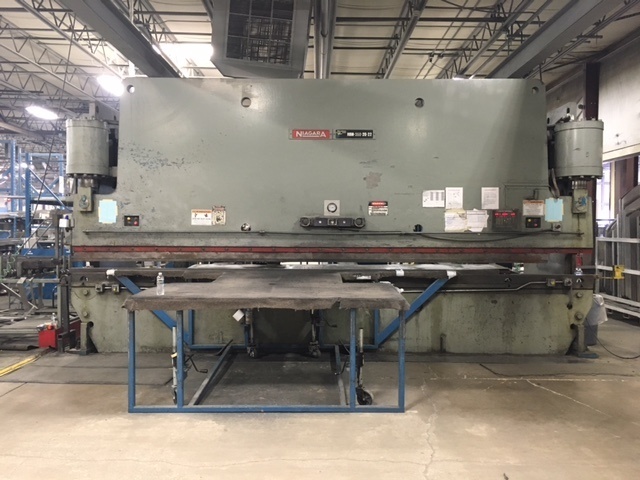 225 Ton X 12' Mechanical Press Brake with Hurco Autobend Control and Backgage, Air Clutch, Tilting Ram Adjustment with Forward and Reverse Controls. 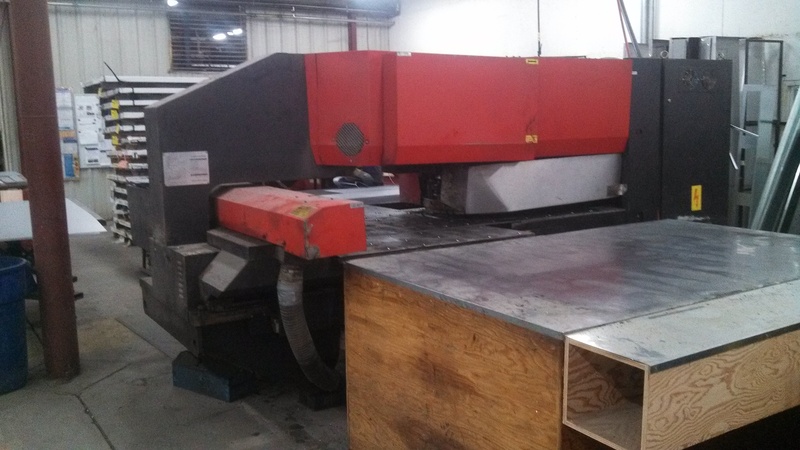 100” X 50” 25 Ton CNC Turret Punch with Trumpf Siemens CNC Controller, Trumpf SheetMaster Load/Unload System, 18 Position Linear Tool Changer and Tool Presetter. 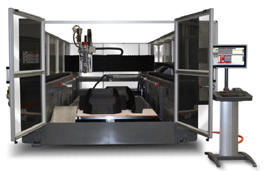 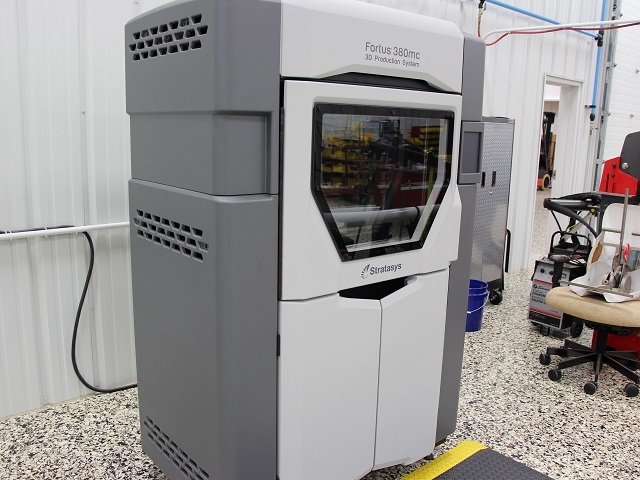 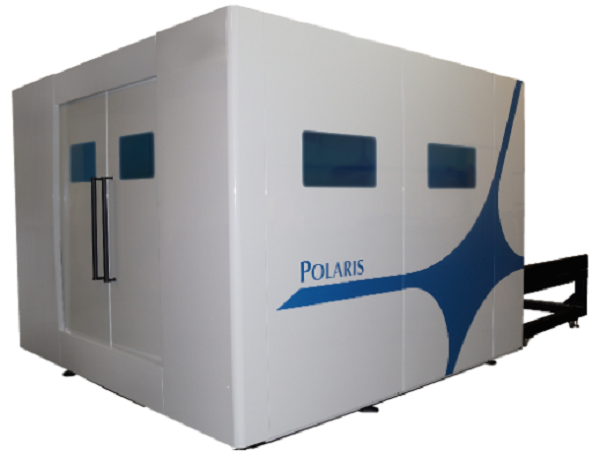 5’ X 10’ 4.0KW (4,000 Watt) CNC Laser Cutting System with Mazatrol Preview CNC Control, Linear Drives, Nozzle and Head Cleaning/Inspection/Changing for Complete Unmanned Operation with 18,000 Hours of Laser On Time. 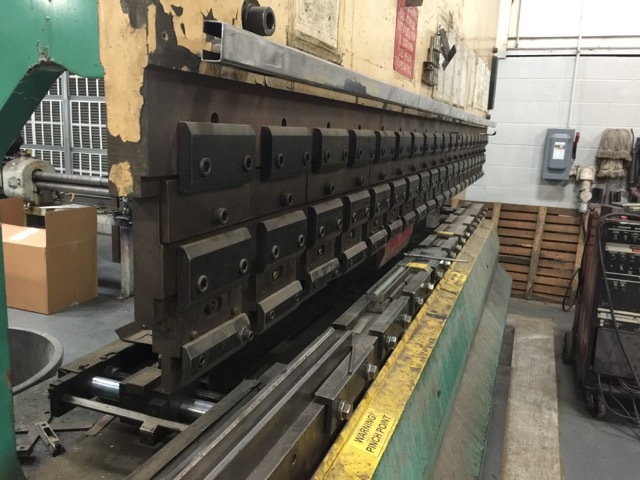 230 Ton X 10’ Hydraulic Press Brake with 2 Axis Hurco Autobend 7 Back Gauge, Custom Horn for Box Forming, Electric Foot Switch, Palm Button Station, Manuals, Interlocked Construction and Clevis Mounted Self Aligning Cylinders. 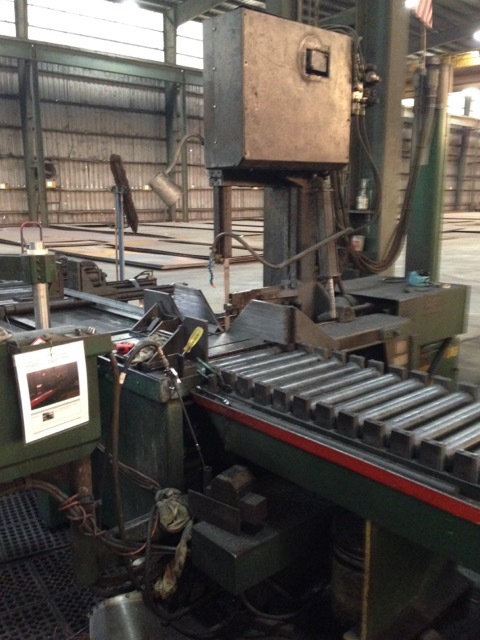 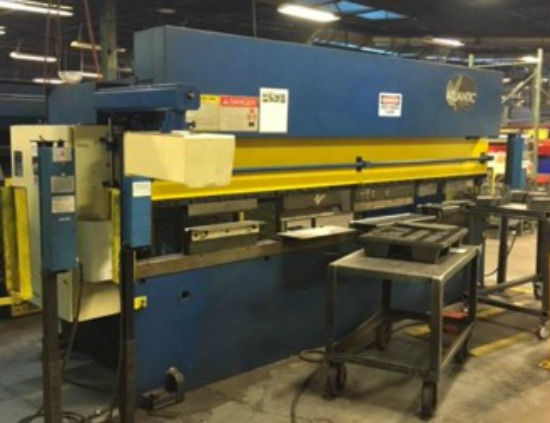 230 Ton X 12’ Hydraulic Press Brake with Electric Foot Switch Hurco Autobend 5C 2-AXIS Back Gauge Palm Button Station, Manuals, Interlocked Construction, Clevis Mounted Self Aligning Cylinders. 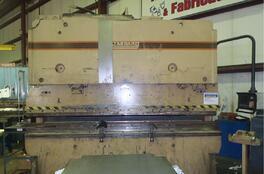 50” X 50” 22 Ton CNC Turret Punch with GE Fanuc 18P Control Auto Repositioning Ball Transfer Table. 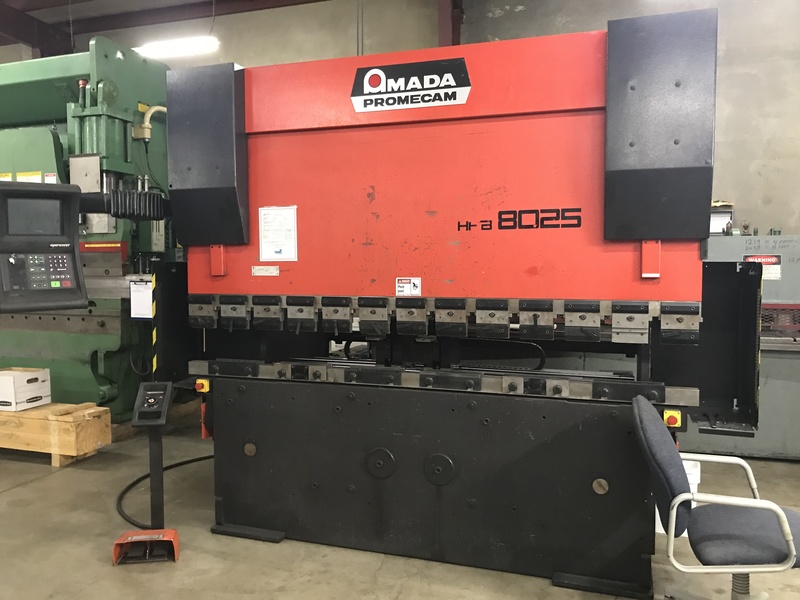 230 Ton X 12’ Hydraulic Press Brake with Hurco Autobend 7 3 Axis CNC Backgauge (X,Y,R) Electric Foot Switch Palm Button Stations Manuals Interlocked Construction Clevis Mounted Self Aligning Cylinders. 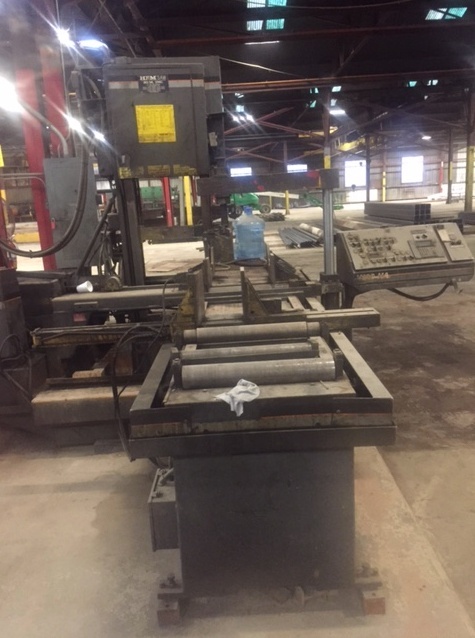 240 Ton X 14’ Hydraulic Press Brake with Updated PC800 CNC Control Sectional Ram Clamps Y1, Y2 Dual Ram Encoders 24” Back Gauge Lazer Safe Light Curtains High Speed Servo Hydraulic System Pedestal Palm Station/ Electric Foot Switch Heidenhain Scales. 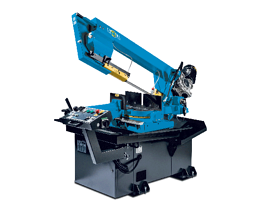 1/4" X 10' Hydraulic Shear with 120” Cincinnati Front Gauge Arm Dovetail Slots In Shear Table Hand Slots in Shear Table Electric Foot Switch Air Electric Cylinder Jaw Clutch Automatic Pressurized Lubrication Interlocked All Steel Construction Non-Float Inclined Ram. 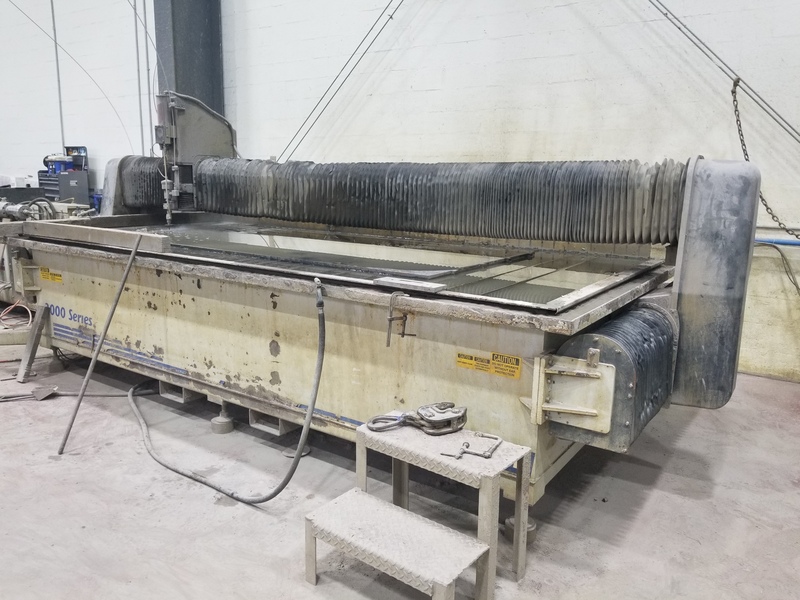 6’ X 12’ Abrasive Waterjet Cutting System with 5-Axis Flow CNC Flow Cut Garnet Hopper Roll Around Control 5-Axis XD Cutting Head with Less Than 1700 Hours of Run Time. 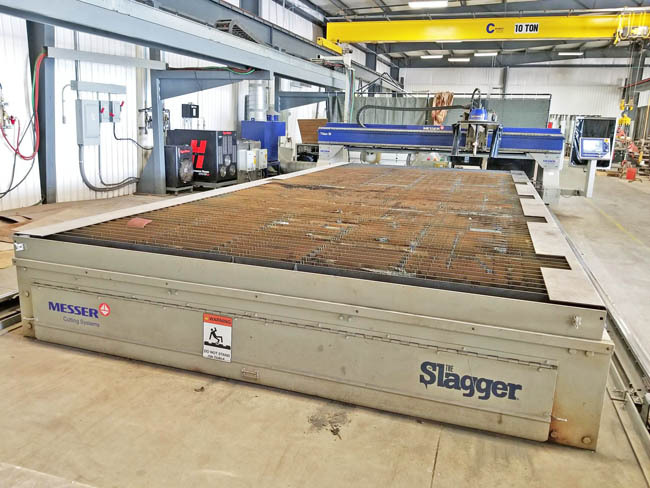 140” x 60” 55 Ton Combo High Definition Plasma with Siemens Sinumerik 840Di CNC Control Tool Caddy (adds 21 tools to capacity, 30 total), HPR260XD Plasma Cutting System. 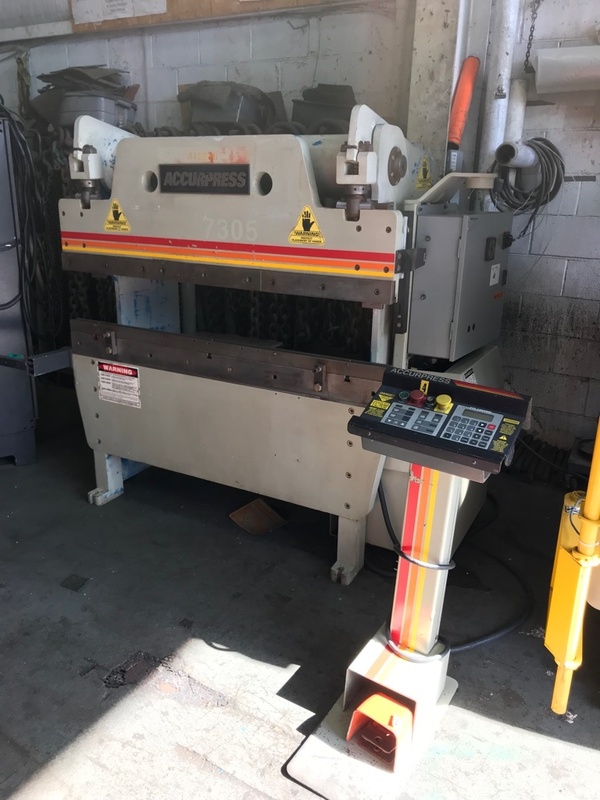 20″ x 13″ Band Saw with Variable Frequency AC Drive Band Speed Indicator Band Door Interlocks Band tension Indicator Job Selector One Set of High-Speed, Insert-Type Guide Blocks for Bands 1/8" - 1/2" Chip Pan One Set of Steel Guide Inserts for Bands 1/4", 3/8" and 1/2" Wrench for Saw Guides Wrench for Table Trunnion Transmission Oil One DoALL Bi-Metal Saw Blade Instruction and Parts Manuals on CD or USB Data Stick. 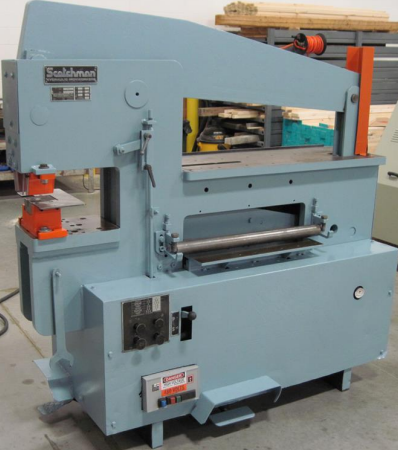 20″ x 13″ Band Saw with Wrench for Saw Guides Dual Range Transmission Variable Frequency AC Drive Band Speed Indicator Band Door Interlocks Band Tension Indicator Job Selector One Set of High-Speed, Insert-Type Guide Blocks for Bands 1/16" - 1/2" Chip Pan One Set of Steel Guide Inserts for Bands 1/4", 3/8" and 1/2" Wrench for Table Trunnion Transmission Oil One DoALL Bi-Metal Saw Blade Instruction and Parts Manuals on CD or USB Data Stick. 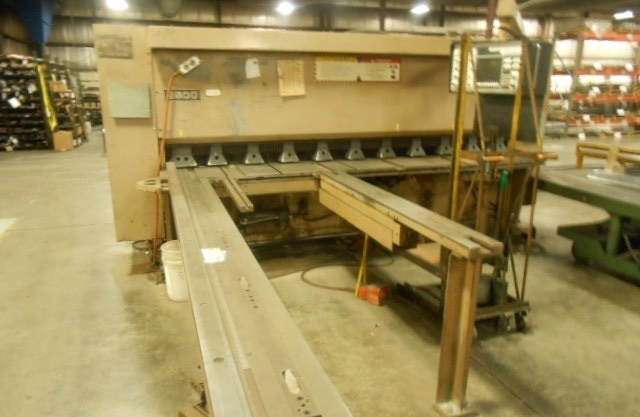 36″ x 13″ Band Saw with Set of High-Speed, Insert-Type Guide Blocks for Bands 1/8″-1″ Set of Steel Guide Inserts for Bands 1/4″, 3/8″ and 1/2″ Band Door Interlocks Job Selector Wrench for Saw Guides Chip Pan Chip Blower Work Light Post Elevating Hand Wheel Band Tension Indicator Transmission Oil Wrench for Table Trunnion Band Speed Indicator Reading in fpm/mpm Variable Frequency AC Drive Dual-Range Transmission One DoALL Bi-Metal Saw Blade Instruction and Parts Manuals on CD or USB Data Stick. 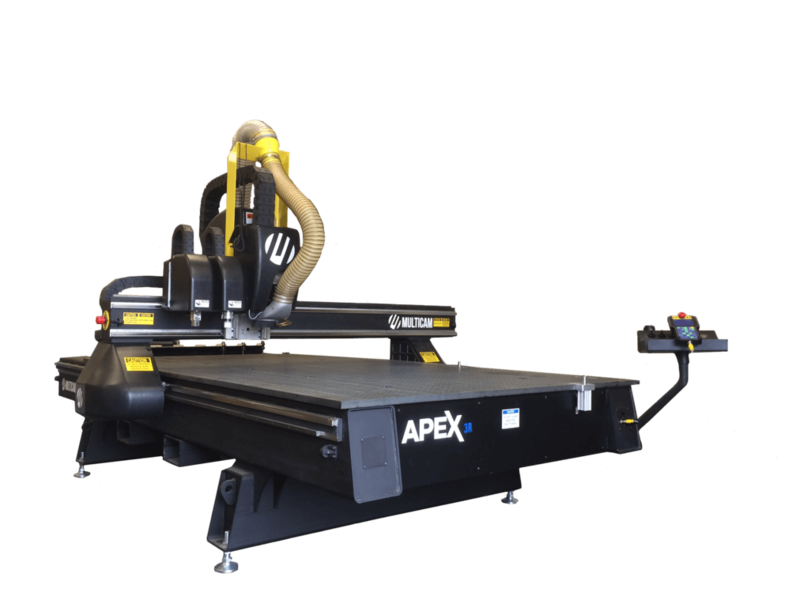 11-¾” x 12-1/2″ Band Saw with Mitsubishi Saw Control Overfeed Protection Blade-Driven Band Brush 3.3 ft (1000mm) Work Stop Directly Mounted Work Height Sensor Variable Frequency Drive Work Light Flood Coolant Tool Kit Complimentary DoALL Cutting Fluids Package One DoALL Bi-Metal Saw Blade Instruction and Parts Manuals on CD or USB Data Stick. 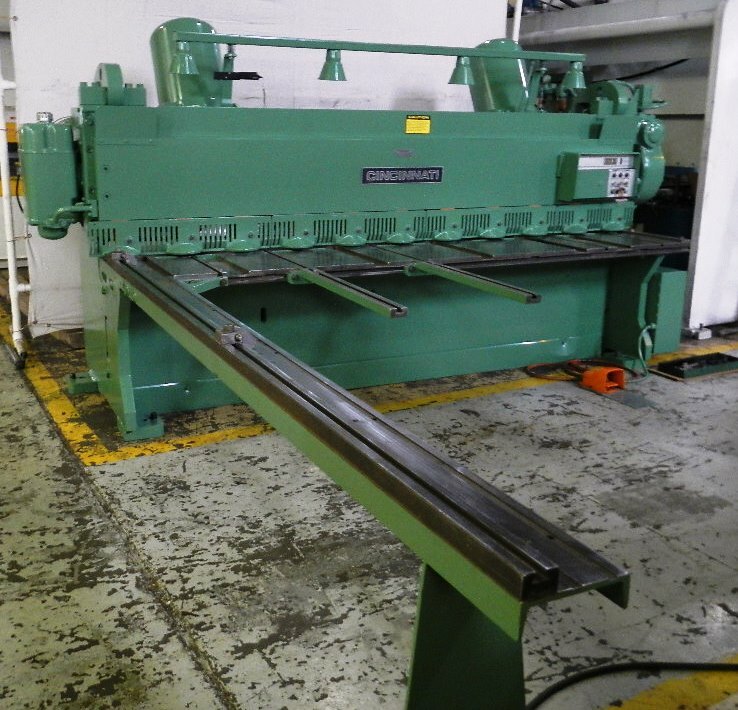 20″ x 13″ Band Saw with Wrench for Saw Guides Dual Range Transmission Variable Pulley Drive Band Speed Indicator Band Door Interlocks Band Tension Indicator Job Selector One Set of High-Speed, Insert-Type Guide Blocks for Bands 1/8″ - 1/2″ Chip Pan One Set of Steel Guide Inserts for Bands 1/4″, 3/8″ and 1/2″ Wrench for Table Trunnion Transmission Oil One DoALL Bi-Metal Saw Blade Instruction and Parts Manuals on CD. 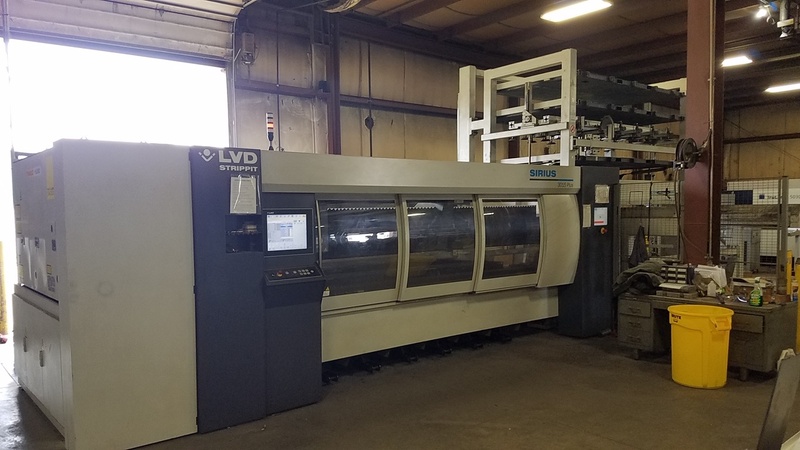 10’ x 5’, 4000 Watt CNC Laser Cutting System with LVD Touch-L/Fanuc 31i Controller, Compact 4 Pallet Tower Load/Unload System and Only 21,642 Beam on Hours! 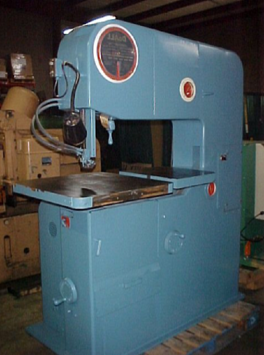 9″ x 16″ Band Saw with Swivel Head to 45 Degrees Recirculating Coolant System Saw Guides, Spring-Loaded, Solid Carbide Inserts Rapid Saw Head Approach Control Band Door Interlocks Fine Adjustment Head Feed Control Complimentary Coolant Package Powered Band Brush Replaceable Steel Wear Plates on Bed Discharge Tray Shovel Rake Instruction Plate with Sawing Recommendations Saw Blade Guard One DoALL Bi-Metal Saw Blade Instruction and Parts Manuals on CD or USB Data Stick. 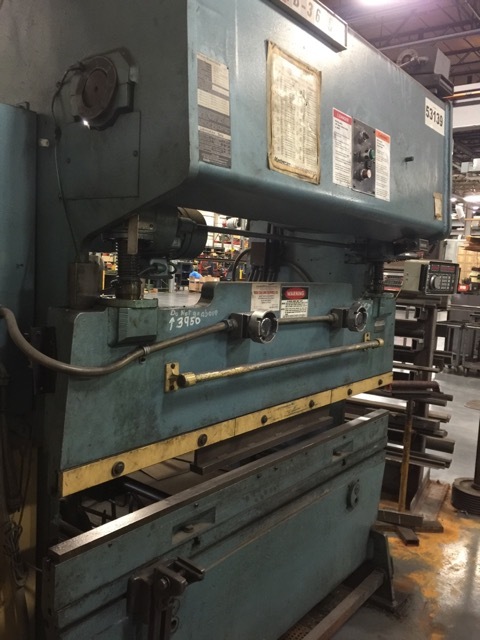 36″ x 13″ Band Saw with One Set of High-Speed, Insert-Type Guide Blocks for Bands 1/8″ Through 1/2″ One Set of Steel Guide Inserts for Bands 1/4″, 3/8″ and 1/2″ Job Selector Band Speed Indicator Reading in fpm/mpm Band Tension Indicator Manual Post Elevating Variable Frequency AC Drive Chip Pan Chip Blower Work Light Post Elevating Hand Wheel Wrench for Saw Guides Wrench for Table Trunnion One DoALL Bi-Metal Saw Blade Instruction and Parts Manuals on CD or USB Data Stick. 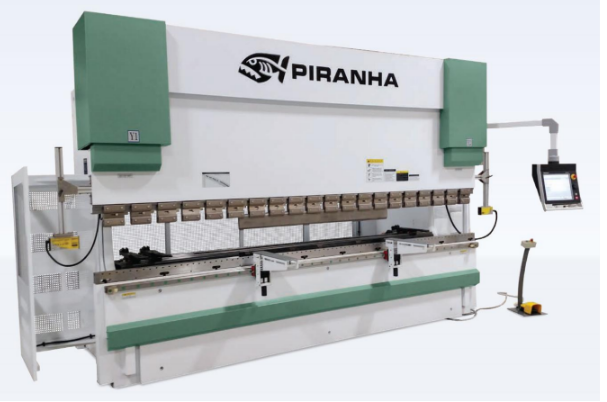 11-¾” x 11" Band Saw with PLC Control for All Electric and Hydraulic Functions Infinitely Variable Speed Controlled by VFD Hydraulic Retractable Shuttle Vise Material Indexer Rapid and Creep Speed Index Vise Control Multi-Step Full Stroke Vises with Split Front Vise and Variable Vise Pressure Control Nesting Fixture for Bundle Cutting Spring Loaded, Zero Clearance, Coolant Through, Carbide Faced Saw Guide with Lead-In Rollers Power Driven, Coolant Flushed, Blade Cleaning Wire Brush Flushing Hose and Auxiliary Coolant Nozzles Hydraulic Blade Tension Automatic Chip Conveyor Blade Breakage/Stall Motion Detector Shut Off Switch Band Door Interlocks Work Light One 6.5 Foot (2 meter) Gravity Conveyor Tool Kit Complimentary DoALL Cutting Fluids Package One DoALL Bi-Metal Saw Blade Instruction and Parts Manuals on CD or USB Data Stick. 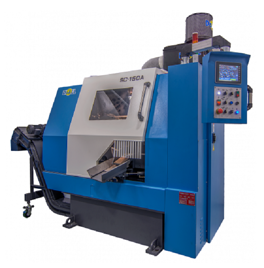 18” x 20″ Band Saw with PLC Control for All Electric and Hydraulic Functions Infinitely Variable Speed Controlled by VFD Hydraulic Retractable Shuttle Vise Material Indexer Rapid and Creep Speed Index Vise Control Multi-Step Full Stroke Vises with Split Front Vise and Variable Vise Pressure Control Nesting Fixture for Bundle Cutting Spring Loaded, Zero Clearance, Coolant Through, Carbide Faced Saw Guide with Lead-In Rollers Power Driven, Coolant Flushed, Blade Cleaning Wire Brush Flushing Hose and Auxiliary Coolant Nozzles Hydraulic Blade Tension Automatic Chip Conveyor Blade Breakage/Stall Motion Detector Shut Off Switch Band Door Interlocks Work Light One 6.5 Foot (2 meter) Gravity Conveyor Tool Kit Complimentary DoALL Cutting Fluids Package Instruction and Parts Manuals on CD or USB Data Stick One DoALL Bi-Metal Saw Blade. 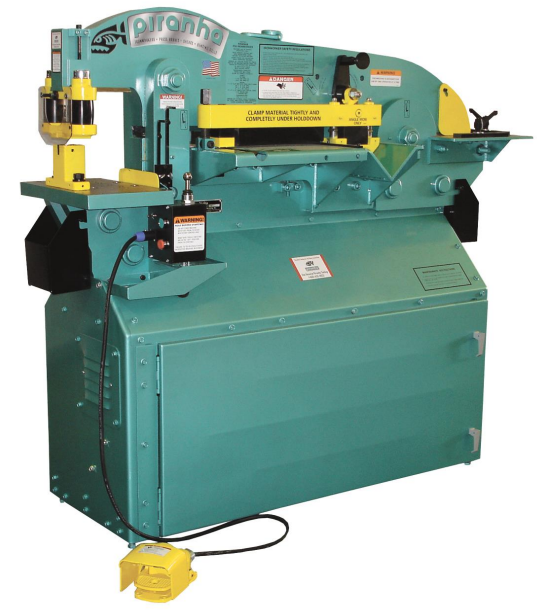 20” x 22" Band Saw with Programmable Logic Controller (PLC) Control for All Electric and Hydraulic Functions Multi-Step Full Stroke Vises with Split Front Vise and Variable Vise Pressure Control Spring Loaded, Zero Clearance, Coolant Through, Carbide Faced Saw Guide with Lead-In Rollers Power Driven, Coolant Flushed, Blade Cleaning Wire Brush Flushing Hose and Auxiliary Coolant Nozzles Hydraulic Blade Tension Automatic Chip Conveyor Blade Breakage/Stall Motion Detector Shut Off Switch Band Door Interlocks Work Light One 6.5 Foot (2 meter) Gravity Conveyor Tool Kit Complimentary DoALL Cutting Fluids Package One DoALL Bi-Metal Saw Blade Instruction and Parts Manuals on CD or USB Data Stick. 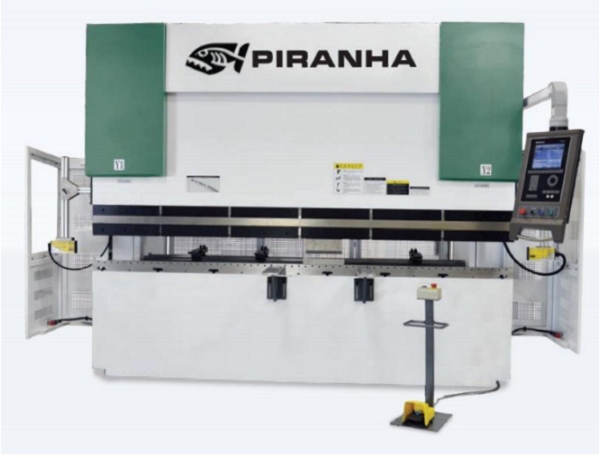 24” x 22″ Band Saw with PLC Control for All Electric and Hydraulic Functions Infinitely Variable Speed Controlled by VFD Hydraulic Retractable Shuttle Vise Material Indexer Rapid and Creep Speed Index Vise Control Multi-Step Full Stroke Vises with Split Front Vise and Variable Vise Pressure Control Spring Loaded, Zero Clearance, Coolant Through, Carbide Faced Saw Guide with Lead-In Rollers Power Driven, Coolant Flushed, Blade Cleaning Wire Brush Flushing Hose and Auxiliary Coolant Nozzles Hydraulic Blade Tension Automatic Chip Conveyor Blade Breakage/Stall Motion Detector Shut Off Switch Band Door Interlocks Work Light One 6.5 Foot (2 meter) Gravity Conveyor Tool Kit Complimentary DoALL Cutting Fluids Package One DoALL Bi-Metal Saw Blade Instruction and Parts Manuals on CD or USB Data Stick. 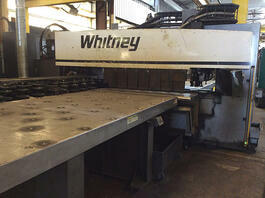 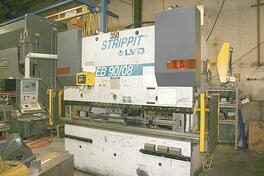 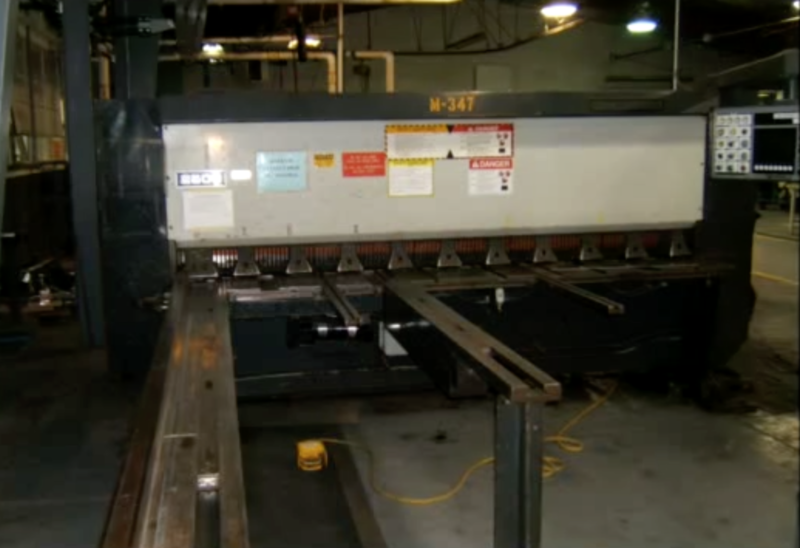 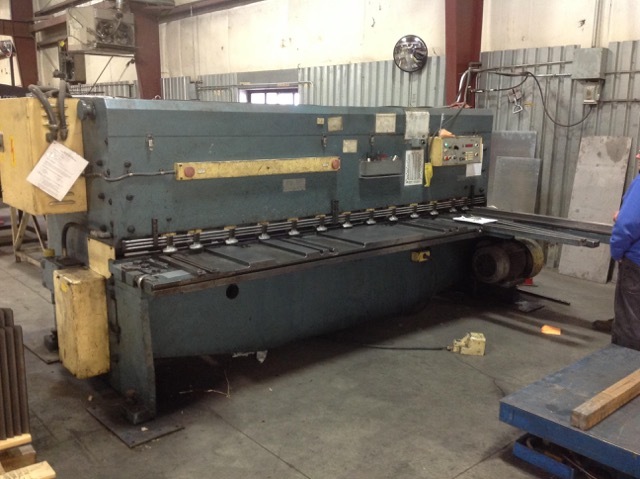 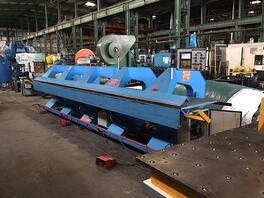 60 Ton X 10’ Mechanical Press Brake with Full Length Foot Treadle Controls and Wide Flanged Bed for Tooling. 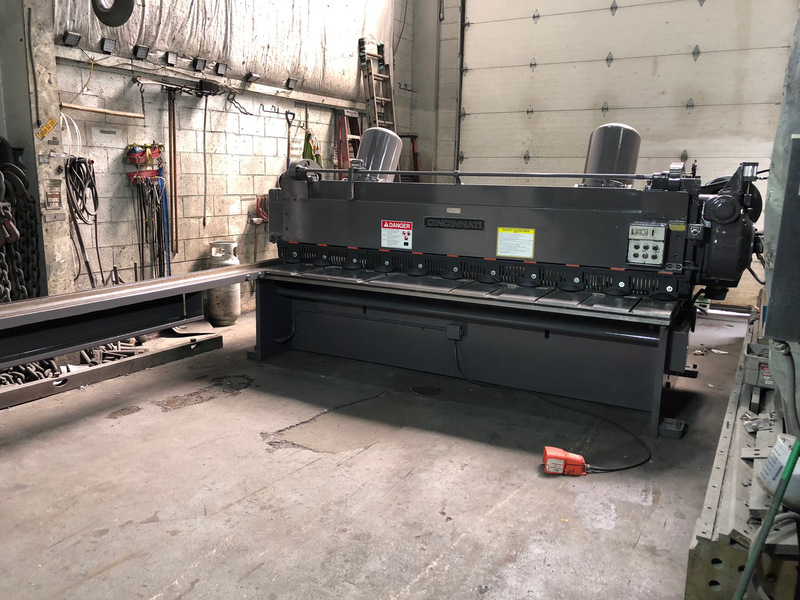 1/4" X 24' Hydraulic Shear with New 36" Backgage Front Support Arms with Scales & Disappearing Stops, (2) Slots Machined Out of Side Frames, Manual Blade Gap Adj., 1-3/4" Hold Down Shafts, and Factory Installed Light Curtain. 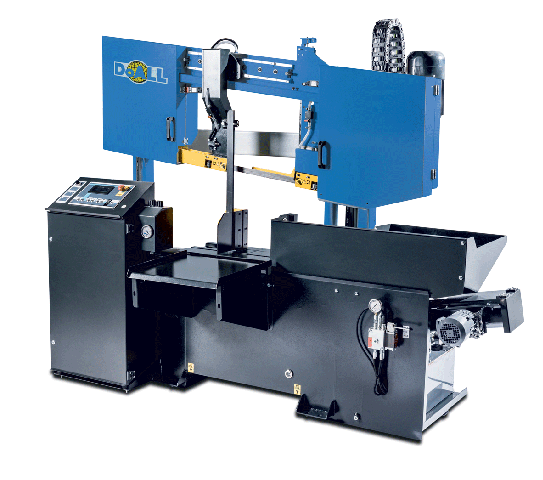 20″ x 12″ Band Saw with One Set of Saw Guide Blocks w/Carbide Backup for Bands 1/8" to 1" One Set of 3/4" and 1" Carbide-Faced Inserts One Set of Metal Saw Guide Inserts for Bands 1/4", 3/8" and 1/2" Mist Coolant—Plant Air Variable Frequency AC Drive Chip Pan Job Selector Band Speed Indicator Wheel Brush Assembly Band Tension Indicator Post Elevating Hand Wheel Dual-Range Transmission Table Trunnion Wrench Complimentary Coolant Package Wrench for Saw Guides Transmission Oil One DoALL Bi-Metal Saw Blade Instruction and Parts Manuals on CD or USB Data Stick. 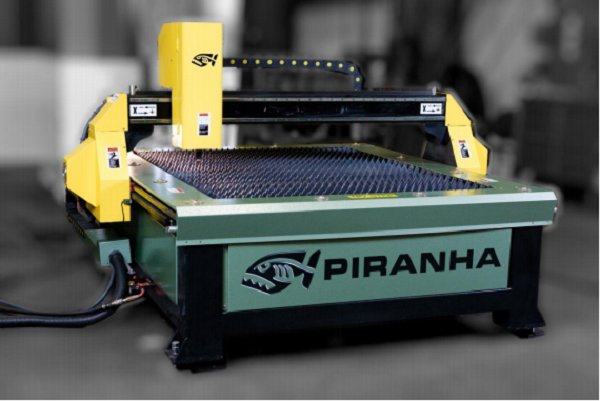 5’ x 10’ Plasma Cutting System with Starfire CNC Control, ProNEST® 2019 LT Programming System, MicroStep Programmable Torch Height Control Panasonic Servo Motors and Drives, Dual Side Drive Downdraft Exhaust System with Rugged Construction. 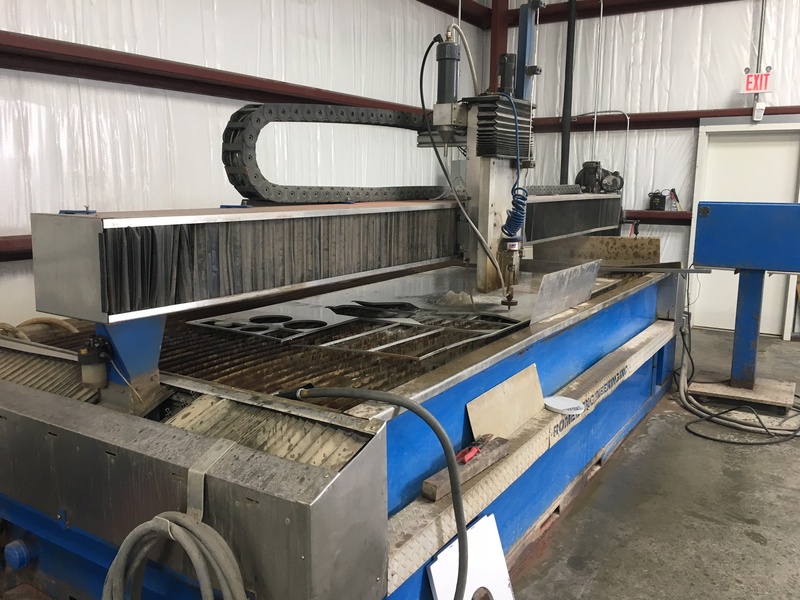 6’ x 12’ CNC Abrasive Waterjet Cutting System with Flowmaster PC Based Controller, Dynamic Cutting Head, 50HP, 60K PSI Hyperjet Intensifier Pump and Abrasive Hopper. 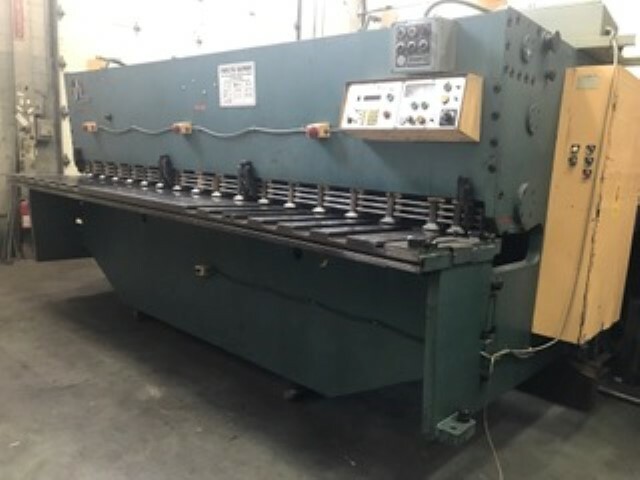 3/16” X 10’ Mechanical Power Squaring Shear with 48” Back Gauge Range, 12’ Standard Squaring Arm, Foot Treadle, Automatic Pressurized Lubrication System, Hand Slots and Dovetail Slots in Shear Table. 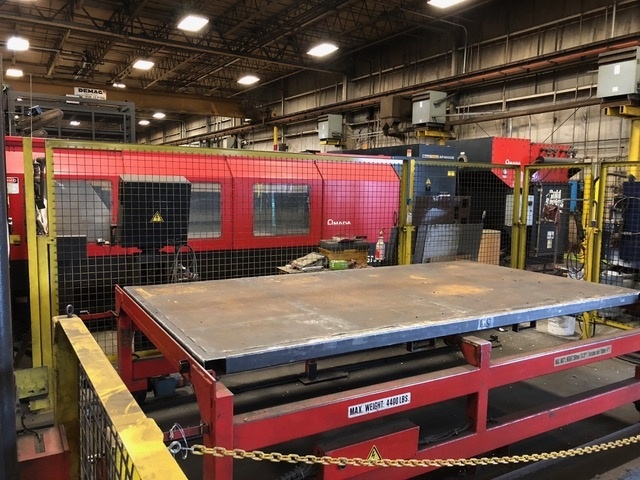 350 Tons X 13.4’ CNC 8 Axis Hydraulic Press Brake with the Cybelec ModEva 12S CNC Controller, Fiessler Laser Safe Light Curtain, Wilson Segmented Ram Clamps, 6 Axis Backgage (X1, X2, Z1, Z2, R1, R2), Front Support and Pedestal Workstation. 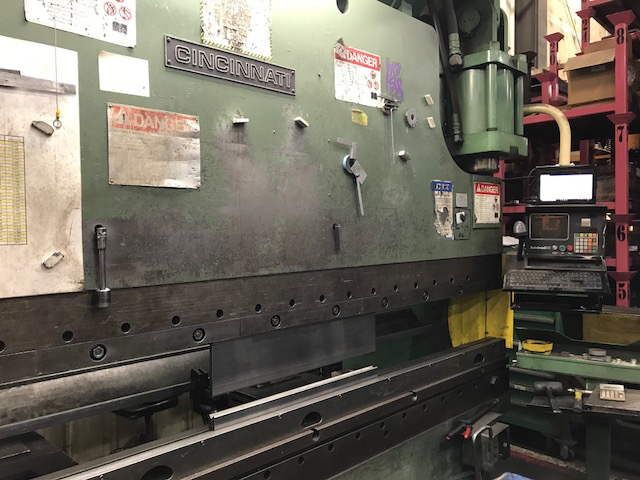 36" x 12" Band Saw with Post Elevating Hand Wheel One Set of 3/4″, and 1″ Carbide-Faced Inserts Dual-Range Transmission Band Speed Indicator Set of Saw Guide Blocks with Carbide Backup for Bands 1/8″ to 1″ Set of Metal Saw Guide Inserts for Bands 1/4″, 3/8″ and 1/2″ Job Selector Wrench for Saw Guides Table Trunnion Wrench Removable Chip Drawer Mist Coolant—Plant Air Variable Frequency AC Drive Complimentary Coolant Package Transmission Oil Band Tension Indicator One DoALL Bi-Metal Saw Blade Instruction and Parts Manuals on CD or USB Data Stick. 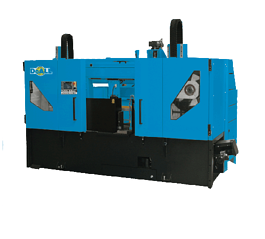 11-¾” x 11" Band Saw with Programmable Logic Controller (PLC) Control for All Electric and Hydraulic Functions Speed Transmission by Worm Gear & Shaft Hydraulic Blade Tension Multi-Step full Stroke Vises with Split Front Vise and Variable Vise Pressure Control Spring Loaded Zero Clearance Coolant Through Carbide Faced Saw Guide with Lead-In Rollers Power Driven Coolant Flushed Blade Cleaning Wire Brush Flushing Hose and Auxiliary Coolant Nozzles Automatic Chip Conveyor Blade Breakage/Stall Motion Detector Shut Off Switch Band Door Interlocks Work Light Gravity Conveyor Tool Kit Complimentary DoALL Cutting Fluids Package One Complimentary DoALL Bi-Metal Saw Blade Instruction and Parts Manuals on CD or USB Data Stick. 15-¾” x 13" Band Saw with PLC Control for All Electric and Hydraulic Functions Infinitely Variable Speed Controlled by VFD Hydraulic Retractable Shuttle Vise Material Indexer Rapid and Creep Speed Index Vise Control Multi-Step Full Stroke Vises with Split Front Vise and Variable Vise Pressure Control Nesting Fixture for Bundle Cutting Spring Loaded Zero Clearance Coolant Through Carbide Faced Saw Guide with Lead-In Rollers Power Driven Coolant Flushed Blade Cleaning Wire Brush Flushing Hose and Auxiliary Coolant Nozzles Hydraulic Blade Tension Automatic Chip Conveyor Blade Breakage/Stall Motion Detector Shut Off Switch Band Door Interlocks Work Light Gravity Conveyor Tool Kit Complimentary DoALL Cutting Fluids Package One DoALL Bi-Metal Saw Blade Instruction and Parts Manuals on CD or USB Data Stick. 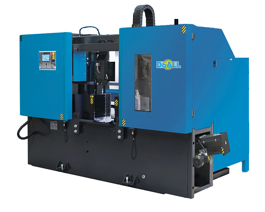 15.75” x 13" Band Saw with Programmable Logic Controller (PLC) Control for All Electric and Hydraulic Functions Multi-Step Full Stroke Vises with Split Front Vise and Variable Vise Pressure Control Spring Loaded Zero Clearance Coolant Through Carbide Faced Saw Guide with Lead-In Rollers Power Driven Coolant Flushed Blade Cleaning Wire Brush Flushing Hose and Auxiliary Coolant Nozzles Hydraulic Blade Tension Automatic Chip Conveyor Blade Breakage/Stall Motion Detector Shut Off Switch Band Door Interlocks Work Light Gravity Conveyor Tool Kit Complimentary DoALL Cutting Fluids Package One DoALL Bi-Metal Saw Blade Instruction and Parts Manuals on CD or USB Data Stick. 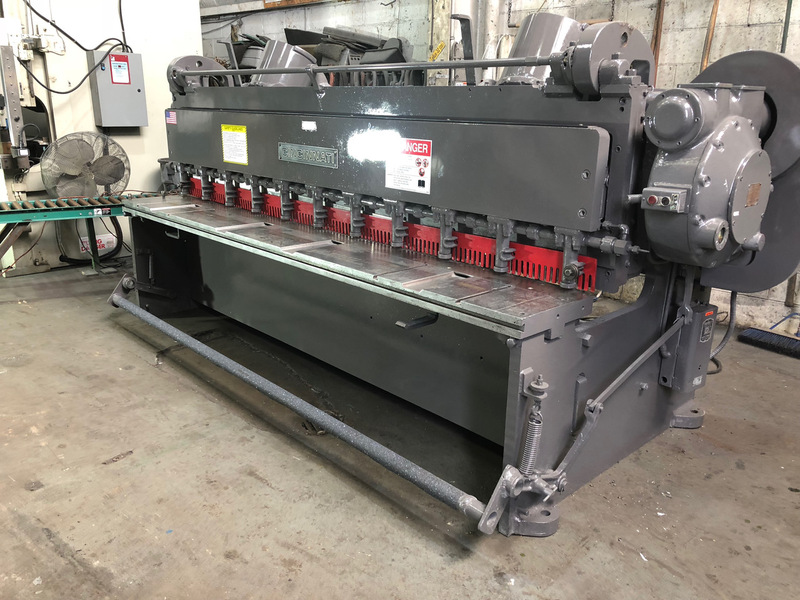 12' x 3/8" Guillotine Style Hydraulic Shear with Go-To Programmable Gage Controller, 36" Back Gauge, 6’ Squaring Arm, 2 Front Support Arms, Quick Blade Gap Adjustment Shadow Light Line and Oil Cooler. 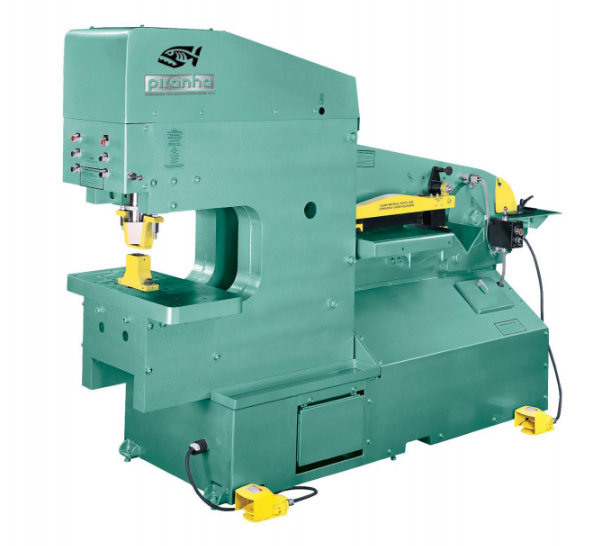 16-½” x 16-½” Band Saw with PLC Control for all Electric and Hydraulic Functions Infinitely Variable Speed Controlled by VFD Hydraulic Retractable Shuttle Vise Material Indexer Rapid and Creep Speed Index Vise Control Multi-Step Full Stroke Vises with Split Front Vise and Variable Vise Pressure Control Nesting Fixture for Bundle Cutting Spring Loaded Zero Clearance Coolant Through Carbide Faced Saw Guide with Lead-In Rollers Power Driven Coolant Flushed Blade Cleaning Wire Brush Flushing Hose and Auxiliary Coolant Nozzles Hydraulic Blade Tension Automatic Chip Conveyor Tool Kit Complimentary DoALL Cutting Fluids Package One DoALL Bi-Metal Saw Blade Operation and Parts Manuals on CD or USB Data Stick. 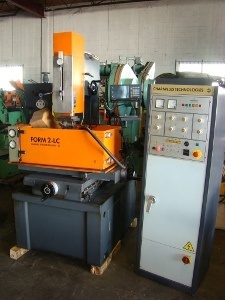 24” x 22″ Band Saw with PLC Control for all Electric and Hydraulic Functions Infinitely Variable Speed Controlled by VFD Hydraulic Retractable Shuttle Vise Material Indexer Rapid and Creep Speed Index Vise Control Multi-Step Full Stroke Vises with Split Front Vise and Variable Vise Pressure Control Spring Loaded Zero Clearance Coolant Through Carbide Faced Saw Guide with Lead-In Rollers Power Driven Coolant Flushed Blade Cleaning Wire Brush Flushing Hose and Auxiliary Coolant Nozzles Hydraulic Blade Tension Automatic Chip Conveyor Blade Breakage/Stall Motion Detector Shut off Switch Band Door Interlocks Work Light One 6.5 Foot (2 meter) Gravity Conveyor Tool Kit Complimentary DoALL Cutting Fluids Package One DoALL Bi-Metal Saw Blade Instruction and Parts Manuals on CD or USB Data Stick. 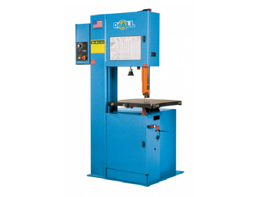 31.5” x 22" Band Saw with Programmable Logic Controller (PLC) Control for all Electric and Hydraulic Functions Multi-Step Full Stroke Vises with Split Front Vise and Variable Vise Pressure Control Spring Loaded Zero Clearance Coolant Through Carbide Faced Saw Guide with Lead-In Rollers Power Driven Coolant Flushed Blade Cleaning Wire Brush Flushing Hose and Auxiliary Coolant Nozzles Hydraulic Blade Tension Automatic Chip Conveyor Blade Breakage/Stall Motion Detector Shut Off Switch Band Door Interlocks Work Light One 6.5 Foot (2 meter) Gravity Conveyor Tool Kit Complimentary DoALL Cutting Fluids Package One DoALL Bi-Metal Saw Blade Instruction and Parts Manuals on CD or USB Data Stick. 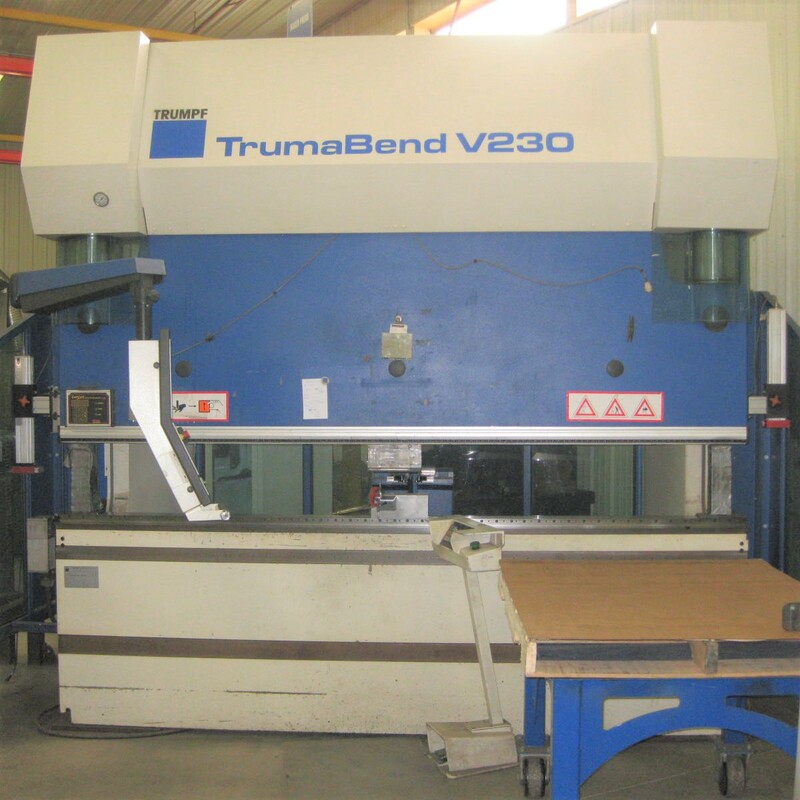 27” x 31″ Band Saw with PLC Control for all Electric and Hydraulic Functions Infinitely Variable Speed Controlled by VFD Hydraulic Retractable Shuttle Vise Material Indexer Rapid and Creep Speed Index Vise Control Multi-Step Full Stroke Vises with Split Front Vise and Variable Vise Pressure Control Spring Loaded Zero Clearance Coolant Through Carbide Faced Saw Guide with Lead-In Rollers Power Driven Coolant Flushed Blade Cleaning Wire Brush Flushing Hose and Auxiliary Coolant Nozzles Hydraulic Blade Tension Automatic Chip Conveyor Blade Breakage/Stall Motion Detector Shut Off Switch Band Door Interlocks Work Light Tool Kit Complimentary DoALL Cutting Fluids Package One DoALL Bi-Metal Saw Blade Instruction and Parts Manuals on CD or USB Data Stick. 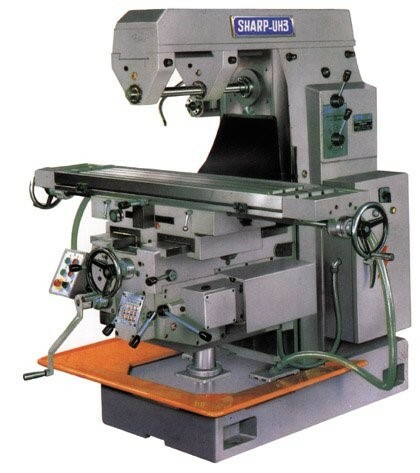 39.3″ x 31.4″ Band Saw with PLC Control for all Electric and Hydraulic Functions Infinitely Variable Speed Controlled by VFD Hydraulic Retractable Shuttle Vise Material Indexer Rapid and Creep Speed Index Vise Control Multi-Step Full Stroke Vises with Split Front Vise and Variable Vise Pressure Control Spring Loaded Zero Clearance Coolant Through Carbide Faced Saw Guide with Lead-In Rollers Power Driven Coolant Flushed Blade Cleaning Wire Brush Flushing Hose and Auxiliary Coolant Nozzles Hydraulic Blade Tension Automatic Chip Conveyor Blade Breakage/Stall Motion Detector Shut off Switch Band Door Interlocks Complimentary DoALL Cutting Fluids Package One DoALL Bi-Metal Saw Blade Instruction and Parts Manuals on CD or USB Data Stick. 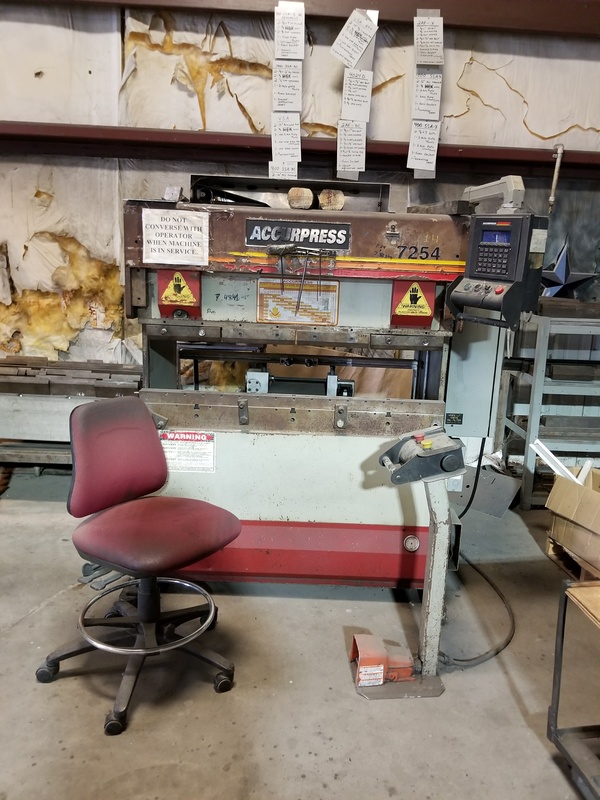 21' X 18 Gage CNC Metal Folding System with the Jorns CNC 400A Controller, Full Backgage and Full Length Foot Treadle Bar and Included Manuals. 31-½” x 39-1/2″ Band Saw with Programmable Logic Controller (PLC) Control for all Electric and Hydraulic Functions Multi-Step Full Stroke Vises with Split front Vise and Variable Vise Pressure Control Spring Loaded Zero Clearance Coolant Through Carbide Faced Saw Guide with Lead-in Rollers Power Driven Coolant Flushed Blade Cleaning Wire Brush Flushing Hose and Auxiliary Coolant Nozzles Hydraulic Blade Tension Automatic Chip Conveyor Blade Breakage/Stall Motion Detector Shut Off Switch Band Door Interlocks Work Light One 6.5 Foot (2 meter) Gravity Conveyor Tool Kit Complimentary DoALL Cutting Fluids Package One DoALL Bi-Metal Saw Blade Instruction and Parts Manuals on CD or USB Data Stick. 43-½” x 43-1/2″ Band Saw with Programmable Logic Controller (PLC) Control for all Electric and Hydraulic Functions Power Driven, Coolant Flushed, Blade Cleaning Wire Brush Flushing Hose and Auxiliary Coolant Nozzles Hydraulic Blade Tensioner Automatic Chip Conveyor Blade Breakage/Stall Motion Detector Shut off Switch Band Door Interlocks Complimentary DoALL Cutting Fluids PackagemOne DoALL Bi-Metal Saw Blade Instruction and Parts Manuals on CD or USB Data Stick. 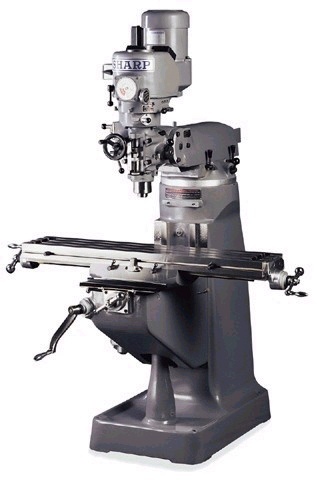 10 Gauge X 12’ CNC Folding System with Manual or Semi-Automatic Mode Degree Adjustment Auto-Stop Foot Pedal 26 Hardened Fingers Industrial-Grade Hydraulics Greasable Joints Filtered Hydraulic System Numerically-Controlled Back Gauge Variable Bending Speed Clamping Pressure Adjustment Electro-Welded Steel Construction Extra-Rigid Base. 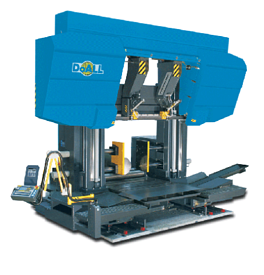 14 Gauge X 18’ CNC Folding System with Adjustable Angle Auto-Stop Foot Pedal 26 Hardened Fingers Fully-Welded Steel Frame and Support Rods. 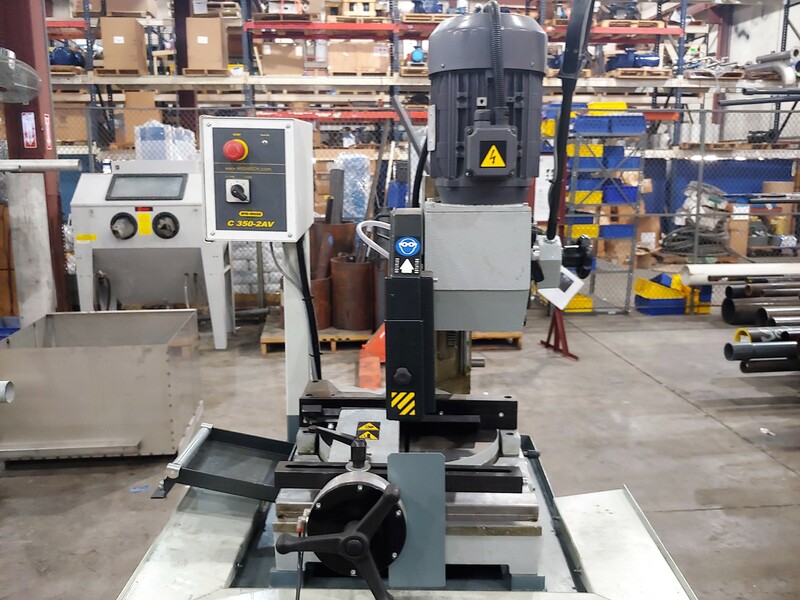 1/4” x 120” Fixed Height Seam Welding System with Miller Maxstar 350 (2) Miller Coolmate 4 Water Circulator Cyclomatic AVC-3 Weld Craft Machine Torch Four Corp Cold Wire Feeder & 6” Actuator. 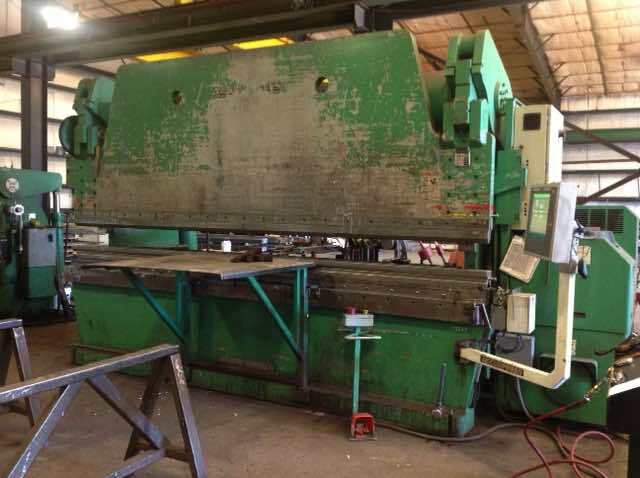 12' x 10 Mechanical Squaring Shear with Front Operated Power Back Gage, 10’ LH Mounted Squaring Arm, Slotted Table, 13 Hydraulic Hold Downs and Material Support Arm. 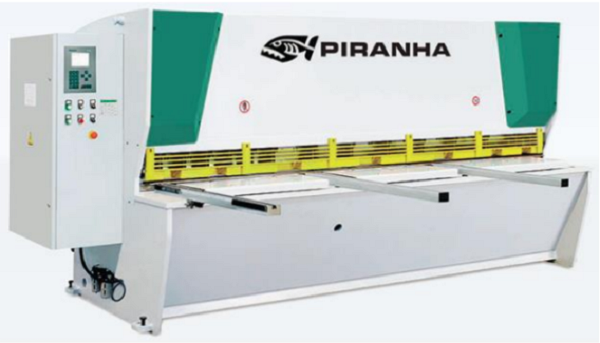 165 Ton X 10’ Hydraulic Press Brake with EasyBEND 2D Control, 2 Movable Front Supports, Optical Safety Guard, 40” X Back Gauge with R Axis, Quick Manual Clamping for European Standard Style Tooling and CNC Crowning. 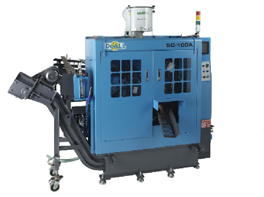 51-1/4” x 67" Band Saw with Programmable Logic Controller (PLC) Control for all Electric and Hydraulic Functions Power Driven, Coolant Flushed, Blade Cleaning Wire Brush Flushing Hose and Auxiliary Coolant Nozzles Hydraulic Blade Tension Automatic Chip Conveyor Blade Breakage/Stall Motion Detector Shut Off Switch Band Door Interlocks One 6.5 foot (2 meter) Gravity Conveyor Tool Kit Complimentary DoALL Cutting Fluids Package One DoALL Bi-Metal Saw Blade Instruction and Parts Manuals on CD or USB Data Stick. 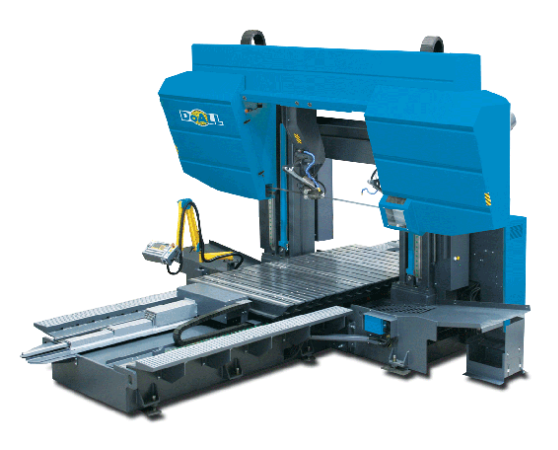 16” x 24" Band Saw with Siemens Saw Control with Touch Screen Automatic Feed Control Automatic Guide Arm Setting Work Light Digital Read out of Cutting Angle Pulley-Driven, Band Brush Feed Rate Indicator Variable Vise Pressure Control - Set of 2 Hydraulic Band Tension Hydraulic Angular Position and Lock Front and Rear Vise Nesting - Set of 2 Mist-Style Saw Band Lubrication Laser Line Generator Safety Covers and 3 Panel Gate Flood Coolant Tool Kit Complimentary DoALL Cutting Fluids Package One DoALL Bi-Metal Saw Blade Instruction and Parts Manuals on CD or USB Data Stick. 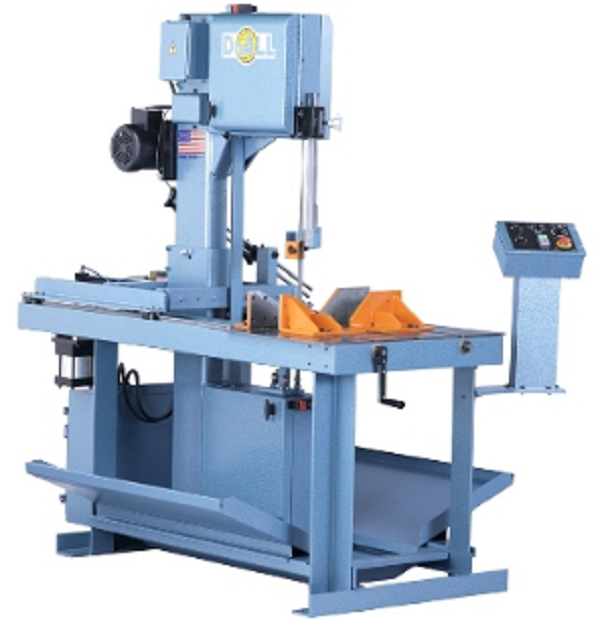 16” x 24" Band Saw with Mitsubishi Saw Control Digital Read Out of Cutting Angles Overfeed Protection Hydraulic Band Tension Pulley-Driven Band Brush Work Light Hydraulic Angular Position and Lock Automatic Guide Arm Setting Input and Output Supporting Feed Cylinders Feed Rate Indicator Variable Vise Pressure Control Hydraulic Rear Vise Nesting Laser Line Generator Mist-Style Saw Band Lubrication Safety Covers Flood Coolant Tool Kit Complimentary DoALL Cutting Fluids Package One DoALL Bi-Metal Saw Blade Instruction and Parts Manuals on CD or USB Data Stick. 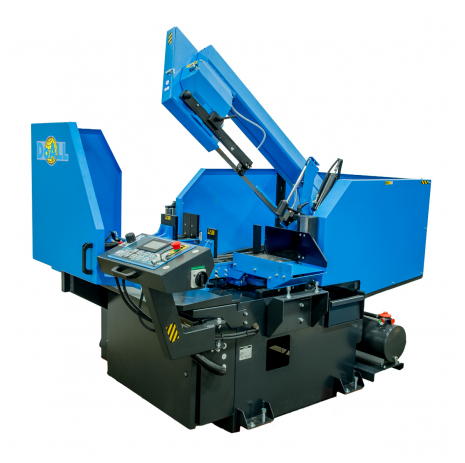 19” x 30" Band Saw with Siemens Saw Control with Touch Display Variable Frequency Drive Digital Read Out of Cutting Angle Work Light Hydraulic Band Tension Feed Rate Indicator Automatic Feed Control Automatic Guide Arm Setting Pulley-Driven Band Brush Variable Vise Pressure Control - Set of 2 Dual Acting Index Vice Jaws for Crooked Stock Hydraulic Angular Position and Lock Support Cylinders on Input Conveyor Front Safety Covers Flood Coolant Tool Kit Complimentary DoALL Cutting Fluids Package One DoALL Bi-Metal Saw Blade Instruction and Parts Manuals on CD or USB Data Stick. 19” x 30" Band Saw with Mitsubishi Saw Control Variable Frequency Drive Variable Vise Pressure Control Digital Read Out of Cutting Angle Work Light Laser Line Generator Hydraulic Angular Rotation (Position and Lock) Automatic Retraction of Material in Cycle for Protection of the Band Saw Blade Feed Rate Indicator - in/min or mm/min Overfeed Protection Automatic Guide Arm Setting Pulley-Driven Band Brush Feed Support Cylinders on Input and Output Conveyors Hydraulic Band Tension Safety Gate and Covers Flood Coolant Tool Kit Complimentary DoALL Cutting Fluids PackageOne DoALL Bi-Metal Saw Blade Instruction and Parts Manuals on CD or USB Data Stick. 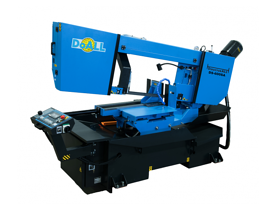 8” x 11" Band Saw with 2-Speed Gear Box Flood Coolant Blade-Driven Band Brush 3.3 ft (1M) Manual Set Work Stop Tool Kit Complimentary DoALL Cutting Fluids Package One (1) DoALL Bi-Metal Saw Blade Instruction and Parts Manuals on CD or USB Data Stick. 11-3/4” x 12-1/2" Band Saw with Gear Box - Two Speed Work Stop Directly Mounted - 3.3 ft (1000mm) Blade-Driven Band Brush Work Light Flood Coolant Tool Kit Complimentary DoALL Cutting Fluids Package One (1) DoALL Bi-Metal Saw Blade Instruction and Parts Manuals on CD or USB Data Stick. 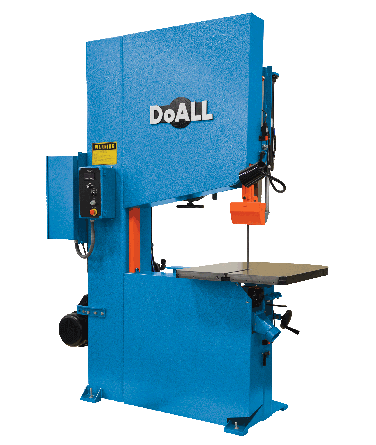 11-3/4” x 12-1/2" Band Saw with Mitsubishi Saw Control Overfeed Protection Blade-Driven Band Brush 3.3 ft (1000mm) Work Stop Directly Mounted Work Height Sensor Variable Frequency Drive Work Light Flood Coolant Tool Kit Complimentary DoALL Cutting Fluids Package One DoALL Bi-Metal Saw Blade Instruction and parts manuals on CD or USB data stick. ¼” X 10’ Mechanical Power Squaring Shear with 36" Front Operated Power Back Gauge, LH Squaring Arm with 2 Flip Stops, (2) 35" Front Support Arms w/Disappearing Finger Stops, Kipp Lube System, Light Beam Shearing (led), Remote Foot Pedal, Rubber No-mark Pads for Hold Downs, Air Actuated Clutch, All Manuals and Maintenance Records. 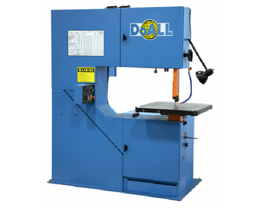 14” x 20" Band Saw with Mitsubishi Saw Control Variable Frequency Drive Pulley-Driven Band Brush Overfeed Protection Digital Read Out of Cutting Angle Hydraulic Band Tension Work Light Mist-Style Band Lubrication Variable Vise Pressure Control Flood Coolant Tool Kit Complimentary DoALL Cutting Fluids Package One (1) Complimentary DoALL Bi-Metal Saw Blade Operations and Parts Manuals on CD or USB Data Stick. 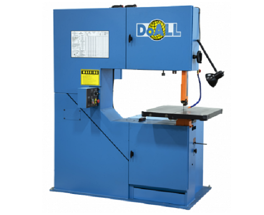 18” x 23-1/2" Band Saw with Mitsubishi Saw Control Variable Frequency Drive Pulley-Driven Band Brush Overfeed Protection Digital Read Out of Cutting Angle Hydraulic Band Tension Work Light Mist-Style Band Lubrication Variable Vise Pressure Control Flood Coolant Tool Kit Complimentary DoALL Cutting Fluids Package One (1) Complimentary DoALL Bi-Metal Saw Blade Operations and Parts Manuals on CD or USB Data Stick. 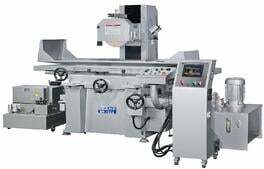 12” x 12" Band Saw with Siemens Saw Control with Touch Screen Display Hydraulic Band Tension Work Light Power-Driven Band Brush Automatic Guide Arm Setting Work Height Sensor Automatic Feed Control with Programmable Feed Rates Variable Vise Pressure Control - Set of 2 Worm Chip Conveyor Discharge Chute Automatic Retraction of Material in Cycle for Protection of Carbide Blades Flood Coolant Tool Kit Complimentary DoALL Cutting Fluids Package One DoALL Bi-Metal Saw Blade Instruction and Parts Manuals on CD or USB Data Stick. 16” x 16" Band Saw with Siemens Saw Control with Touch Screen Display Work Light Work Height Sensor Power-Driven Band Brush Hydraulic Band Tension Worm Chip Conveyor Automatic Guide Arm Setting Automatic Feed Control with Programmable Feed Rates Variable Vise Pressure Control - Set of 2 Automatic Retraction of Material in Cycle for Protection of Carbide Blades Dual Acting Index Vice Jaws for Crooked Stock Flood Coolant Tool Kit Complimentary DoALL Cutting Fluids Package One DoALL Bi-Metal Saw Blade Instruction and Parts Manuals on CD or USB Data Stick. 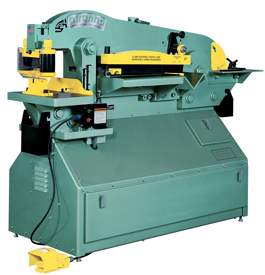 20” x 20" Band Saw with Siemens Saw Control with Touch Screen Display Ball Screw Feed Work Light Work Height Sensor Power-Driven Band Brush Hydraulic Band Tension Worm Chip Conveyor Automatic Feed Control with Programmable Feed Rates Automatic Guide Arm Setting Variable Vise Pressure Control - Set of 2 Automatic Retraction of Material in Cycle for Protection of Carbide Blades Dual Acting Index Vice Jaws for Crooked Stock Flood Coolant Tool Kit Complimentary DoALL Cutting Fluids Package One DoALL Bi-Metal Saw Blade Instruction and Parts Manuals on CD or USB Data Stick. 28” x 30" Band Saw with Siemens Saw Control with Touch Screen Display Work Light Hydraulic Band Tension Automatic Guide Arm Setting Automatic Feed Control with Programmable Feed Rates Variable Vise Pressure Control - Set of 2 Power-Driven Band Brush Chain Chip Conveyor with Large Pan Automatic Retraction of Material in Cycle for Protection of Carbide Blades Dual Acting Index Vice Jaws for Crooked Stock Retractable Stationary Machine Vice Jaw Flood Coolant Tool Kit Complimentary DoALL Cutting Fluids Package One (1) DoALL Bi-Metal Saw Blade Instruction and Parts Manuals on CD or USB Data Stick. 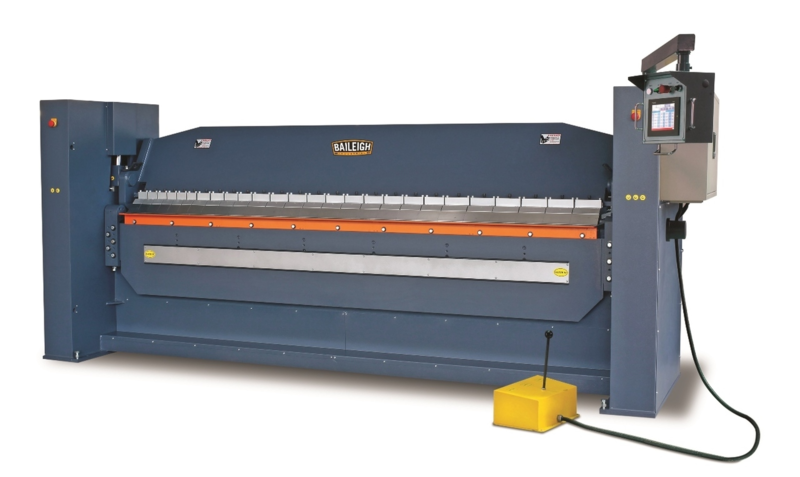 33.5” x 40" Table Saw with Mahler Saw Control Material Clamp on Moving Work Table Work Light Hydraulic Band Tension Automatic Feed Control with Programmable Feed Rates Power-Driven Band Brush Chain Chip Conveyor with Large Pan Tool Kit Complimentary DoALL Cutting Fluids Package One (1) DoALL Bi-Metal Saw Blade Instruction and Parts Manuals on CD or USB Data Stick. 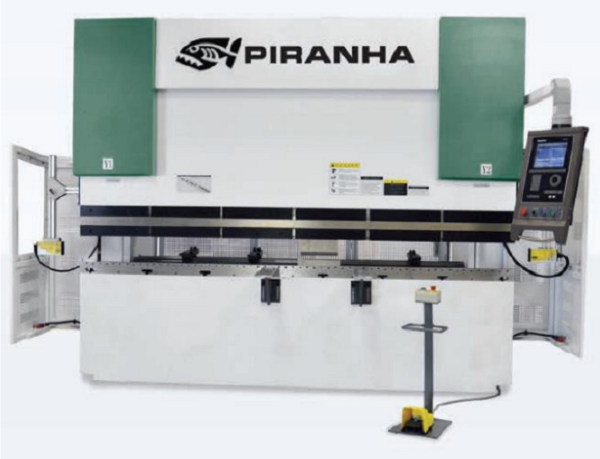 33.5” x 40" Band Saw with Siemens Saw Control with Touch Screen Display Work Light Hydraulic Band Tension Work Height Sensor Automatic Guide Arm Setting Automatic Feed Control with Programmable Feed Rates Tool Kit Complimentary DoALL Cutting Fluids Package One DoALL Bi-Metal Saw Blade Instruction and Parts Manuals on CD or USB Data Stick. 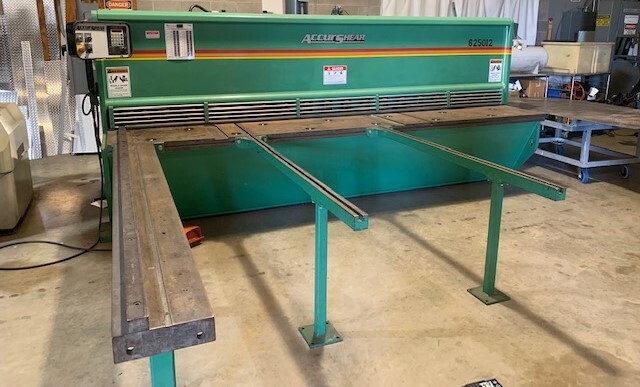 47.25” x 63" Table Saw with Mahler Saw Control Material Clamp on Moving Work Table Work Light Hydraulic Band Tension Automatic Feed Control with Programmable Feed Rates Power-Driven Band Brush Chain Chip Conveyor with Large Pan Tool Kit Complimentary DoALL Cutting Fluids Package One (1) DoALL Bi-Metal Saw Blade Instruction and Parts Manuals on CD or USB Data Stick. 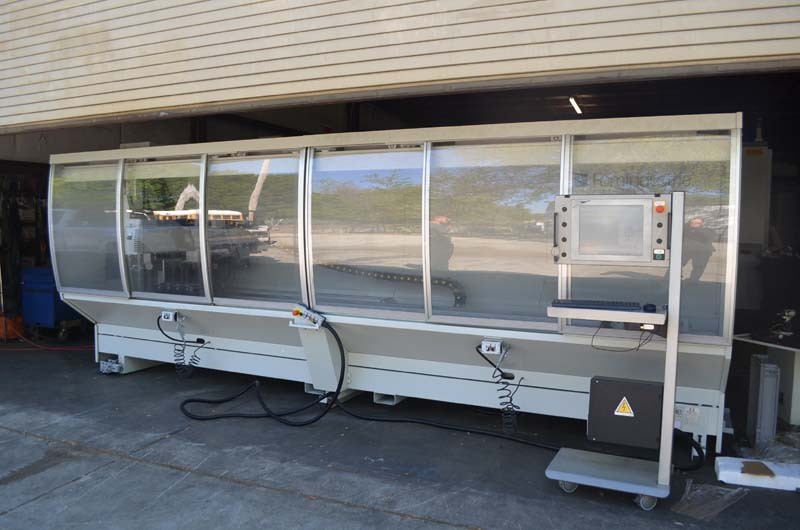 35.4″ x 23.6″ x 11.8″ Travels CNC Submerged Wire EDM with Windows Based PC Control by Accutex Filter System, Automatic Wire Threader, Fagor Linear Glass Scales with 0.00008” Resolution Dielectric Chiller Unit. 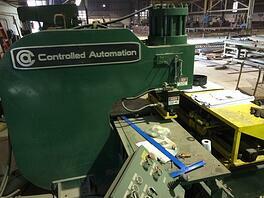 50" X 50" CNC Turret Punch with Bosch CNC Controls Max. 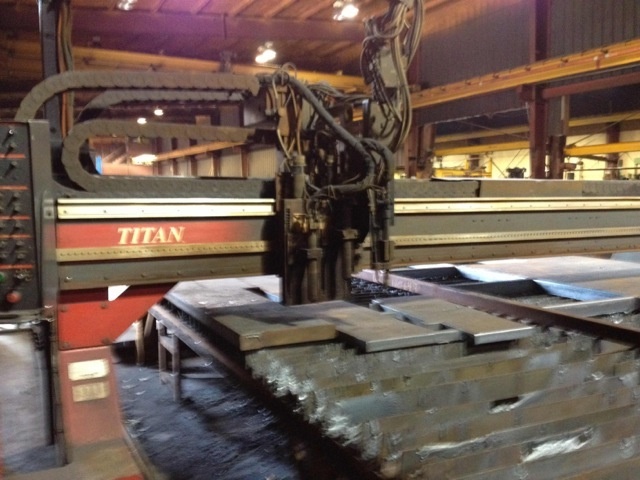 Sheet Thickness .250" 20 Ton Tools 9 Bi-Direc Max. 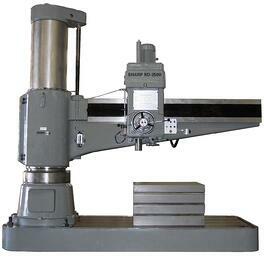 Punch Diameter 3". 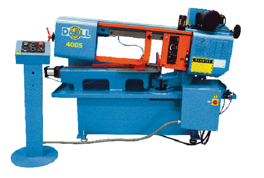 47” x 55" Band Saw with Siemens Saw Control Work Light Hydraulic Band Tension Automatic Guide Arm Setting Automatic Feed Control with Programmable Feed Rates Variable Vise Pressure Control - Set of 2 Power-Driven Band Brush Complimentary DoALL Cutting Fluids Package One (1) DoALL Bi-Metal Saw Blade Instruction and Parts Manuals on CD or USB Data Stick. 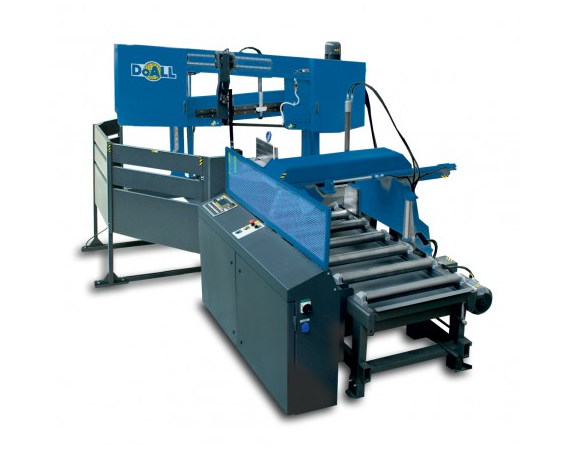 49.25” x 63" Portal Saw with Mahler Saw Control Work Light Hydraulic Band Tension Automatic Feed Control with Programmable Feed Rates Power-Driven Band Brush Chain Chip Conveyor with Large Pan Tool Kit Complimentary DoALL Cutting Fluids Package One (1) DoALL Bi-Metal Saw Blade Instruction and Parts Manuals on CD or USB Data Stick. 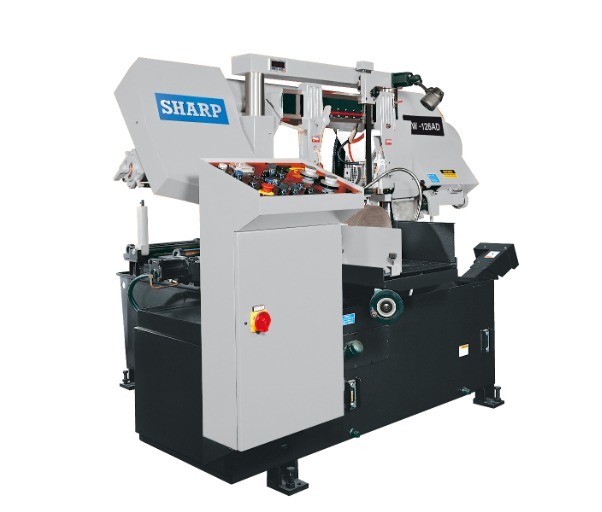 24.5” x 21.5" Tube Band Saw with Siemens Control with Touch Screen Display Smart Programming to Automatically Select Cutting Parameters Based on Material Size and Type Automatic Material Feed Situated Close to Saw Blade Automatic Feed Control with Programmable Feed Rates Work Light Worm Chip Conveyor for Long Chips Including Chip Pan Variable Vise Pressure Control - Set of 2 Dual Acting Index Vise Jaws for Crooked Stock Hydraulic Band Tension Automatic Feed of Material Into Cutting Zone Retractable Stationary Machine Vice Jaw Complimentary DoALL Cutting Fluids Package One (1) DoALL Bi-Metal Saw Blade Instruction and Parts Manuals on CD or USB Data Stick. 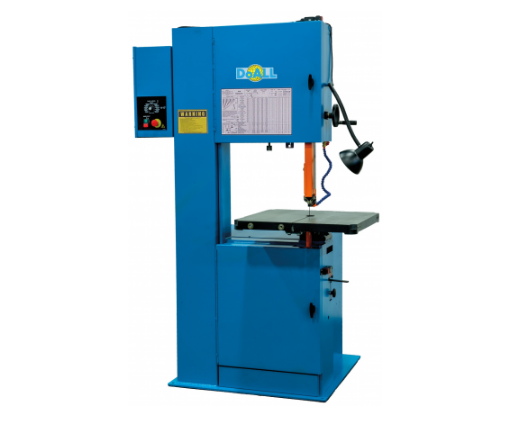 16” x 16" Tube Band Saw with Saw-Micro Saw Control Variable Frequency Drive Work Light Pulley-Driven Band Brush Automatic Guide Arm Setting Work Height Sensor Overfeed Protection Variable Vise Pressure Control Discharge Chute Hydraulic Band Tension Worm Chip Conveyor Flood Coolant Tool Kit Complimentary DoALL Cutting Fluids Package One DoALL Bi-Metal Saw Blade Instruction and Parts Manuals on CD or USB Data Stick. 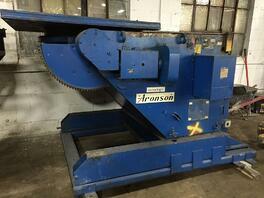 16” x 16" Tube Band Saw with Mitsubishi Saw Control Variable Frequency Drive Work Light Pulley-Driven Band Brush Automatic Guide Arm Setting Work Height Sensor Overfeed Protection Variable Vise Pressure Control Discharge Chute Hydraulic Band Tension Worm Chip Conveyor Flood Coolant Tool Kit Complimentary DoALL Cutting Fluids Package One DoALL Bi-Metal Saw Blade Instruction and Parts Manuals on CD or USB Data Stick. 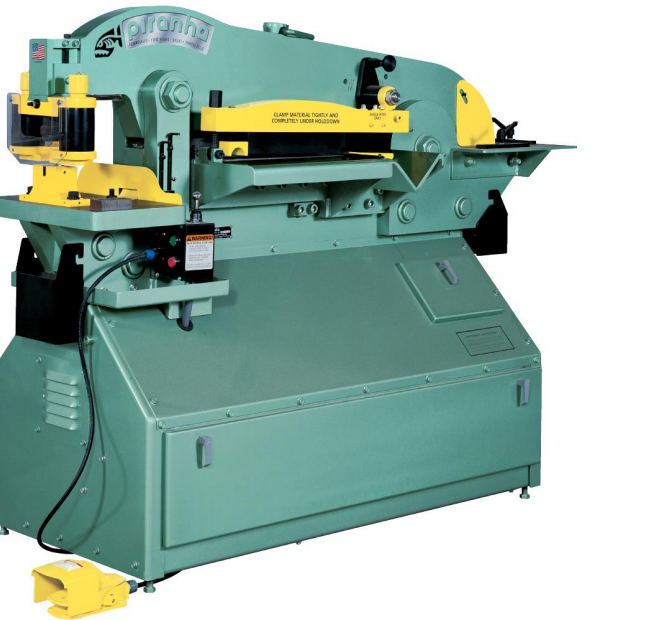 20” x 24" Band Saw with Siemens Control with Touch Display Screen Hydraulic Band Tension Automatic Feed Control Flood Coolant Work Light Power-Driven Band Brush Variable Vise Pressure Control - Set of 2 Operation and Parts Manuals on CD or USB Data Stick Dual Acting Index Vise Jaws for Crooked Stock Tool Kit Automatic Retraction of Material in Cycle for Protection of Carbide Blade Complimentary DoALL Cutting Fluids Package One (1) Complimentary DoALL Bi-Metal Saw Blade. 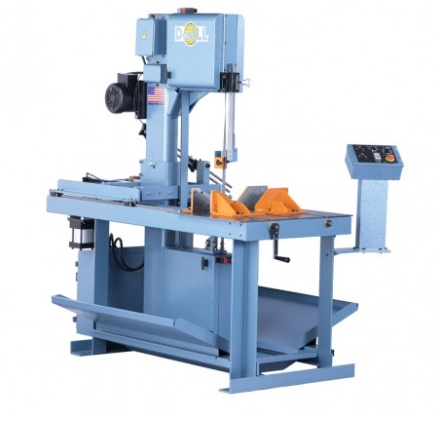 20” x 24" Band Saw with Mitsubishi Saw Control Work Light Automatic Feed Control Hydraulic Band Tension Variable Vise Pressure Control Power-Driven Band Brush Mist-Style Saw Band Lubrication Hydraulic Clamping Discharge Vise Hydraulic Rear Vise Nesting. 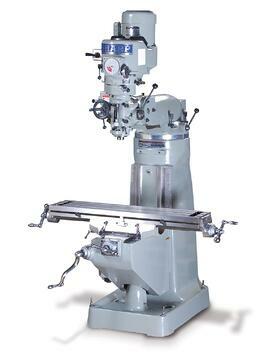 14″ x 18″ Band Saw with Manual Control Console Unitized Frame Made from Arc-Welded Steel Manual Adjustment Post Raise Assembly Powered Band Brush Band Mist Lubricator Manual Band Tension Vise Crank Handle Large Chip Collection Chutes Moving Front Vise Jaw Band Door Interlocks Spring-Loaded, Carbide Faced Saw Guide Inserts Fixed Back Vise Jaws Complimentary Coolant Package Instruction and Parts Manuals on CD or USB Data Stick One DoALL Bi-Metal Saw Blade. 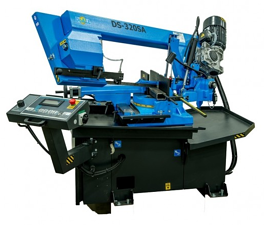 36″ x 15″ Band Saw with Job Selector Dust Spout for Exhaust Connection Spark Guard Roller Bearing Tapered Spindles Band Speed Indicator Wrench for Saw Guides Band Tension Indicator One Complimentary DoALL Friction Saw Blade Instruction and Parts Manuals on CD or USB Data Stick. 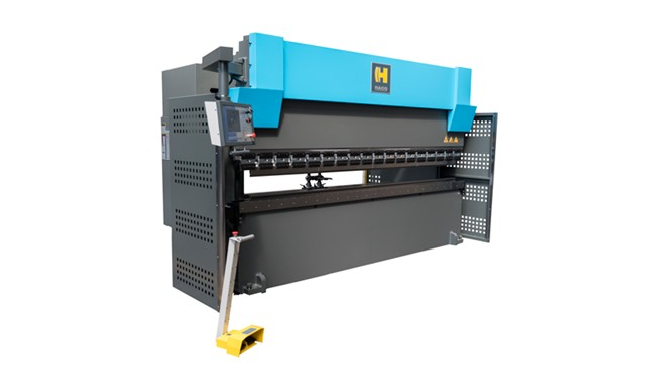 38” x 40" Band Saw with Siemens Saw Control with Touch Screen Display Work Light Power-Driven Band Brush Automatic Feed Control with Programmable Feed Rates Hydraulic Band Tension Dual Acting Index Vice Jaws for Crooked Stock Flood Coolant Tool Kit. 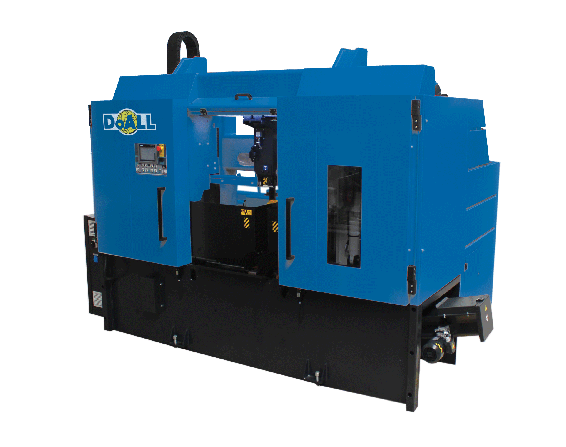 11-¾” x 12-½” Band Saw with Mitsubishi Saw Control Overfeed Protection Blade-Driven Band Brush 3.3’ Work Stop Directly Mounted Work Height Sensor Variable Frequency Drive Work Light Flood Coolant Tool Kit Complimentary DoALL Cutting Fluids Package. 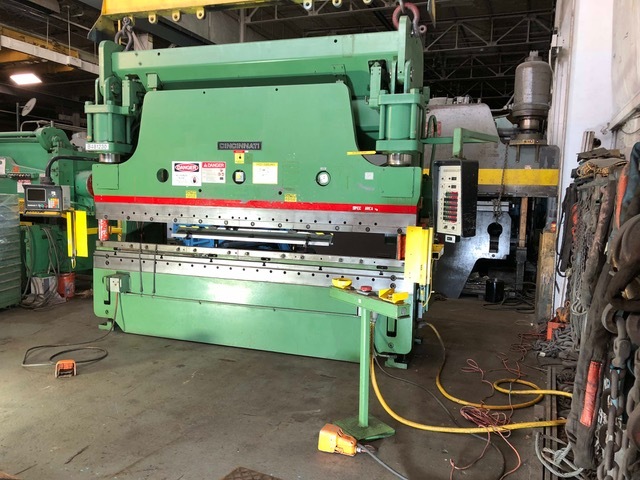 325 Ton X 12' Hydraulic Press Brake with Hurco Autobend AB7 3 Axis Back Gauge (X, Y, R) Sectional Ram Clamps, Electric Foot Switch / Palm Button Station and Dual Front Supports. 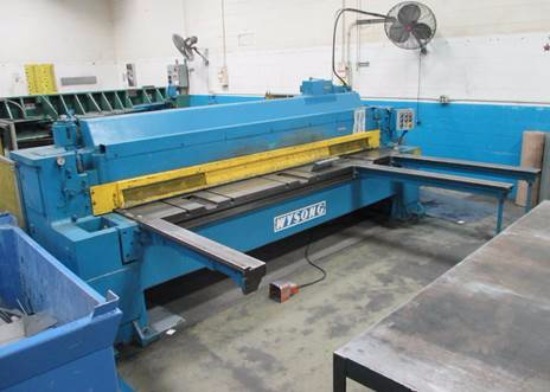 38” x 40″ Band Saw with Mitsubishi Saw Control Work light Power-Driven Band Brush Automatic Feed Control with Programmable Feed Rates Hydraulic Band Tension Variable Vise Pressure Control Flood Coolant Tool Kit Complimentary DoALL Cutting Fluids Package One DoALL Bi-Metal Saw Blade Instruction and Parts Manuals on CD or USB Data Stick. 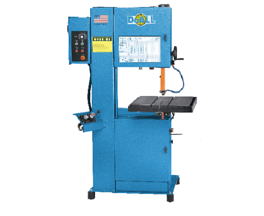 11.75" x 12.5" Band Saw with Mitsubishi Saw Control, Variable Frequency Drive, Overfeed Protection, Work Height Sensor, Discharge Chute, Pulley-Driven Band Brush, Work Light, Flood Coolant, Tool Kit, Complimentary DoALL Cutting Fluids Package, One (1) DoALL Bi-Metal Saw Blade, Instruction and Parts Manuals on CD or USB Data Stick. 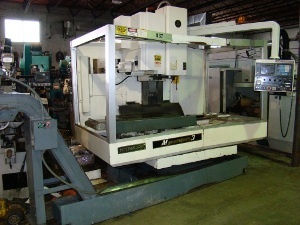 14” x 20" Band Saw with Mitsubishi Saw Control Flood Coolant Over Feed Protection Operations and Parts Manuals on CD or USB Data Stick Variable Frequency Drive Tool Kit Digital Read Out of Cutting Angle Complementary DoALL Cutting Fluids Package Pulley-Driven Band Brush One (1) Complimentary DoALL Bi-Metal Saw Blade Work Height Sensor Work Light. 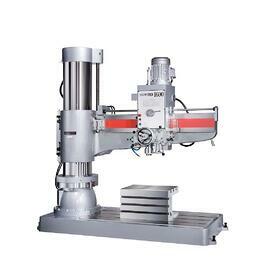 0.3-2.36" Circular Saw with Floating Shuttle Device Hydraulic Sorting Chute Electromagnetic Power Brake Automatic Chip Conveyor Powered Band Brush Air Blow Device for Tube Cutting Automatic Loading Table for Round Bar Oil Mist Filter Variable Vise Pressure Control Air Compressor. 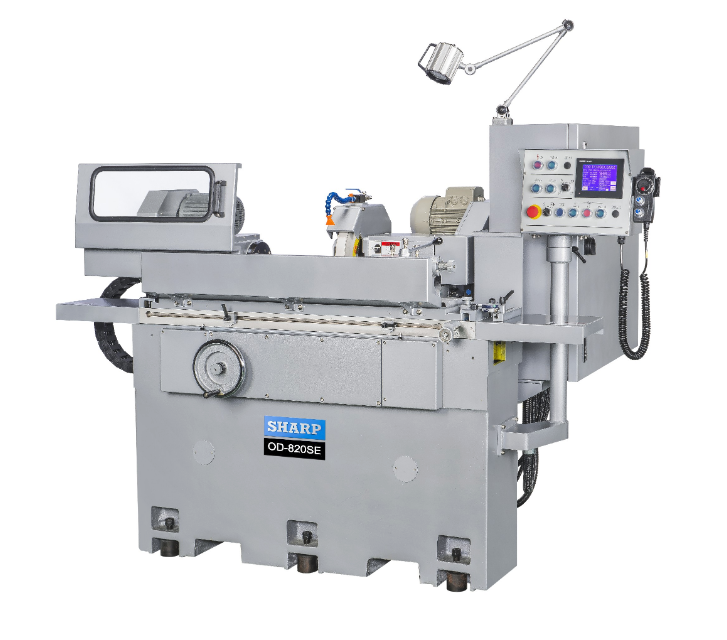 0.39" x 3.15" Circular Saw with PLC Control for All Electric and Hydraulic Functions Easy Conversational HMI Infinitely Variable Blade Speed Controlled by Inverter Hydraulic Front & Vertical Vises Floating Shuttle Device Hydraulic Sorting Chute Electromagnetic Power Brake Automatic Chip Conveyor Powered Band Brush. 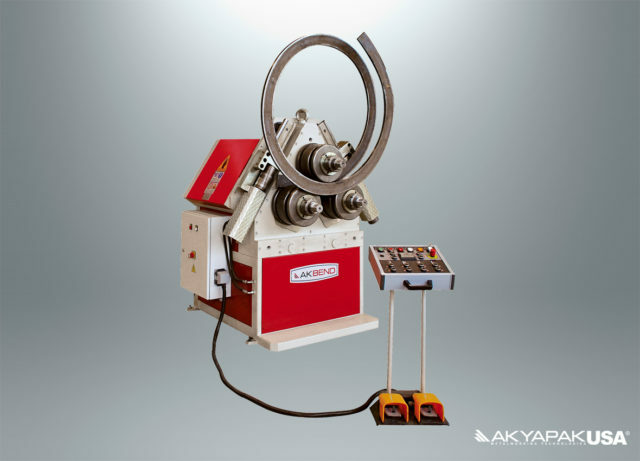 2.6-4” x 2.6-4" Circular Saw with Hydraulic Front & Vertical Vises Floating Shuttle Device Hydraulic Sorting Chute Electro-Magnetic Power Brake Automatic Chip Conveyor Powered Band Brush Air blow Device for Tube Cutting Oil Mist Filter Variable Vise Pressure Control Air Compressor. 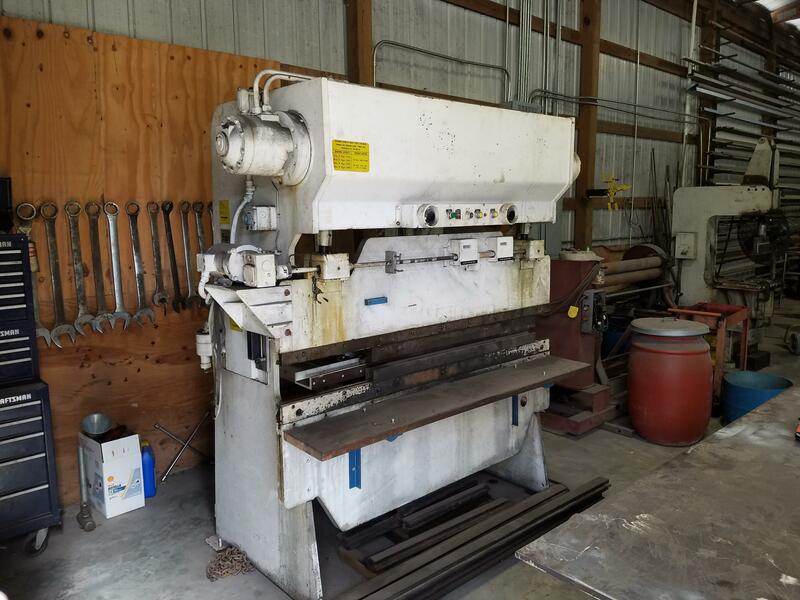 14” X 18” Tilt Frame Saw with Powered Band Brush Band Mist Lubricator Manual Band Tension Vise Crank Handle Large Chip Collection Chutes Moving Front Vise Jaw Band door interlocks Spring-loaded, Carbide Faced Saw Guide Inserts Fixed Back Vise Jaws Complimentary coolant package. 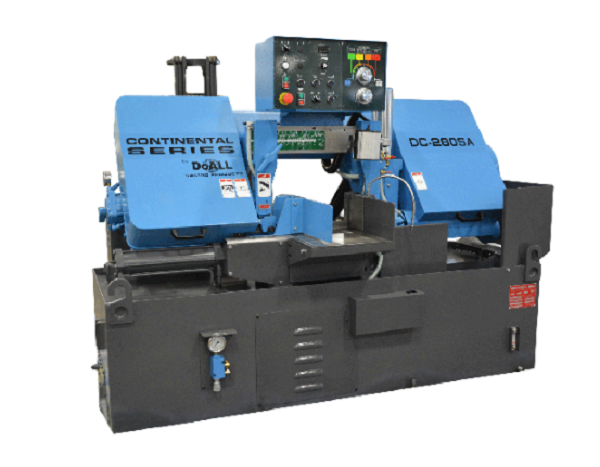 36″ x 15″ Vertical Contour Band Saw with Blade Welder Secondary Table Disk Cutting Attachment DoALL type III Super Saw Guides for Heavy-Duty and High-Speed Sawing Chip Blower Band Lubricator Rip Fence Work Light Set of Double Row Heavy-Duty Ball Bearing Saw Guides w/rollers for 1" Wide Band. 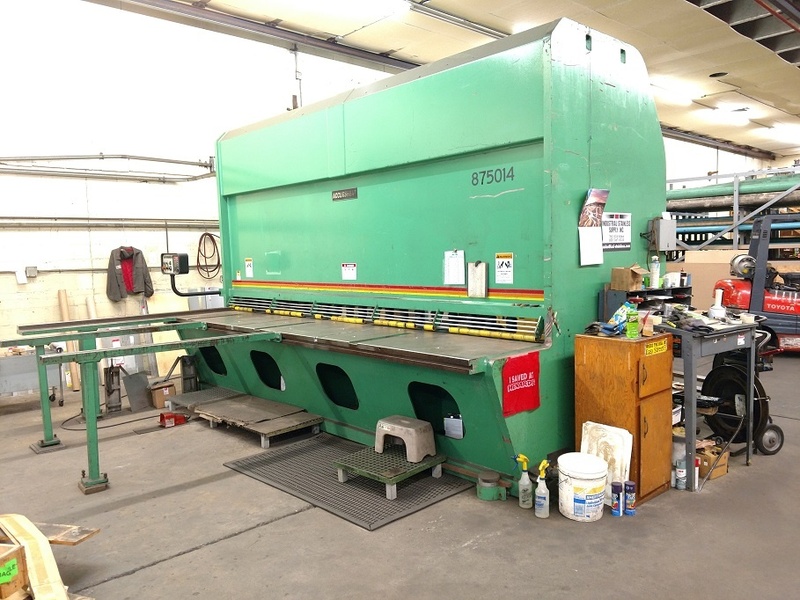 230 Ton X 12’ Hydraulic Press Brake with the Hurco 2-Axis Autobend 7 Controller and Backgauge, Electric Foot Switch, Palm Button Station, Manuals, Interlocked Construction, Clevis Mounted Self Aligning Cylinders & Light Curtains. 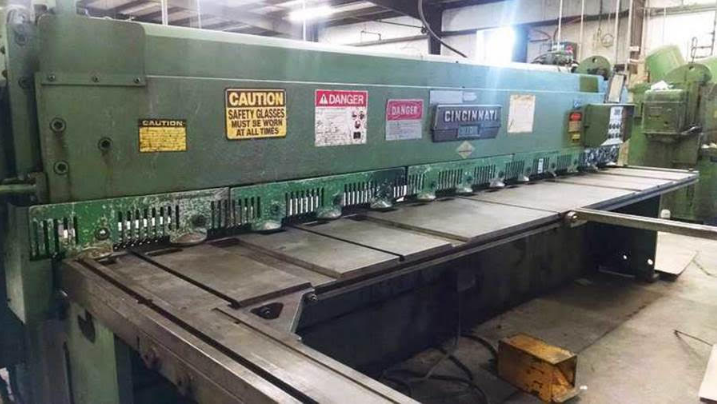 120 Ton Dual Operator Ironworker with the Semi-Paxy CNC Punching Option utilizing the Geka Pro PC Controller, 16"x 40" Table, Dual Operator Workstations, Angle, Bar, Flat And Round Shearing Stations with Manual Backgage. 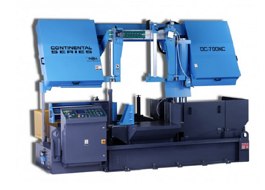 110 Ton Hydraulic Ironworker with Complete Punching Attachment with split dovetail mounting 5 Punch and Die sets Automatic Urethane Hold Down on the Punch Stripper and on Angle Plate and Bar Shear. 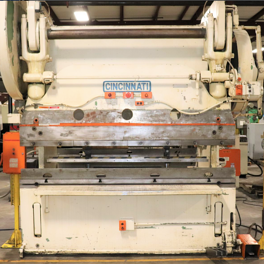 90 Ton Hydraulic Ironworker with Complete Punching Attachment with split dovetail mounting 5 Punch and Die sets Automatic Urethane Hold Down on the Punch Stripper and on Angle Plate and Bar Shear. 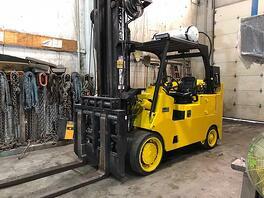 24,000 LBS Capacity Forklift with Cushion Tires, Dual LED Headlamps, Two Stage Mast, GM Vortec V6 LP Gas Engine, Side Shift, Fork Positioner, 60” Coil Forks, Duplex Mast and 100 LB LP Tank. 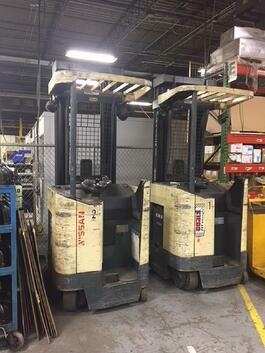 3500 LB Capacity Narrow Aisle Interior Use Electric Forklift with Cushion Tires, Dual Headlamps, Side Shift, Fork Extension with Non-Marking Wheels. 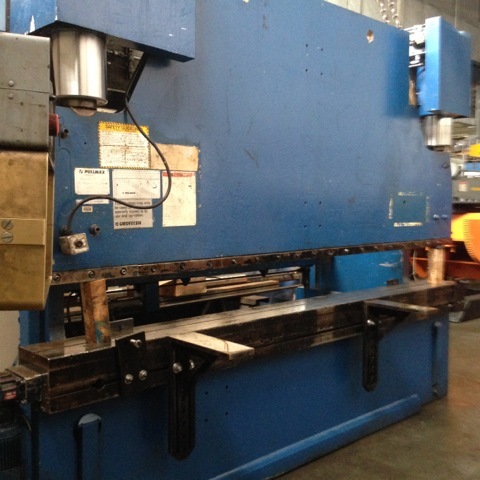 660 TON X 20' CNC Hydraulic Press Brake with Delem DA-66T CNC Controller, American Style Heavy Duty Tooling, Infinitely Variable Ram Speeds, 40” CNC Back Gauge, Rigid Deep Section Bed and Ram 4 Z Axis Gliding Fingers, Portable Tandem Footswitch Controls with Safety Guards, Full Tonnage Through Entire Stroke, Die Alignment Adjusters All Steel, Welded & Interlocked Construction, Pendant Controls with 2 Hand Pedestal Station with Key Lock Functions Hoerbiger Hydraulics Servo Valve system, Siemens Electrics Bed Crowning CNC Controlled, T Slots Front & Rear or Bed Rear with IR Safety Barrier, Side Guards Front Support Arms with Flip Stops (4) and Safety Light Curtains. 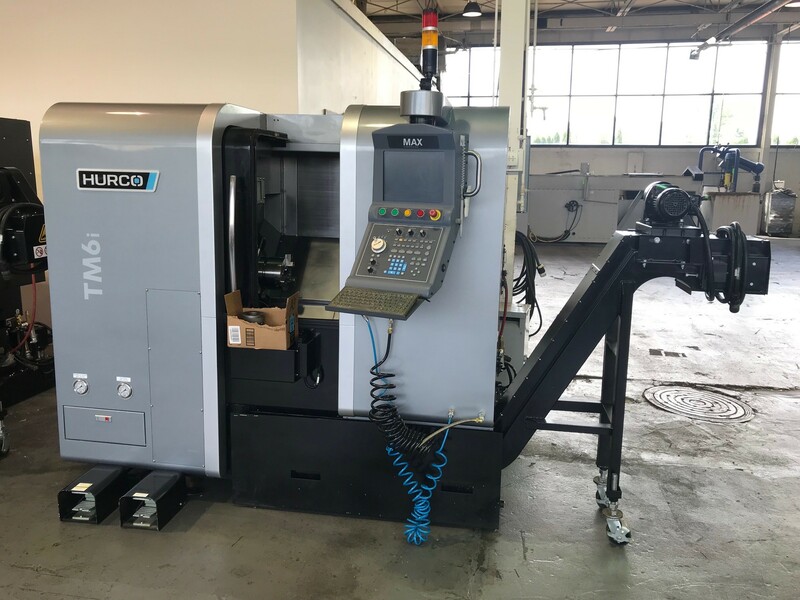 12’ x 13.4 Capacity CNC Turning Center with Hurco WinMax Single Screen Control, 6” 3 Jaw Hydraulic Chuck with Hardened Jaws, Hydraulic Collet Chuck, DXF File Transfer Software, Ultimonitor, Rigid Tapping, Renishaw Presetter, Tail-stock Live Center, Air and Coolant Guns, Parts Catcher, Chip Conveyor, Recirculating Coolant, USB ports, RJ45 port, Approximately 400 Hours on the Machine! 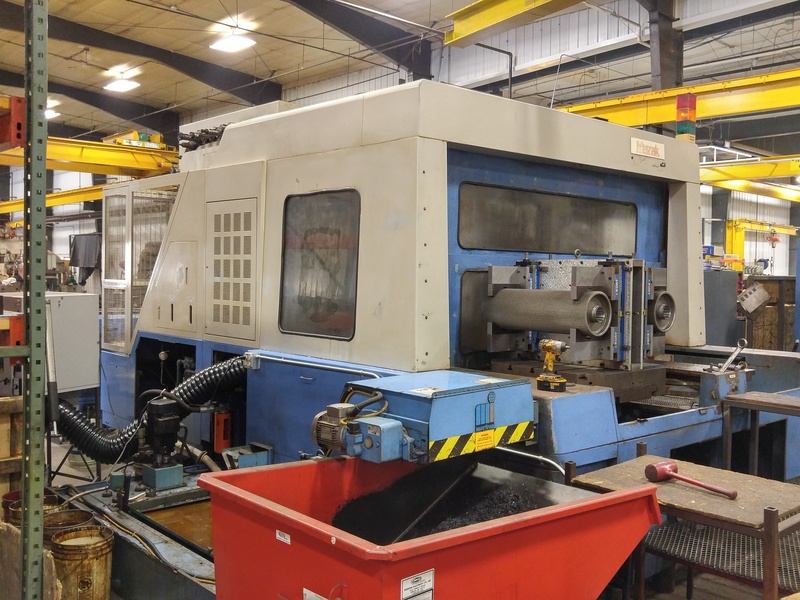 12’ x 13.4 Capacity CNC Turning Center with Hurco WinMax Single Screen Control, HB65-1.2 Bar Feeder with Siemens Control, Pendant Control, 1/4” - 2.5” Bar Diameter, 47.2” Max Bar Length, 6” 3 Jaw Hydraulic Chuck with Hardened Jaws, Hydraulic Collet Chuck, DXF File Transfer Software, Ultimonitor, Rigid Tapping, Renishaw Presetter, Tailstock Live Center, Air and Coolant Guns, Parts Catcher, Chip Conveyor, Recirculating Coolant, USB ports, RJ45 port, Approximately 400 hours on the machine! 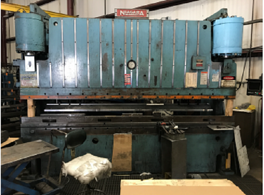 65 Ton Hydraulic Ironworker with Complete Punching Attachment with split dovetail mounting 5 Punch and Die sets Automatic Urethane Hold Down on the Punch Stripper and on Angle Plate and Bar Shear. 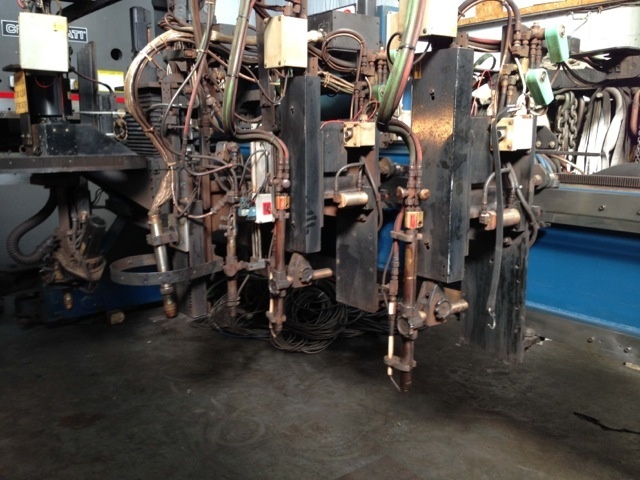 50 Ton Hydraulic Ironworker with Punch Station Angle Shear Flat Shear Station Coper-Notcher Station Urethane Stripper Assembly Hold Down Assembly Electric Foot Switch Electric Limit Switches. 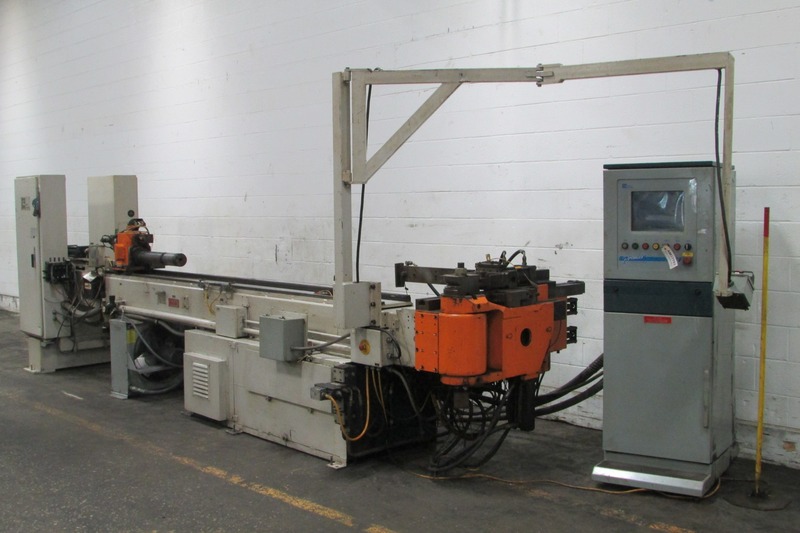 1.65” Diameter x .098” Wall Thickness CNC Tube Bending System with BLM FNC 2000R Controller, 24 HP Motor Plus and 2 Crates of Tooling. 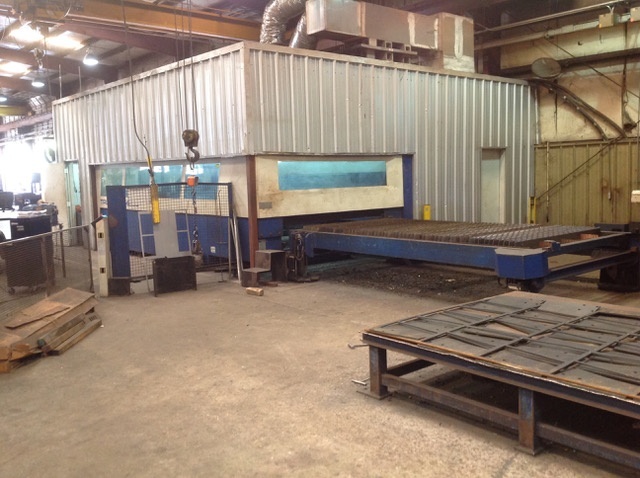 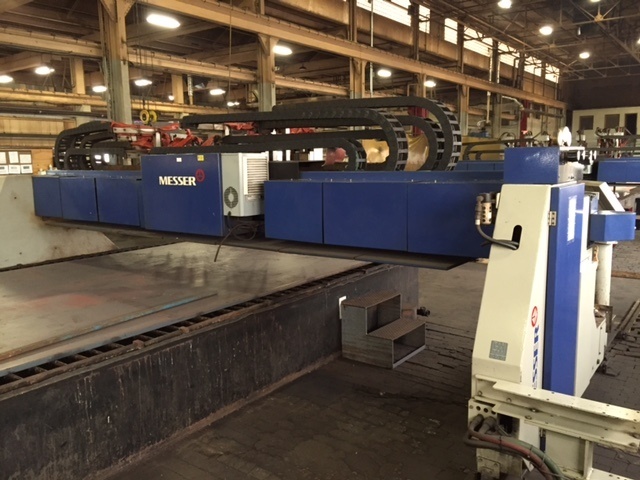 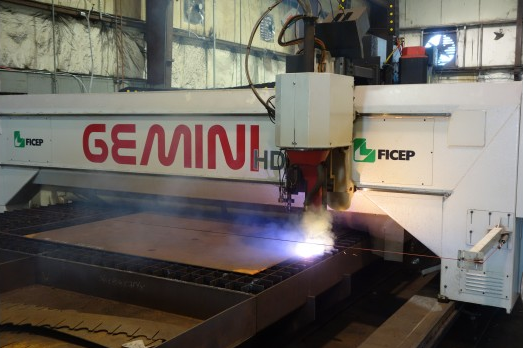 10’ x 32’ 130 AMP Hypertherm HPR130 Plasma Cutting System with User Friendly MultiCam Controller Automatic Zone System Downdraft Table Auto Torch Height Sensing with Crash Protection Capable of Carrying Several Different Process’ Such as: Ox-fuel, Plasma, Hy Definition Plasma, Scribe, Drill & Electrospindle. 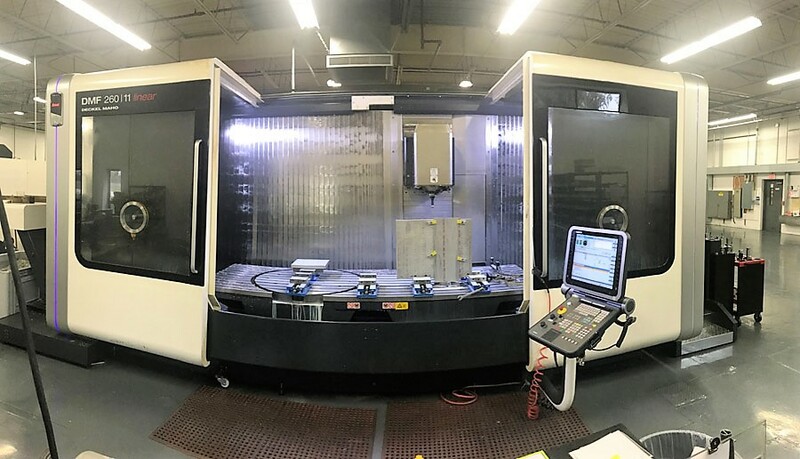 64” x 32” x 32” Travels CNC Vertical Machining Center with Fanuc OM-C Control, Full Contouring 4-Axis Rotary Table with Center, 24 ATC, Cat 40, 7500 RPM Spindle, 25 HP, ZF Gearbox, Box Ways, Spindle Chiller. 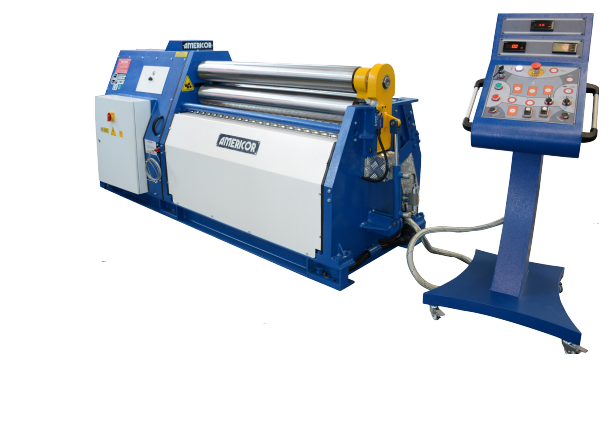 Refurbed in 2014. 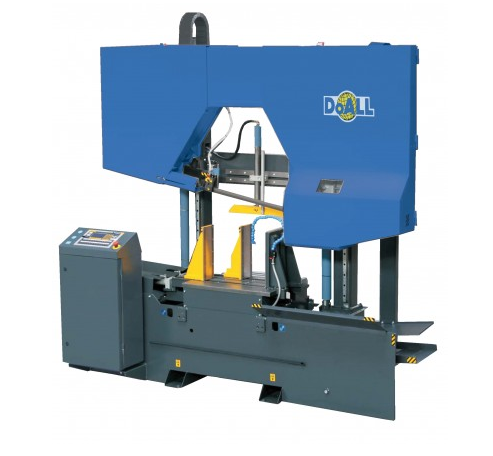 5' x 12Ga Mild Steel Capacity Four Roll Double-Pinch Type with Guided Linear Bending Roll Adjustment Hydraulic Roll Adjustment for Bending and Pre-bending Operation Hydraulic Pinch/Clamping Roll Hydraulic Drop-End Digital Readout for Bending Rolls Positions Cone Bending Attachment Induction-Hardened Rolls. 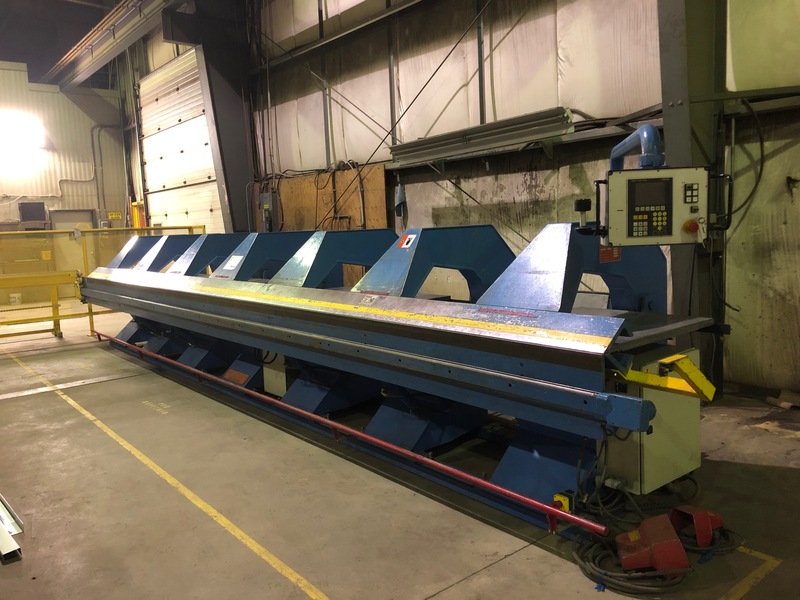 5' x 10 GA 4-Roll Double-Pinch Type with Guided Linear Bending Roll Adjustment Digital Readout for Bending Rolls Positions Cone Bending Attachment Induction-Hardened Rolls Included. 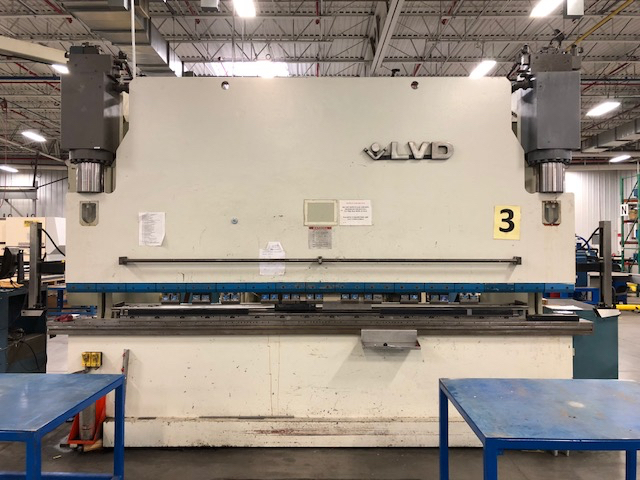 550 Ton x 14’ 11” CNC Hydraulic Press Brake with Cybelec Modeva 10S Multi-Axis CNC Control, VDT II CNC Controlled Die, Programmable Crowning, Dual Programmable Sheet Supports and 3-Axis CNC Back gauge with E300 Controller. 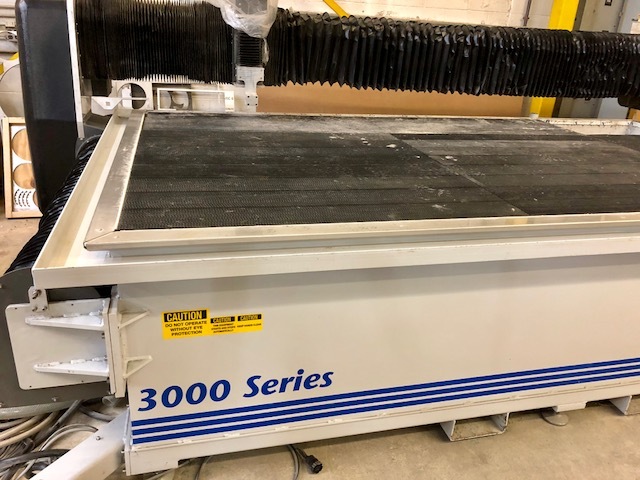 6’ x 12’ Capacity Waterjet Cutting System with Omax PC Based Controller, Intelli-MAX Software, Omax Enduromax P5060V, 50HP 60K PSI Pump, Variable Speed Solids Removal System, Programmable Motorized Z-Axis, 700 Lb Abrasive Bulk Hopper and Less Than 300 Hours! 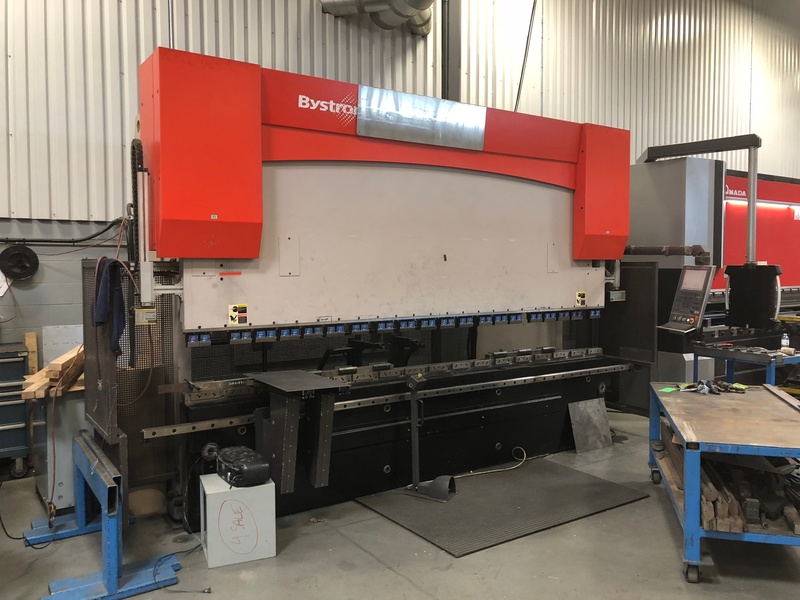 250 Ton X 12’ CNC Hydraulic Press Brake with the Cybelec Touch 8 CNC Controller with 3 Axis Programmability (X, Y1/Y2), 126” Between Housings, 10.24” Stroke and a 15.75” Throat Gap. 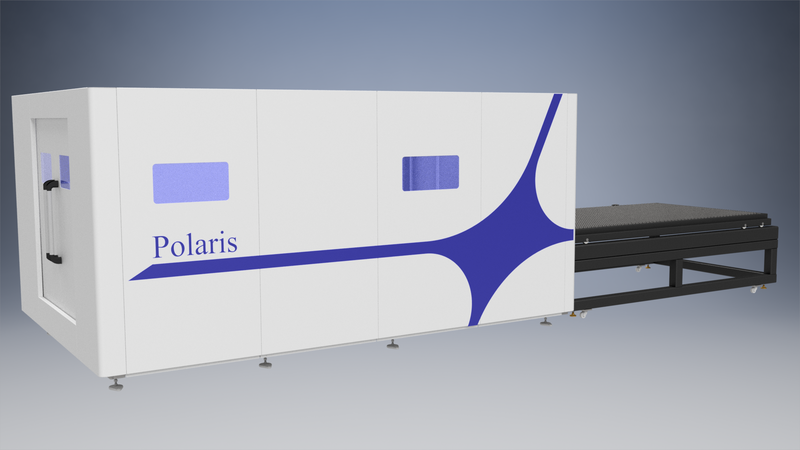 78” X 157” 3kw (3,000 Watt) CNC Fiber Laser Cutting System with Titan PC/CNC Based Controller, IPG Photonics YLS-3000 3KW (3000 Watts) Diode Resonator, Riedel Chiller, Kemper Dust Collector and Less Than 5900 Hours of Use. 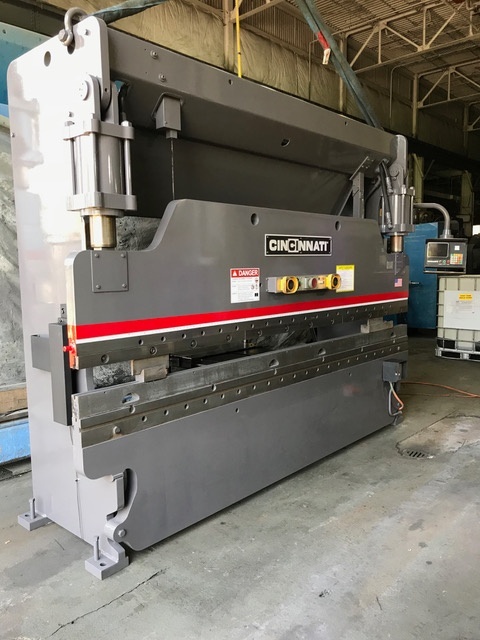 1/4" X 10' CNC Hydraulic Press Brake with Cincinnati Programmable Control for Cut Length, Rake Angle, Blade Gap and Back Gauge Position, CNC Front Gauging and Conveyor/Stacker - Cincinnati 2CV 10 Heavy Duty Shear Conveyor with Stacker, Electronically Adjustable Rake Angle, 10' CNC Front Gauging Arms with Dual Hold Downs on Each End, 2 Front Support Arms, Hydraulic Back Gauge Pull Back Automatic Central Lubrication, Electric Foot Switch, Area Lights, Light Beam Shearing Gauge and Available manuals. 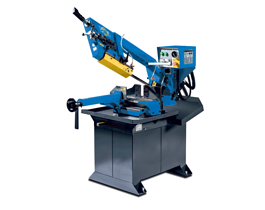 14 Gauge x 10’ Mechanical Power Squaring Shear with 40” Squaring Arm, Rear Operated Squaring Arm, Dual Front Supports, Solid Mechanical Finger Guard/Holddown with Non-Marking Pad and Virtually Silent Geared Brake-Motor. 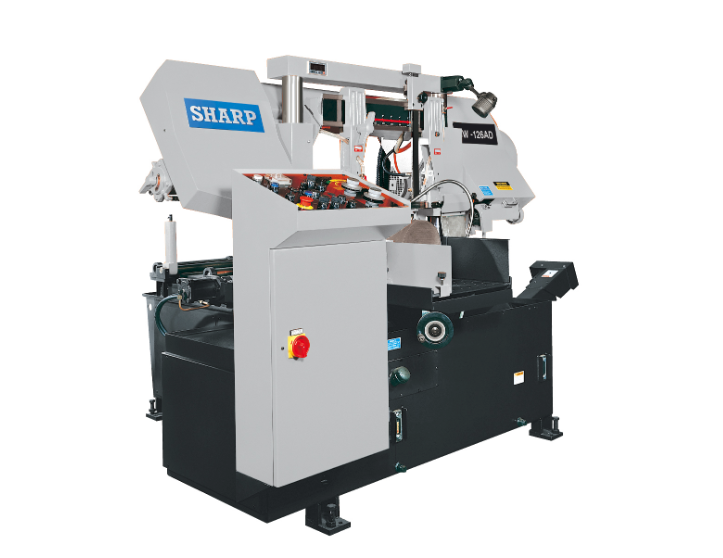 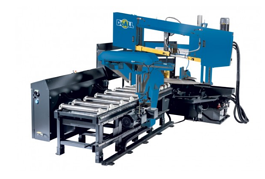 ¾” x 14’ Hydraulic Power Squaring Shear with Accurshear SC-2 CNC Controller with Pre-Select Positions, Sequential Single Step, Programming, Go-To-Position Function and Programmable Backstop with Retract Stroke, Foot Switch Control Heavy Duty Designed Backgauge. 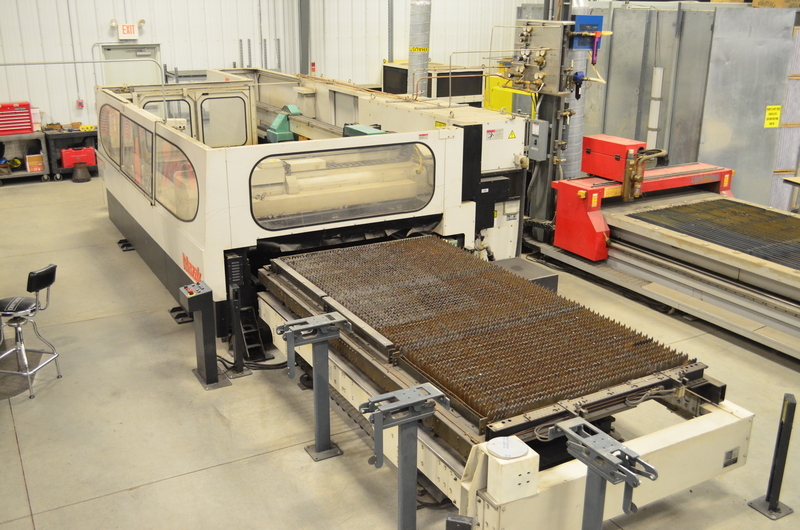 5’ X 10’ 4KW Laser Cutting System with Amada AMNC/F CNC Controller, Fanuc C4000i-C 4000 Watt (4KW) Laser Resonator, Chiller, Farr Dust Collector and Pull Out Scrap Containers. 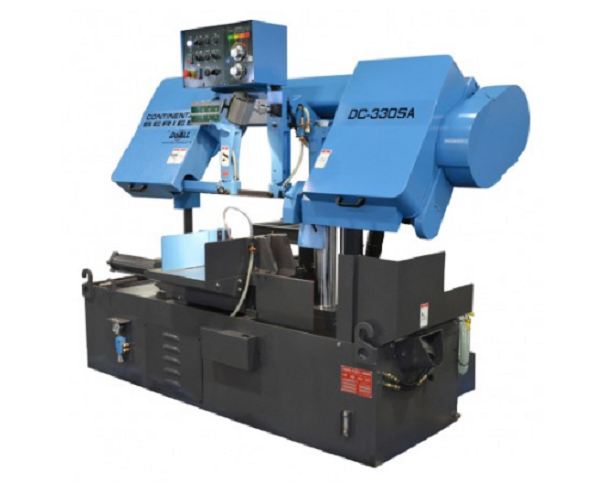 3” X 0.120” Wall Thickness Capacity Mandrel Tube Bending System with Premier CNC Controller, Hydraulic Mandrel Extractor, Hydraulic Pressure Die Assist, Direct Acting Pressure Die, Drop Away Type Clamp Die and 30HP Hydraulic Motor. 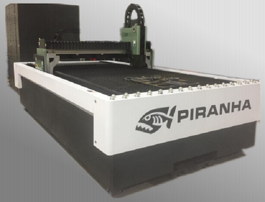 5’ x 10’ Travels CNC Hi-Definition Plasma Cutting System with Hypertherm Micro Edge ProCNC Controller, Hypertherm XPR170 High Performance with True-Hole Technology Plasma Power Source, Exhaust Downdraft Table, HacoSoft Plasma Offline CAD/CAM Programming Software and Remote Jog Control. 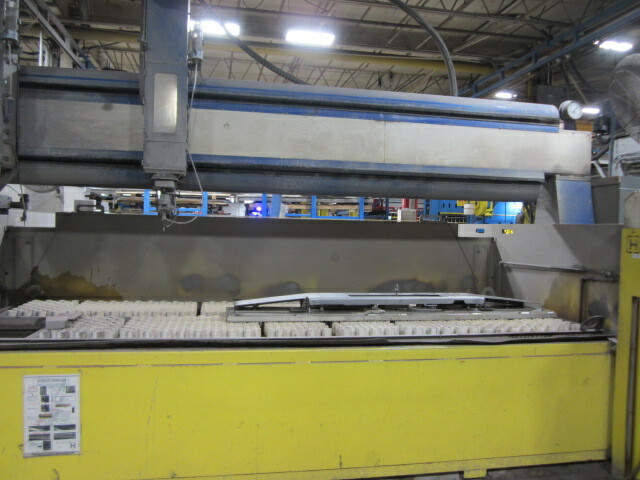 90 Ton X 8’ 8-Axis CNC Hydraulic Press Brake with LVD Cadman CNC Controller, Programmable Crowning, 4 Axis Back Gauge (X R, Z1, Z2), High Speed Servo Hydraulic System, Pedestal Palm Station / Electric Foot Switch, Heidenhain Scales, Programmable Tonnage, High Resolution Color Graphics and Programmable Ram Tilt. 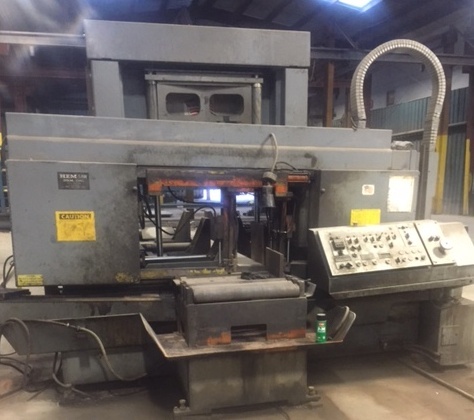 135 Ton X 12’ Hydraulic Press Brake with Pacific Manual Adjustment Controls, Light Curtains, Work Area Lighting, American Style Tooling Clamping and 6.5” Wide Flanged Bed. 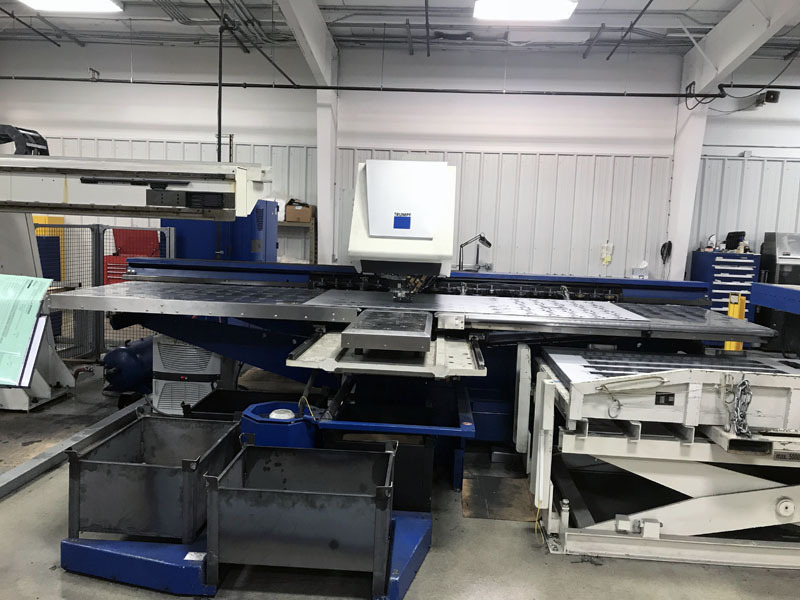 5’ X 10’ 2.0KW (2000 Watt) Fiber Laser Cutting System with Siemens CNC Controller, Trumpf TruDisk 2000 Watt Resonator & Automatic Front Loading Pallet Changer. 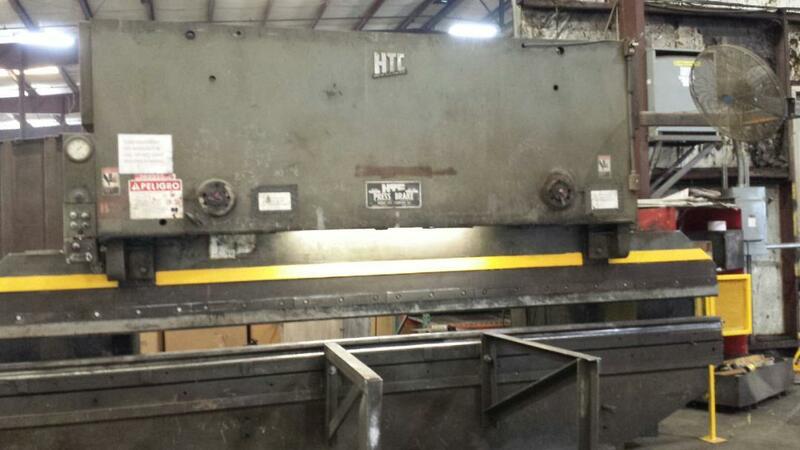 Hardened and Ground Box ways. 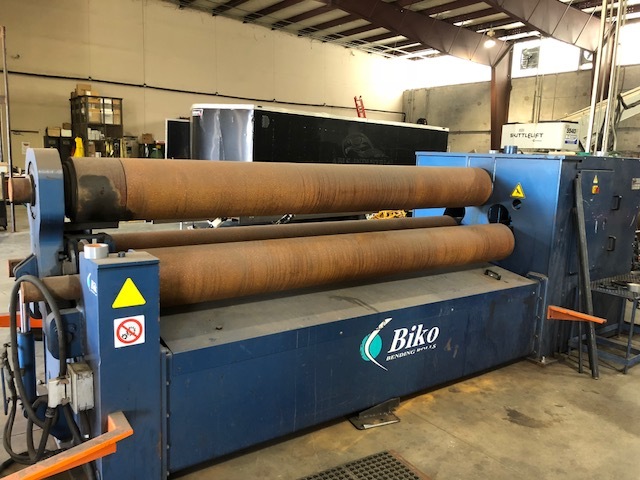 8’ X 40’ 200 AMP Plasma Cutting System with Burny Phantom CNC Controller, Hypertherm MAX 200 200 AMP Plasma Power Source, (1) Oxy Fuel Cutting Station, Kaliburn Innova Plasma Torch Lifter w/Touchscreen Interface and Motorized Oxy-Fuel Torch Lifter. 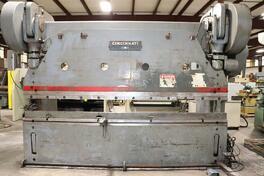 60” X 198” BRAND NEW!!! 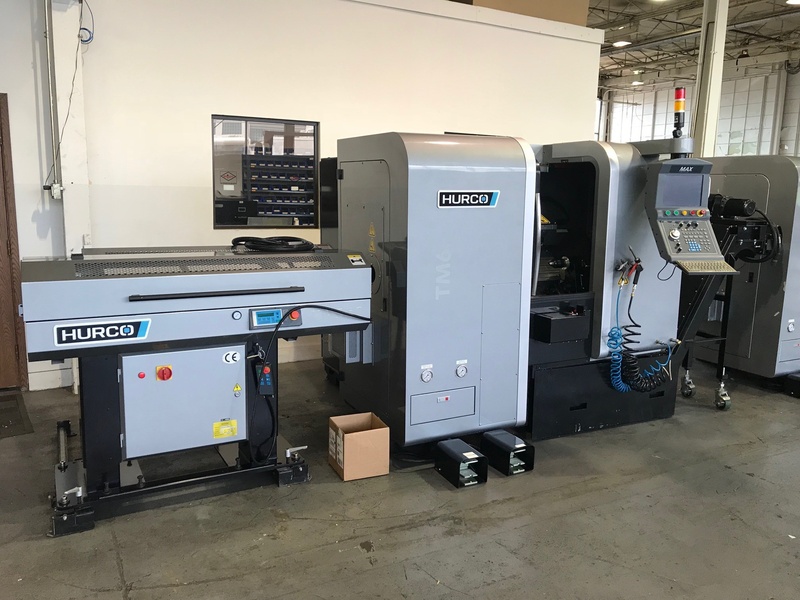 ZERO HOUR CNC Router Table with AC Servo System, HSD 13.3 HP (10 KW) Spindle, Automatic 8 Position Linear Tool Changer, 35 HP 2 Stage Vacuum Pump w/Regenerative Blower, Ingersoll Rand Model 2340L5.200-3 Air Compressor, EZ G-Code Creator 5-CAM software* with MultiTool Control, EnRoute Plus Version 6 CAD/CAM/Tool Path & Nesting Software*, ShapeMaster Software: Complete Solution for ACM Custom Shape/Folding Applications*, Machine Installation and Operator Training. 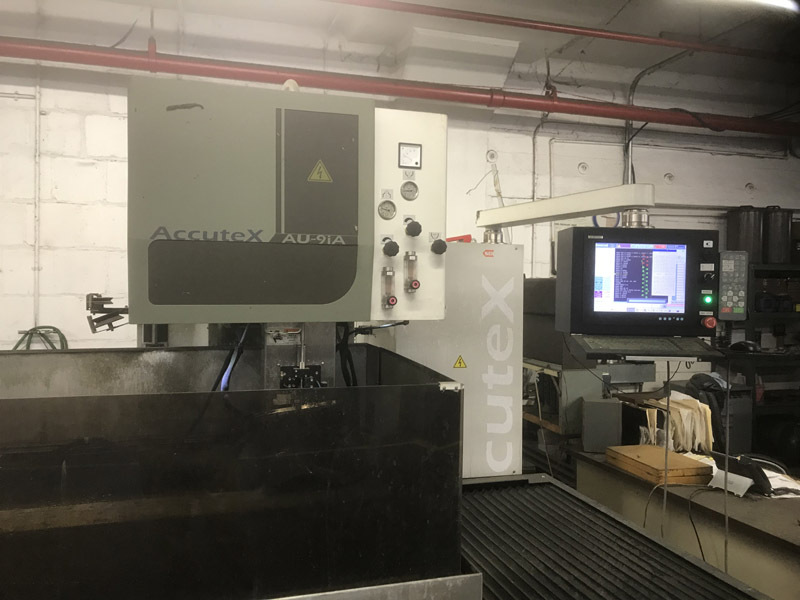 15.75” X 11.81” X 15.75” Travels CNC Submerged Wire EDM with Fanuc 18iWA CNC Controller, USB Interface, Fast Fill/Drain Pumping System, Auto Wire Threading/Rethreading, High Speed Wire Chopper, Machined T-Slot and Ground Working Table, Extreme U/V Travels of 19.68” X 15.75”, Glass Scales on All Axis and integrated Collision Protection. 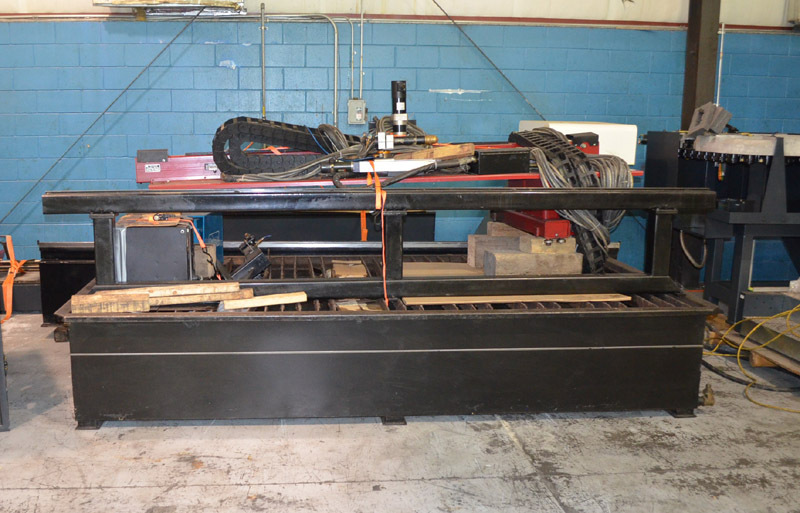 8’ X 24’ Plasma & Oxy Fuel Cutting System with the Hypertherm Navigator II CNC Controls, RS 232 Communications, Hypertherm HT2000, 200 Amp Plasma Power Source, Dual Oxy Fuel Torches and Water Table. 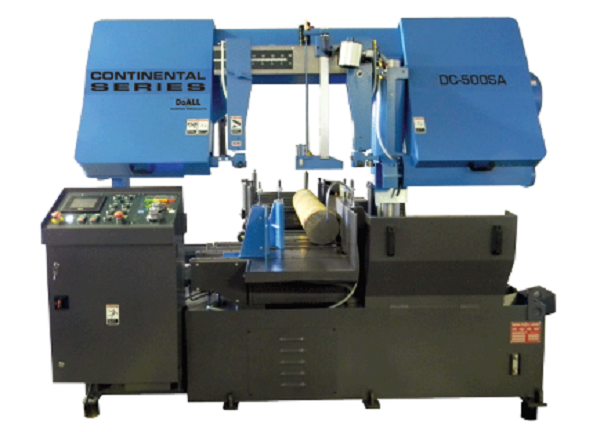 3/4” x 10’ Pyramid Double Initial Pinch Style 3-Roll Plate roll with Roll Balancing, Hydraulic Release, All Rolls Driven Independently, Induction Hardened Rolls, Device for Conical rolling, Digital Readout for R/L Roll Positions & Hydraulic Control Panel. 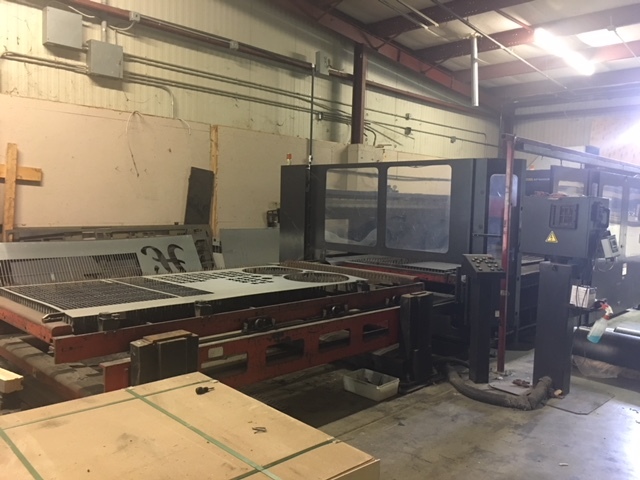 160” X 80” 5KW (5,000 Watts) CNC Laser Cutting System with Siemens 840D CNC Control, 5000 Watt Trumpf TLF Resonator, Liftmaster Integrated Load / Unload System, Dual Tower Sheet Storage Unit and Chiller. 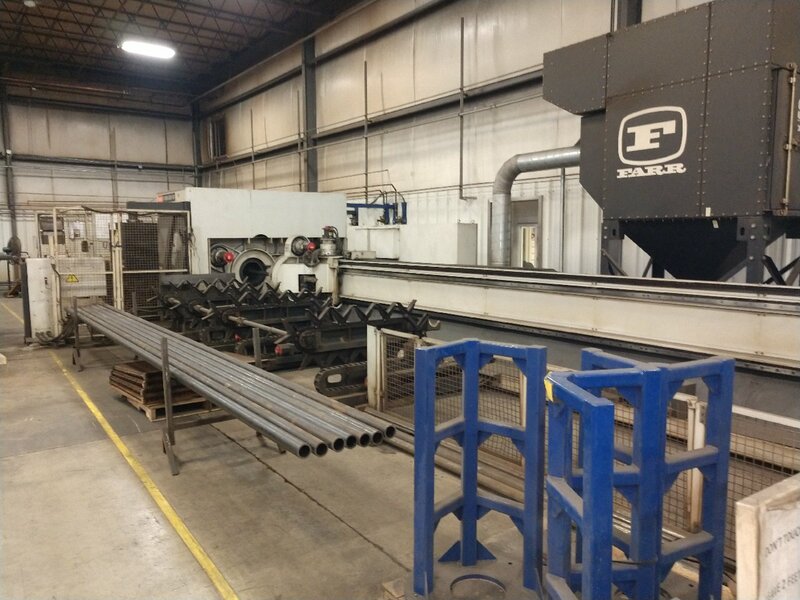 6” X 350” 4KW 5-Axis Pipe and Tube Laser Cutting System with Fanuc CNC Controls, Panasonic 4KW CO2 Resonator, Auto-Loading/Unloading and Full Articulating 5-Axis Cutting Head for exacting Mitering Cuts. 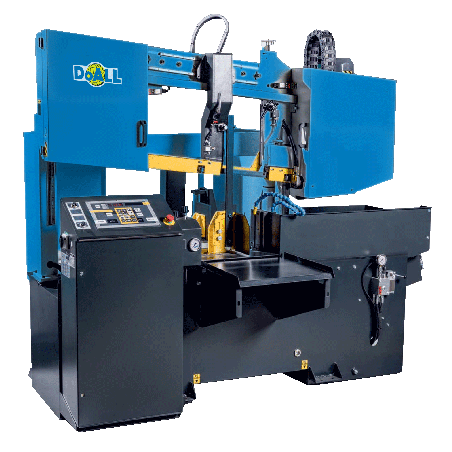 12.6” X 12.6” Dual Column Hydraulically Powered Horizontal Bandsaw Incorporates a powerful 5 hp blade motor, 1 1/4” wide blade, independent control panel, and heavy-duty dual column design. 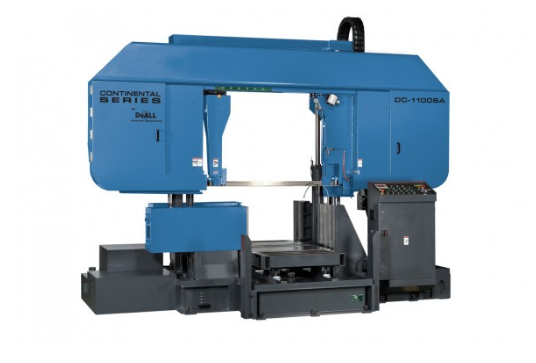 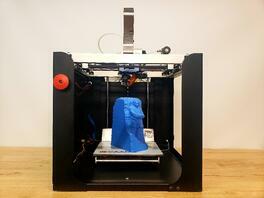 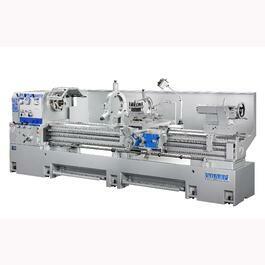 These features create a very rigid, dynamically stable and productive machine. 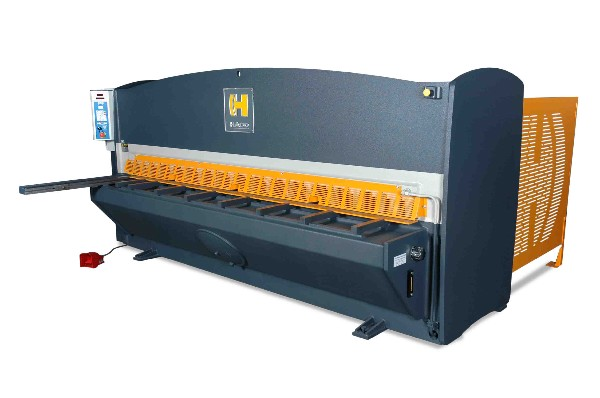 The heavy-duty dual columns keep the blade parallel to the material at all times creating consistent force throughout the entire cutting cycle, thereby increasing the cutting efficiency and extending blade life. 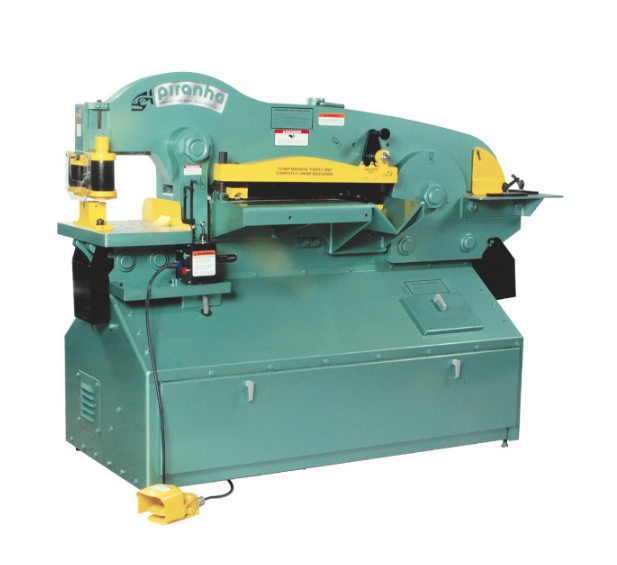 3/8” X 10’ Capacity Power Squaring Shear with Cincinnati Controls, 10’ Left Hand Mounted Squaring Arm, (2) Front Support Arms, Front Operated 48” High Speed Power Back Gauge, Light Beam Shearing Gage, Electronically Adjustable Rake Angle, Electronically Adjustable Blade Gap Adjustment and Variable Stroke Length. 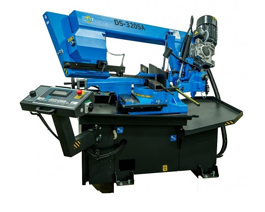 10” X 11” Capacity Pivot Style Automatic Horizontal Bandsaw with LED Digital Blade Speed Monitor, Programmable Shuttle Vise, Bundle Clamping, Automatic Work Height Selector and Integrated Flood Coolant System. 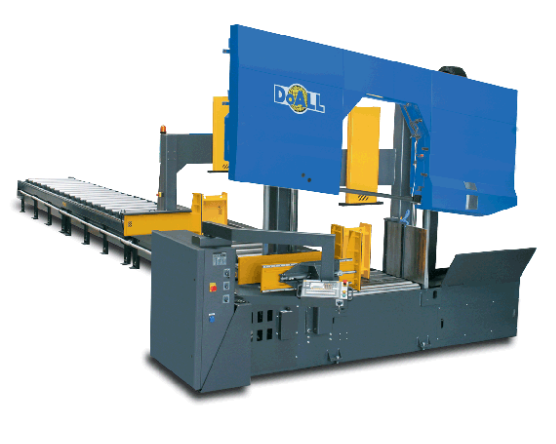 18” X 18” Double Column Horizontal Bandsaw with PLC Based CNC Controller, Tilted Saw Head, Hydraulic Shuttle, LED Digital Blade Speed Readout with Infinitely Variable Band Speed, Precision Feed Pressure, Automatic Work Height Sensor, Automatic Hydraulic Blade Tensioning Device and Integrated Flood Coolant System. 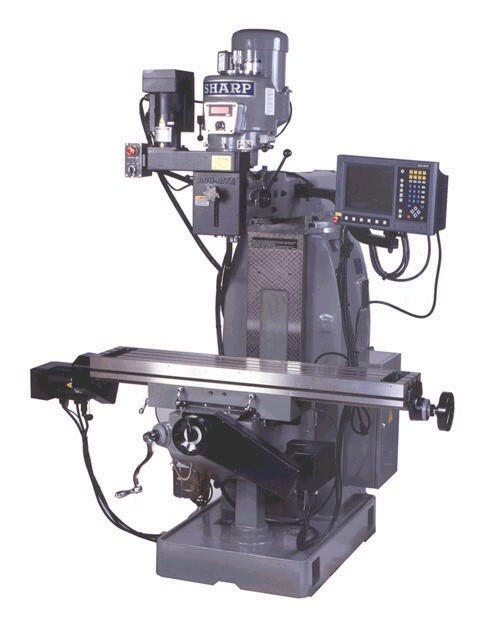 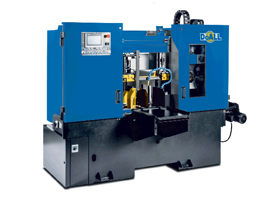 7.9” X 19.7” OD Grinding Capacity with Servo Motor & Ballscrew Driven Infeed, MT3 Tailstock, Manual Dresser Mounted on Tailstock, Chuck or 5C Collet Workhead +/- 45° Swinging Grinding Head, Flood Coolant System, Work Light and Tool Kit Included. 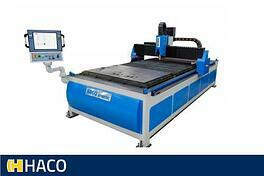 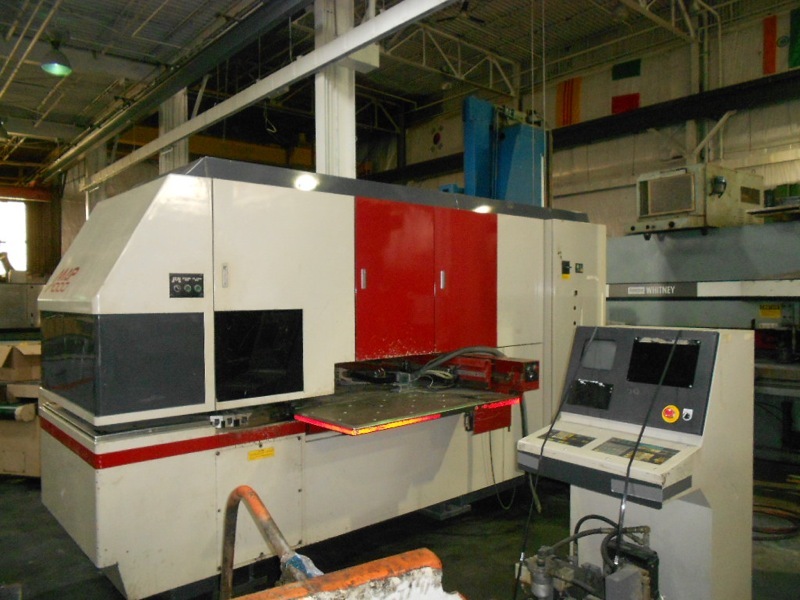 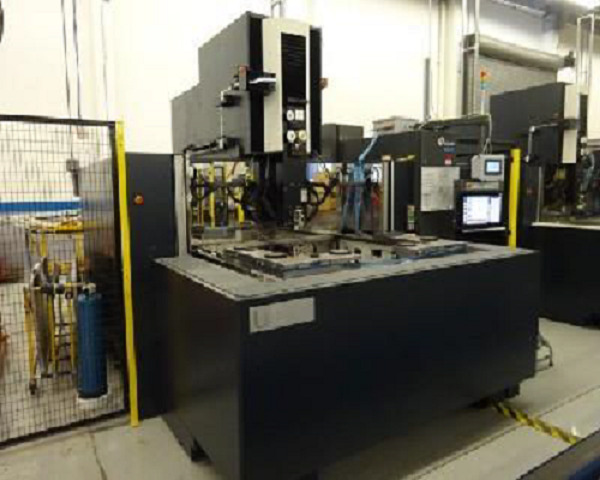 5’ X 10’ 1KW Fiber Laser Cutting System with GE Fanuc 16L Control, IPG YLS-1000 Resonator (New in 2009). 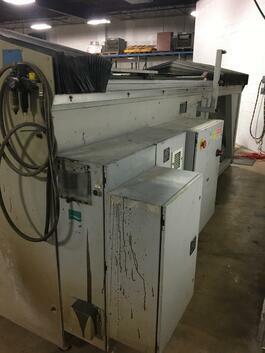 Dual Pallet Shuttle System and Chiller. 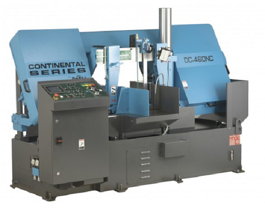 17.7” X 23.6” Capacity OD Hydraulic Grinder with a PLC controller using a simple menu driven LCD touch screen with 16” Diameter 7.5HP Wheelhead, Universal Table with Variable 1.2-275 IPM Traversing Speeds and an Optional Internal Grinding Attachment. 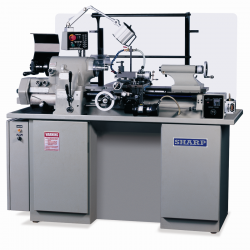 9.9” X 19.7” Capacity OD Hydraulic Grinder with a PLC controller using a simple menu driven LCD touch screen with 16” Diameter 5HP Wheelhead, Universal Table with Variable 1.2-275 IPM Traversing Speeds and an Optional Internal Grinding Attachment. 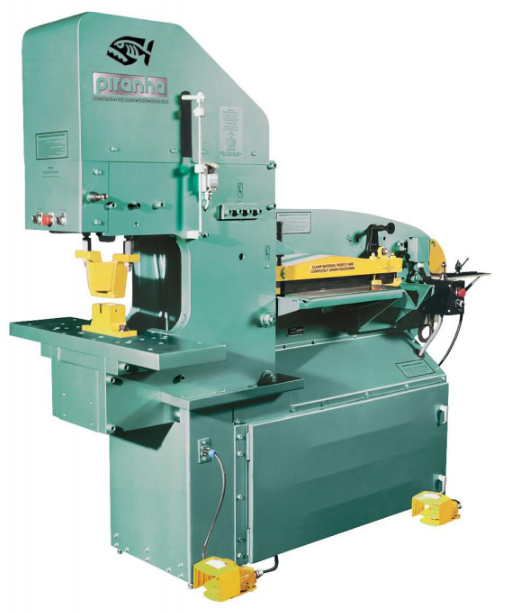 16” X 18” Capacity Automatic Cold Saw with Hydraulic Feed Control & Head, Adjustable Vise Pressure, 24” Indexable Infeed Conveyor, Material Infeed, Magazine System, Re-circulating Coolant Pump & Chip Pan, Saw Blade Adjustment Guide, Push Buttons For Start - Stop, Emergency Stop Button, Blade Brush & Chip Auger. 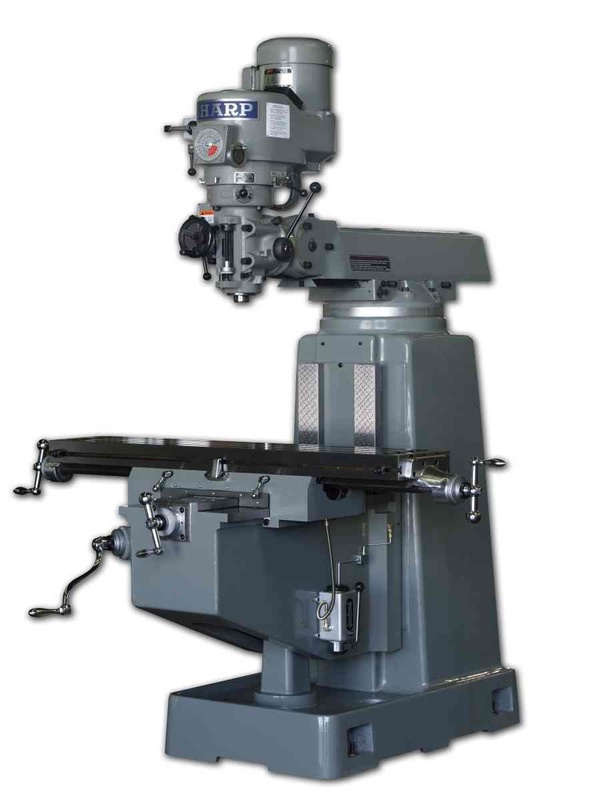 40” Swing (51” with Gap Removed) X 200” Manual Gap-Bed Engine Lathe with 6” A2-11 Camlock Spindle Bore, 30HP Drive Motor, 16 Speed Gear Drive, Tailstock, Follower Rest, 13.2” Swing Over Cross-Slide, 4 Jaw 16” Chuck, Coolant System and Splash Guarding, Face Plate, Steady Rest, 4-Way Tool Post, Halogen Work Light and Tool Kit Included. 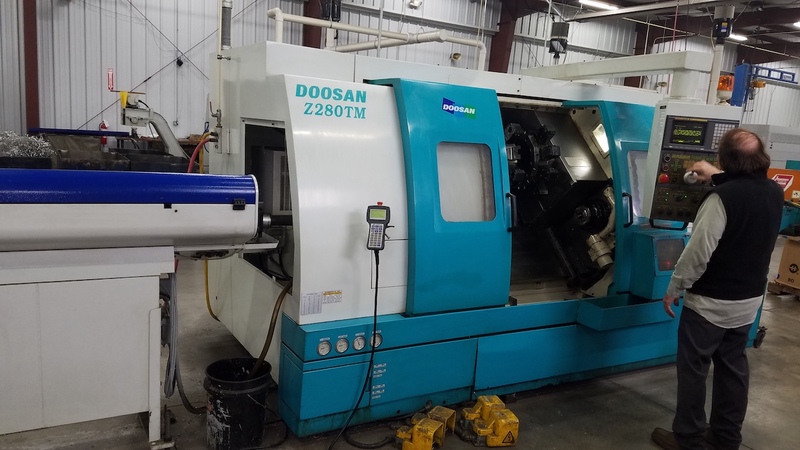 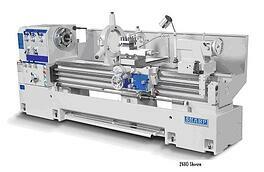 22” Swing (31” with Gap Removed) X 80” Manual Gap-Bed Engine Lathe with 4.5” D1-11 Camlock Spindle Bore, 15HP Drive Motor, 12 Speed Gear Drive (Digital Variable Speed Drive Available), Tailstock, Follower Rest, 13.2” Swing Over Cross-Slide, 4 Jaw 16” Chuck, Coolant System and Splash Guarding, Face Plate, Steady Rest, 4-Way Tool Post, Halogen Work Light and Tool Kit Included. 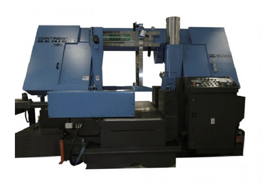  18.5” Swing (27.125 with Gap Removed) X 86” Manual Gap-Bed Engine Lathe with 3” D1-8 Camlock Spindle Bore, 7.5HP Drive Motor, 12 Speed Gear Drive (Digital Variable Speed Drive Available), Tailstock, 11” Swing Over Cross-Slide, 3 Jaw 10” Chuck, Coolant System and Splash Guarding, Face Plate, Steady Rest, American Style Tool Post, and Tool Kit Included. 18.5” Swing (27-⅛” with Gap Removed) X 60” Manual Gap-Bed Engine Lathe with 3 1/16” D1-8 Camlock Spindle Bore, 7.5HP Infinitely Variable Speed Drive (20-2000RPM), Tailstock, Follower Rest, 3 Jaw 10” Chuck, Coolant System and Splash Guarding, 16” Faceplate, Steady Rest, 4-Way Tool Post, Halogen Work Light and Tool Kit Included. 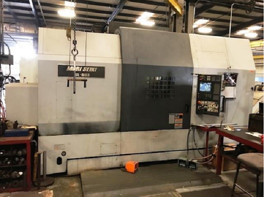 18.5” Swing (27-⅛” with Gap Removed) X 60” Manual Gap-Bed Engine Lathe with 3 1/16” D1-8 Camlock Spindle Bore, 7.5HP Drive Motor, 12 Speed Gear Drive, Tailstock, Follower Rest, 3 Jaw 10” Chuck, Coolant System and Splash Guarding, 16” Faceplate, Steady Rest, 4-Way Tool Post, Halogen Work Light and Tool Kit Included. 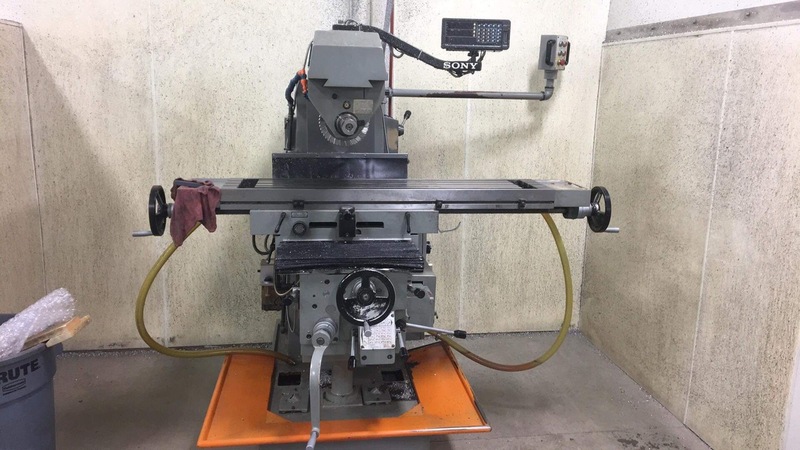 16” Swing (24” with Gap Removed) X 60” Manual Gap-Bed Engine Lathe with 3 1/16” D1-8 Camlock Spindle Bore, 7.5HP Drive Motor, 12 Speed Gear Drive (Digital Variable Speed Drive Available), Tailstock, Follower Rest, 8.75” Swing Over Cross-Slide, 3 Jaw 10” Chuck, Coolant System and Splash Guarding, 16” Face Plate, Steady Rest, 4-Way Tool Post, Halogen Work Light and Tool Kit Included. 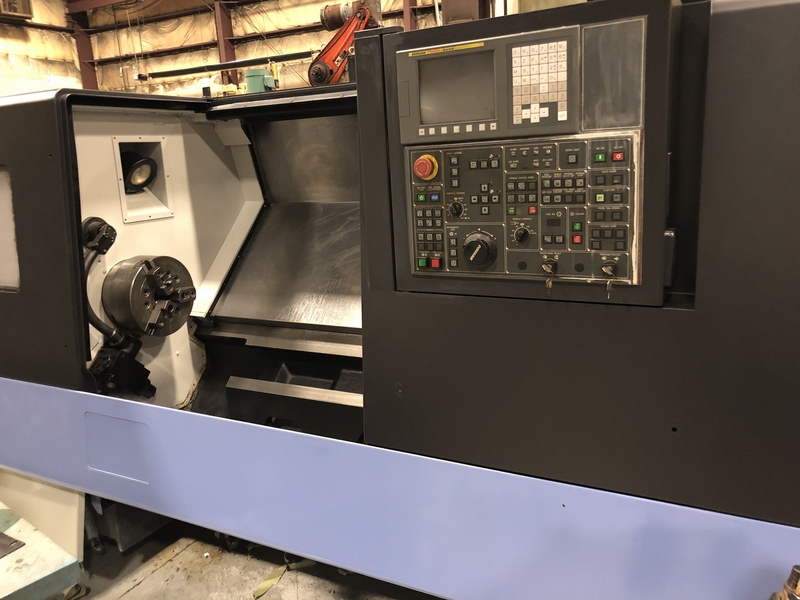 16" X 40" Capacity Manual Engine Lathe with 2,000 RPM 7.5HP, DIGITAL VARIABLE SPEED DRIVE, D1-8 Camlock Spindle, 3-1/16" Spindle Bore, 10" 3 Jaw Chuck, Gap Bed Frame,Coolant System, Full Length Splash/Chip Guard, Foot Brake, Halogen Work Light and Tailstock. 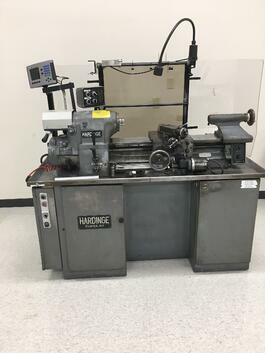 16" X 40" Capacity Manual Engine Lathe with 12 Speed 40-2,000 RPM 7.5HP Spindle Drive, D1-8 Camlock Spindle, 10" 3 Jaw Chuck, Faceplate, Steady Rest, Follower Rest, American Tool Post, Coolant System with Full Length Splash Guard, Foot Brake, Halogen Work Light, Tailstock and Tool Kit. 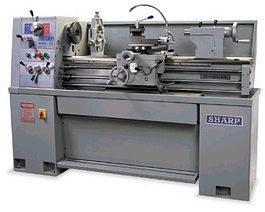 14" X 40" Capacity Manual Engine Lathe with 1,800 RPM 3HP, 2-Speed Gear Drive, D1-4 Camlock Spindle, 8" 3 Jaw Chuck, Gap Bed Frame, Single or 3 Phase Electrics, Coolant System Foot Brake and Tailstock. 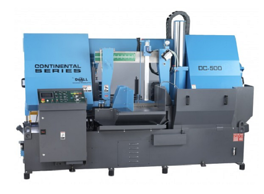 14" X 40" Capacity Manual Engine Lathe with 2,200 RPM 3HP, Infinitely Variable Drive, D1-4 Camlock Spindle, 8" 3 Jaw Chuck, Gap Bed Frame, Single or 3 Phase Electrics, Coolant System Foot Brake and Tailstock. 13" X 40" Capacity Manual Engine Lathe with 2000 RPM 3HP Drive, D1-4 Camlock Spindle, 8" 3 Jaw Chuck, Gap Bed Frame, Single Phase Electrics, Coolant System Foot Brake and Tailstock. 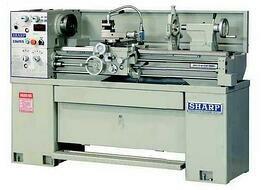 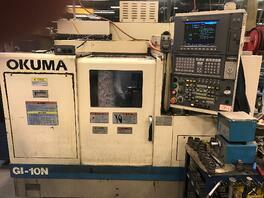 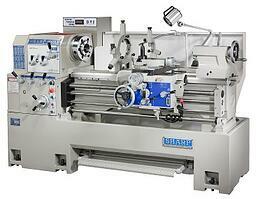 11" x 18" Precision Toolroom Lathe with 5HP 4,000 RPM DIGITAL VARIABLE SPEED (D.V.S.) 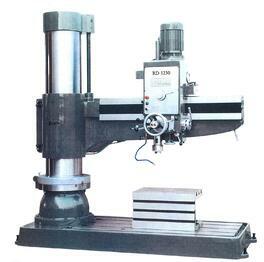 Drive System, 50 Millionth Tir Accuracy, Harding Type Design, Hardened and ground spindle, Independent electric feed-rate control on carriage and cross slide, Quick-change inch/metric gearbox with 36 changes, Spindle supported by double angular contact bearings, Quick-action compound slide for threading, One piece alloy steel material, hardened and ground bedways and Hardened and ground leadscrews. 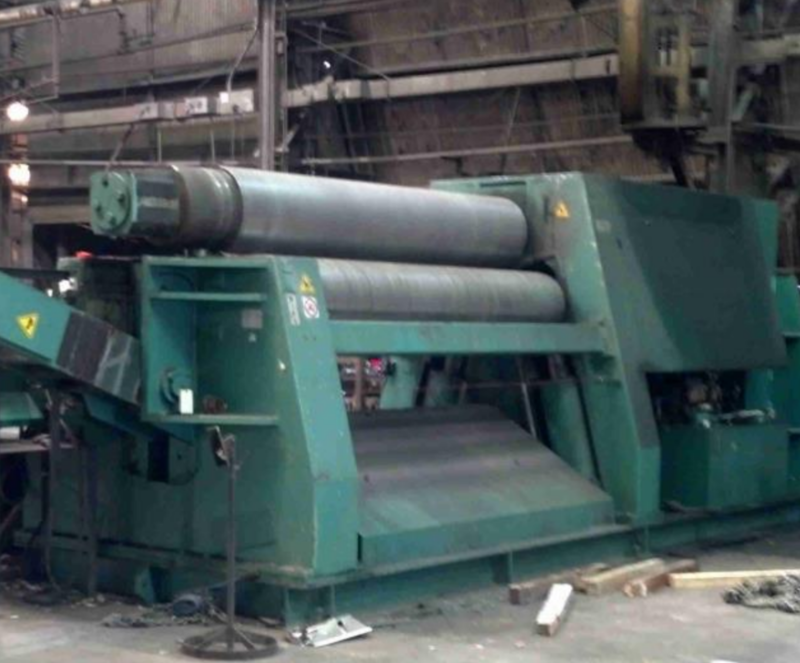 39”x 16.3” X 5” Travels Heavy Duty Vertical Knee Mill with 5 Hp Motor, Variable Speed Drive (60-4500 RPM), NT-40 Spindle, Hardened & Ground Box Ways On Column And Saddle, Dual Cooling Fans, Meehanite Casting, Self-lubricating Motor Shaft, Abec-7 Super Precision Spindle Bearings, Turcite Coated Saddle Ways, Unique Double Nut Backlash Systems, One Shot Lube System, Backlash Eliminator Tool, Front & Rear Way Covers and Tool Kit. 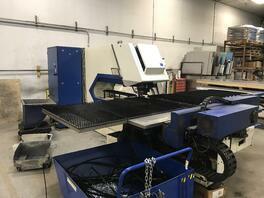 10’ X 5’ CNC Abrasive Waterjet Cutting System with Multicam EZ Controller with Integrated EZ G-Code Software / Operation System, Full Nesting Capability on Board, AC for Control Cabinet, 800 LB Bulk Abrasive hopper, 30HP 60KPSI KMT Intensifier Pump. 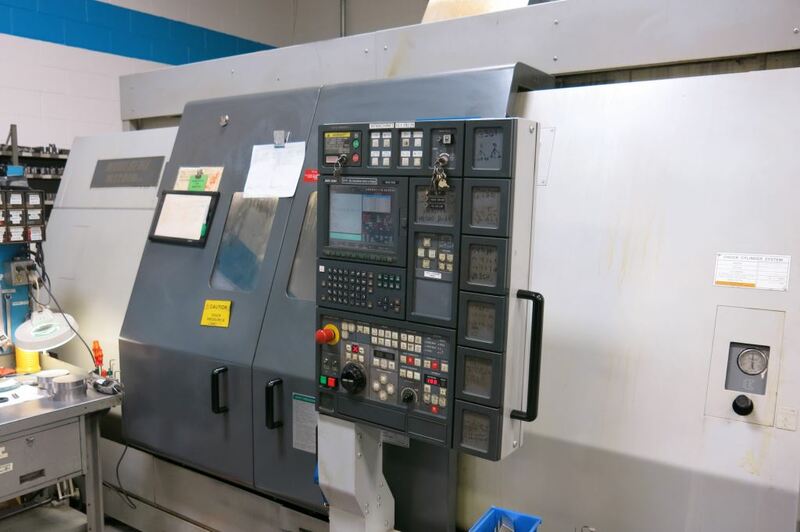 Machine has literally ZERO HOURS on it and has never been installed since new. 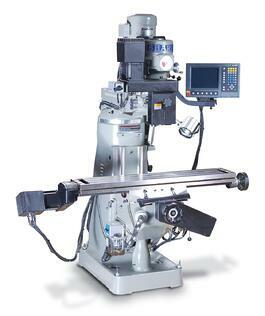 37-3/8” x 14-13/16” x 18-1/2” Manual Horizontal Mill with NST 50, 1,300 RPM 7.5HP Spindle Drive and Power Feeds in X-Axis. 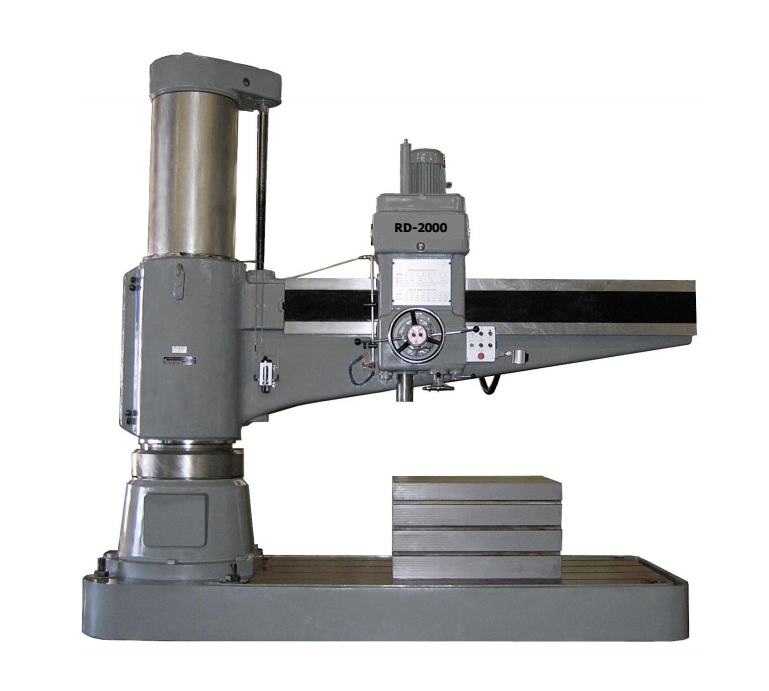 33" X 16.3" Traveling Manual Vertical Knee Mill with 3HP, 4,500 RPM R-8 Spindle Drive, Hardened, Ground and Chromed Box Way Design, Meehanite Casting, Digital Read-Out, Power Drawbar and Power Feed Included. 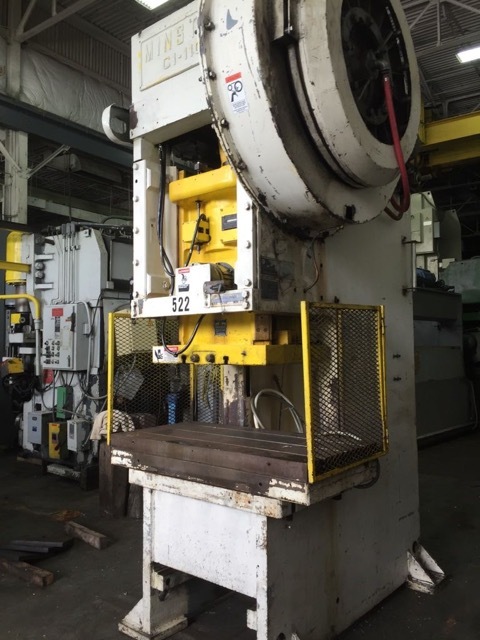 9” X 49” Capacity Vertical Milling Machine with 3HP Motor Variable Speed Drive (60-4500 RPM), R-8 Spindle, Meehanite Casting, Chromed Ways, elf-Lubricating Motor Shaft, Abec-7 Super Precision Spindle Bearings, Digital Variable Speed, 3- Axis Digital Readout (quill, saddle and table), X –axis Power Feed, Hard-Chromed Ways, Front & Rear Rubber Way Cover, & One Shot Lube System. 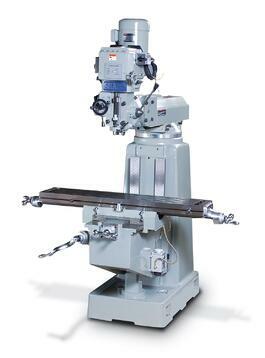 18.5” Swing (26.5 with Gap Removed) X 84” Manual Gap-Bed Engine Lathe with 7.5HP Drive Motor, 2.062” Spindle Bore, 9” Swing Over Cross-Slide, Tool Post, 3 Jaw and 4 Jaw Chucks Included. 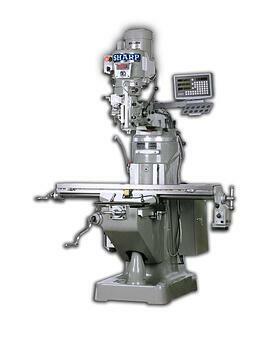 12” X 24” Capacity Automatic Surface Grinder with 3.0 HP Motor, 1,720 RPM Spindle Speed, Hand-scraped ways with Turcite B coating, Double ‘V’ Ways, Extra Wide Bed, Double Longitudinal “V” Ways and Cross “V” Ways, Hydraulic Table (with Over Travel Protection), Auto Cross feed (Intermittent and Continuous Mode), Slide Ways are Hand Scraped and Turcite Coated, Annealed Castings for Greater Machine Stability, An Optional Programmable Spindle Down feed System with User Friendly Control. 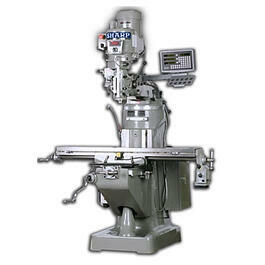 6” X 18” Capacity *Brand New* Manual Surface Grinder with 1.5 HP Motor, One “V” way and one flat way for longitudinal travel, Hand-scraped ways with Turcite B coating, Saddle Locking System for accurate slot grinding achieved, Double-nut backlash eliminator, Hardened and Ground Cross slide and column screws, Wire rope driven table, Main spindle run-out within 0.0001”, Automatic lubrication system and Optional Accessories to customize to your needs. 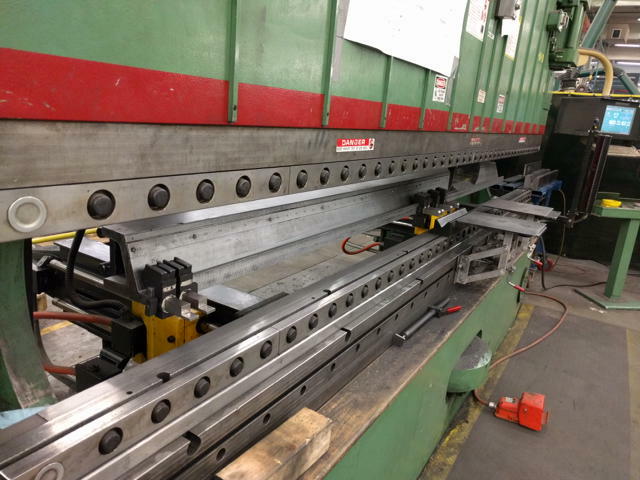 23.6” X 13.4” Capacity CNC 3 Spindle CNC Beam Drilling Line with PC Based CNC Controller, 43’ Infeed, 25’ Powered Outfeed, 40’ Front Conveyor and (3) 200-800 Drilling Spindles. 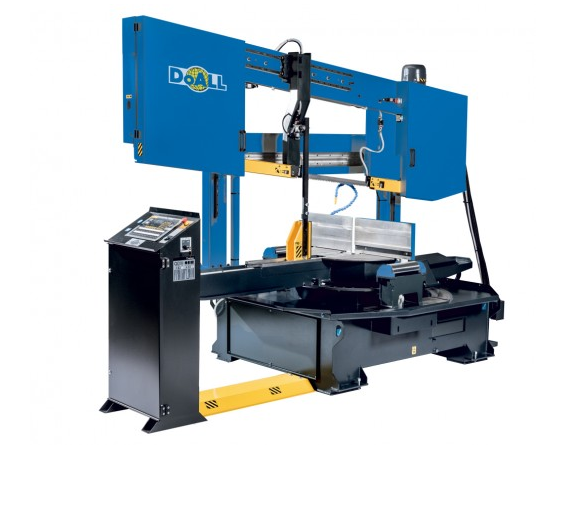 54” X 54” 24,000 LB Capacity Welding Positioning System with 110V Hand-Held Remote Operator's Panel, 504,000 LBS of FT Torque, 70” X 70” Max Load Dimensions with 0.006 - 0.6 RPM Positioning Speeds. 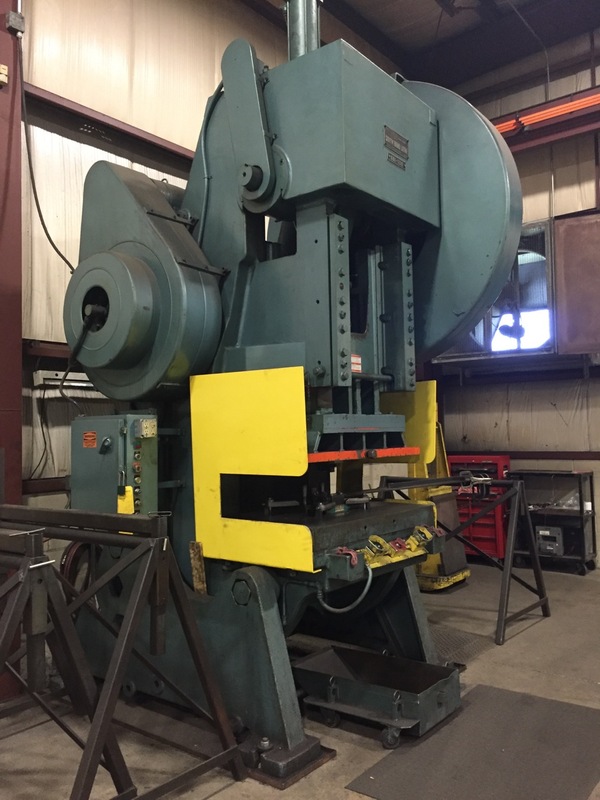 10 Gage X 12’ Hydraulic Power Squaring Shear with 36” Front Operated Power Backgage, Dual 24” Front Supports, 12’ Squaring Arm and T-Slots Machined in Shear Bed. 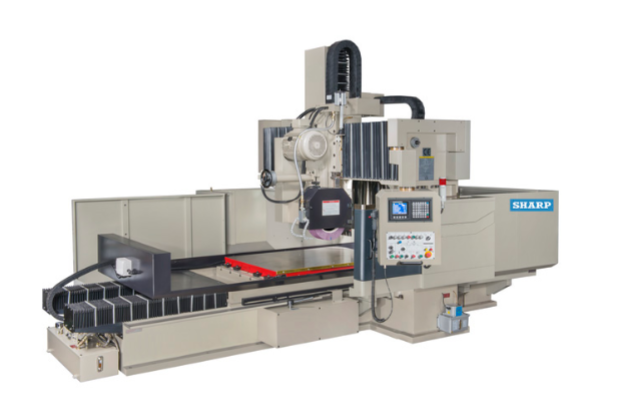 39.37” X 99.2” 22 TON CNC Turret Punching System with Nisshinbo Palvision CNC Control System, Bi-Directional 22 Position Thick Style Turret, 2 Auto Index Stations, Multi Tool Capable, Ball Transfer Table, Auto Repositioning, Fully Capable Machine in Compact Design. 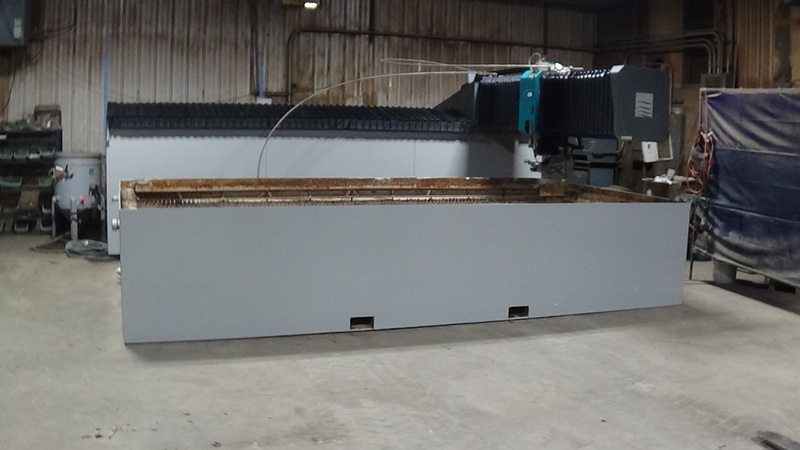 12’ X 20’ 4-Head CNC Abrasive Waterjet Cutting System with Esab Vision PC Based Controller, KMT 100 HP Intensifier Pump (Approx 2080 Hours), Chiller, Abrasive Removal System and Available Manuals and Spares. 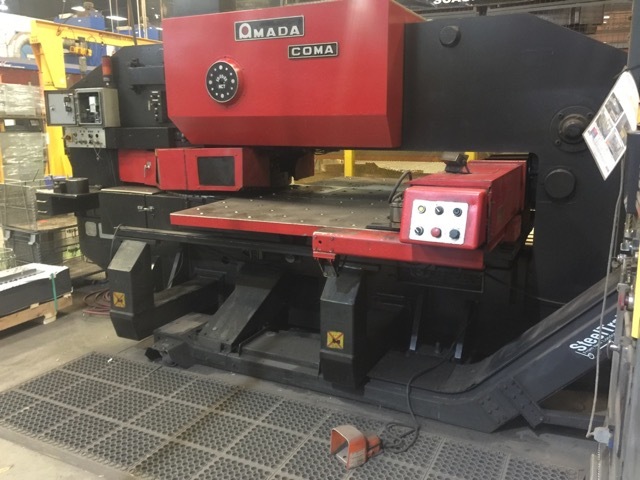 110 Ton X 10’ CNC 8-Axis Hydraulic Press Brake with Amada Operateur CNC Controller, 6-Axis Backgage (X1, X2, R1, R2, Z1, Z2), Operators Pedestal and Foot Pedal. 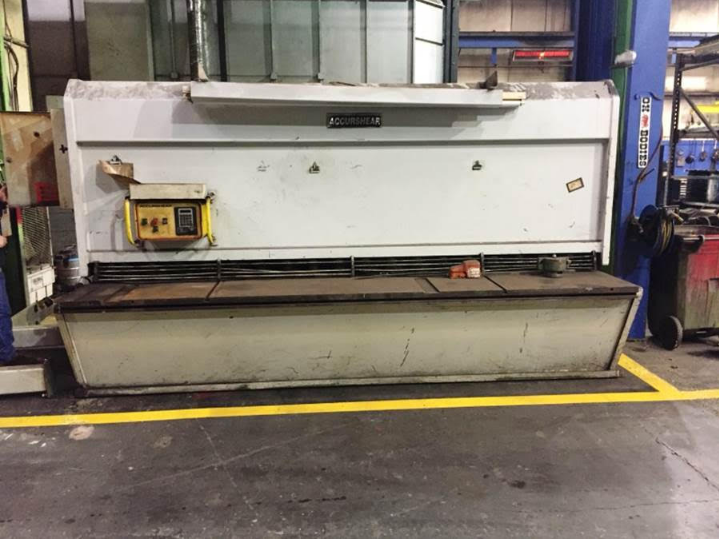 5’ x 10’ Table, Flow Model 7X 60HP, 55K PSI Intensifier Pump, Paser 3 Cutting Head, Allen Bradley Series 9 Control and 300LB Bulk Abrasive Hopper. 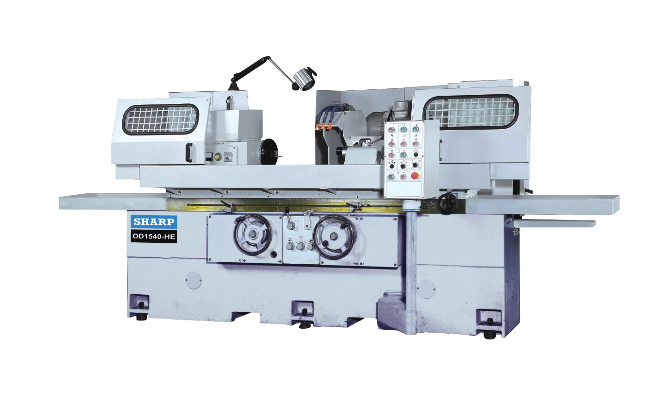 ½” X 12’ CNC Hydraulic Power Squaring Shear with Cincinnati Front Operated Controls, Power Blade Gap Adjustment, Electronically Adjustable Rake Angle, Hydraulic Back Gauge Pull Back, Automatic Central Lubrication, Electric Foot Switch, Work Area Lights, Light Beam Shearing Gauge. 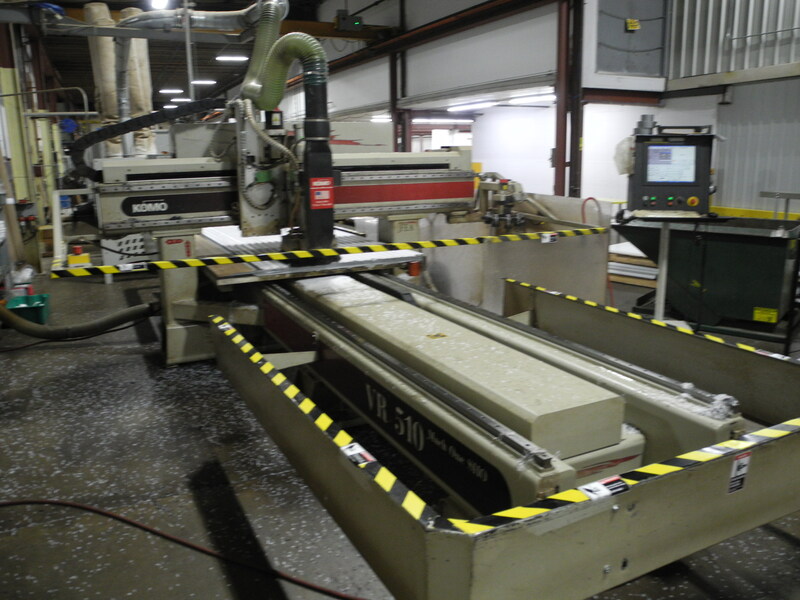 50” X 40” 30 Ton CNC Punching System with Euromac PC Based Control System with On Board Programming, Bi-Directional Tool Head Rotation, Multi Tool Capable, Scratch Free Brush Topped Table, Hydraulic Punch & Die Clamping, Trumpf OR Amada Style Tooling Capabilities, Solid Meehanite Base, Electric Foot Switch Multi-Tool Holder Included with Misc Punching Tooling. 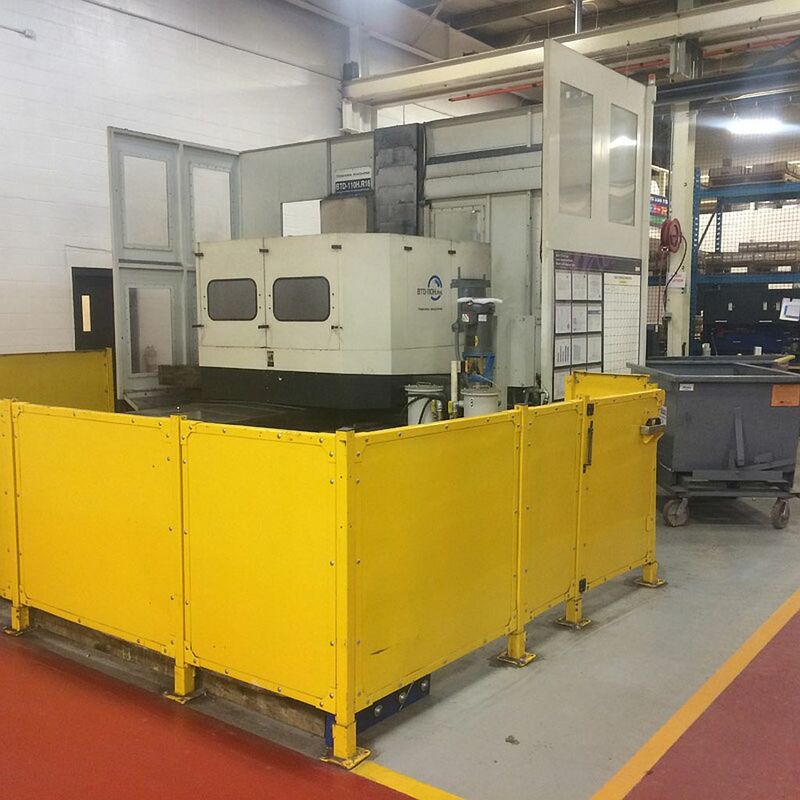 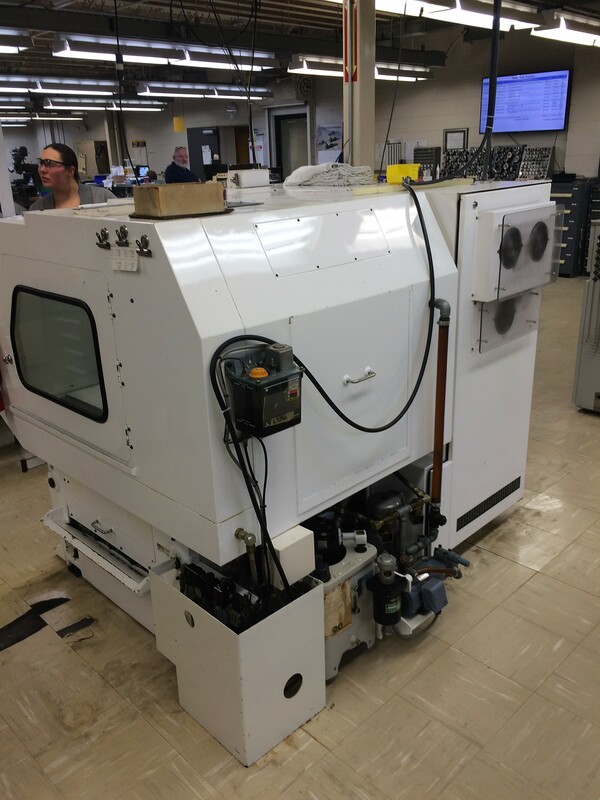 35.4” x 19.7” x 17.7” VMC with Professional 3 (Fanuc 16M) Controller, 20K RPM Spindle with Thru Spindle Coolant, Chip Conveyor, 25 Station ATC, HSK 63A, 30/25 HP, Rapid Traverse Rates 1,968 IPM Rapids. 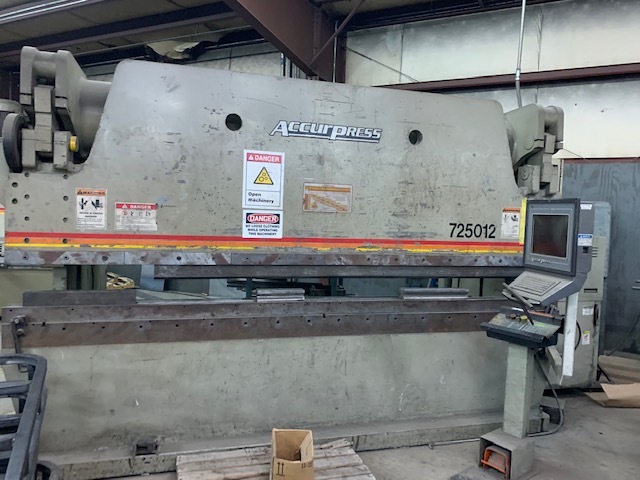 25 Ton X 4’ CNC Hydraulic Press Brake with the Accurpress ETS 250 3-Axis PLC Based CNC Controller, 2 Axis Backgage with Y, X and R Programmability, Foot Pedal or Palm Pedestal operation. 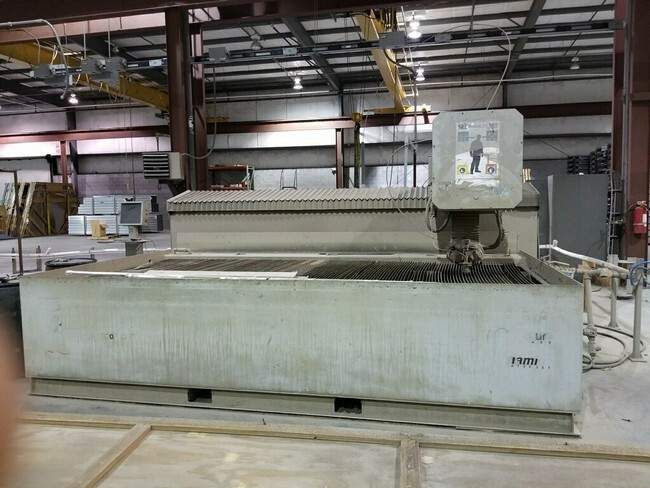 40” X 40” CNC Turret Punching System with updated PC Controls CNC Controller, 47” X 72” Ball Transfer Table, Chip Conveyor, Loaded with Tooling and Includes Spare Parts. 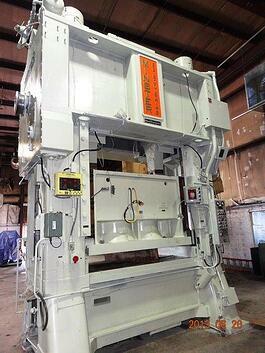 Inspect in plant and under power. 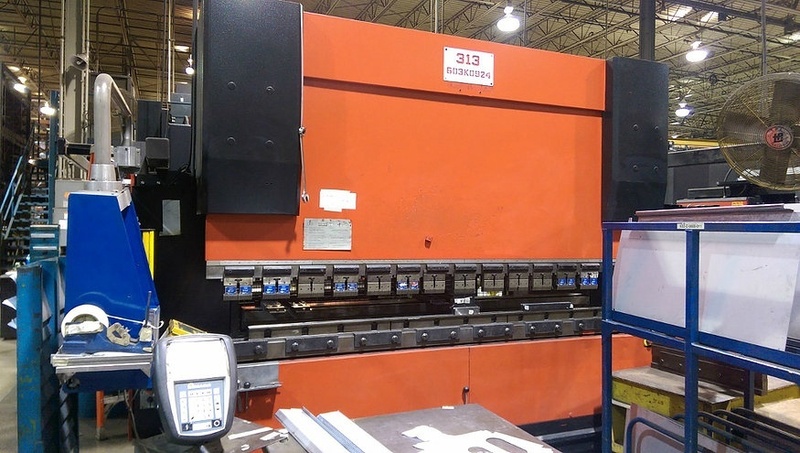 385 Ton X 12’ CNC 9-Axis Extended Stroke/Throat Press Brake with Accurpress Vision CNC Controller, 6 Axis Backgage, CNC Crowning, Hydraulic Ram Clamping, Hydraulic Die Clamping, Full Rear Gage Guarding & Lighting with Remote Operator Palm Station/Foot Pedal Pedestal. 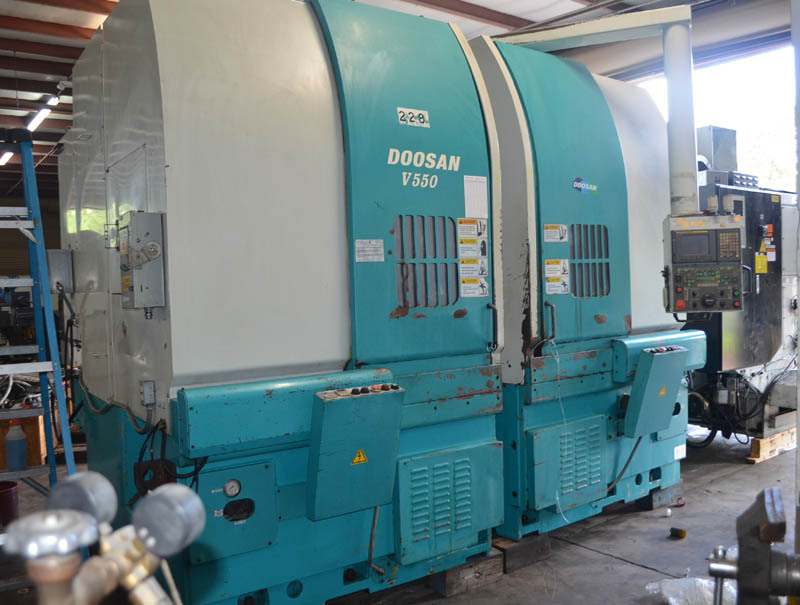 60” X 72” ⅜” Thick Capacity 55 Ton CNC Turret Punching System with GE Fanuc 6M Control, 44 Position Thick Style Turret, (2) Auto-Index Stations, Auto Repositioning, Slug Conveyor, Hydraulic Clutch and Ball Transfer Table. 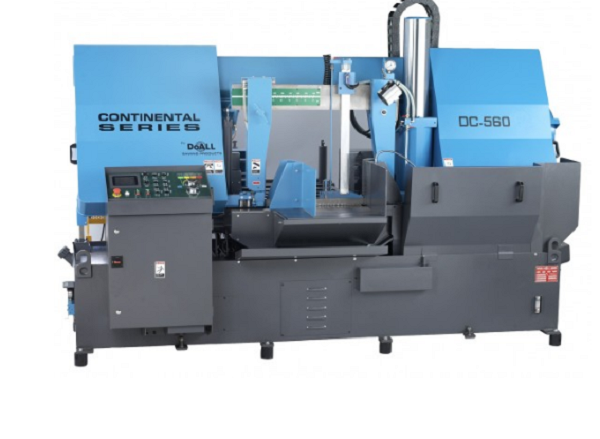 50 Ton X 50” CNC Turret Punching System with GE Fanuc 6M CNC Controller, 44 Position Thick Style Turret with 2 Auto-Index Stations, Ball Transfer Table Auto Repositioning and Hydraulic Clutch. 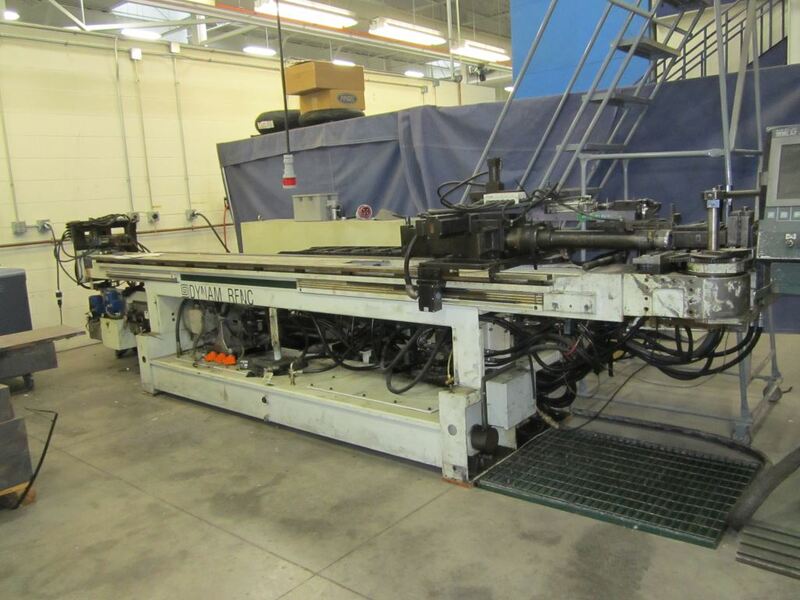 68” X 120” 33 Ton CNC Punching System with Pullmax CNC Controller, Trumpf Style Tooling, Optitool Rotation on all 15 Stations, Brush Type Table, Auto-Reposition, Auto-Lube and Chiller. 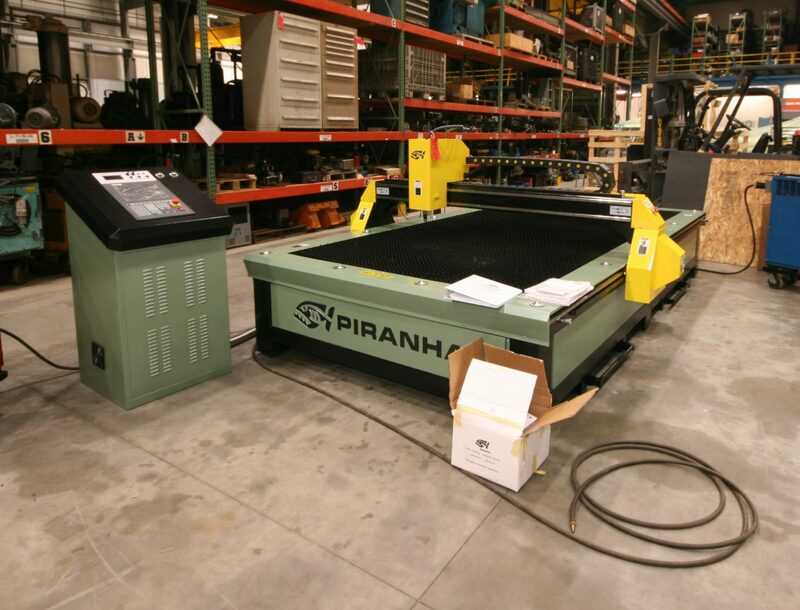 115” X 240” Travels Dual 200AMP Plasma Cutting system with Burny Phantom Controller, Dual Hypertherm HT2000 200AMP Plasma Power Sources, Brushless DC Servo Drives on Hardened and Ground Rack & Pinion Drive System All Completely Refurbished with New Controls, Drives, Gearboxes & Lifters in 2012. 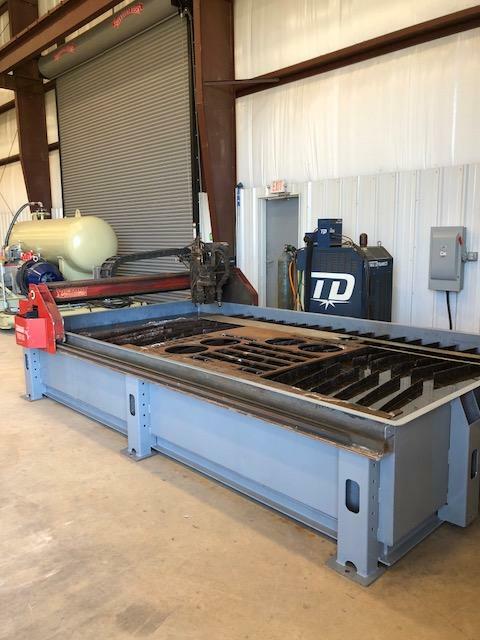 8’ X 42’ CNC Dual Torch Plasma Cutting System with MG Messer Global CNC Controller, Dual Hypertherm HT-2000 200AMP Plasma Power Sources, Ducted Dry Downdraft Table. 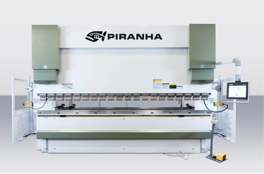 This Configuration is ideal for blanking Structural I-Beams and other Structural Fabricating applications. 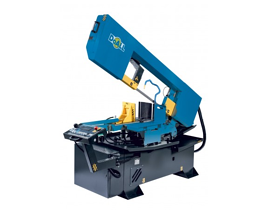 ¾” X 12’ Heavy Duty Mechanical Power Squaring Shear with Front Operated Power 36” Back Gage, 8’ Squaring arm, Dual Electric fort Pedals and Hydraulic Hold Downs. ¼” X 13’ Hydraulic Power Squaring Shear with Amada Shearing Control, 8’ Squaring Arm, Continental Shear Conveyor, Hand Slots in Table, Power Rake Angle Adjustment and Dual Hydraulic Hold Downs. 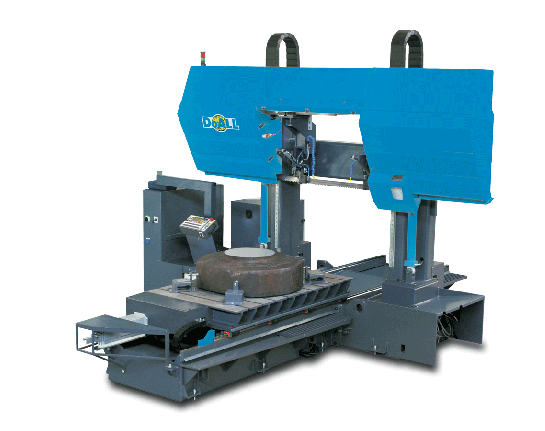 ¼” X 10’ High Speed Hydraulic Power Squaring Shear with Cincinnati Programmable Control for Cut Length, Rake Angle, Blade Gap and Back Gauge Position, Electronically Adjustable Rake Angle, 120” Cincinnati CNC Front Gauge Arm, Dual Hold Downs on Each End, 2 Front Support Arms, Hydraulic Back Gauge Pull Back, Automatic Central Lubrication, Electric Foot Switch, Area Lights and Light Beam Shearing Gauge Line. ¼” X 10’ Mechanical Power Squaring Shear with 36” Front Operated Power Back Gauge, Bijur Auto-lube System, Electric Foot Switch, Hand Slots In Table, 4’ Squaring Arm, Dual Front Supports & Flush Floor Design. 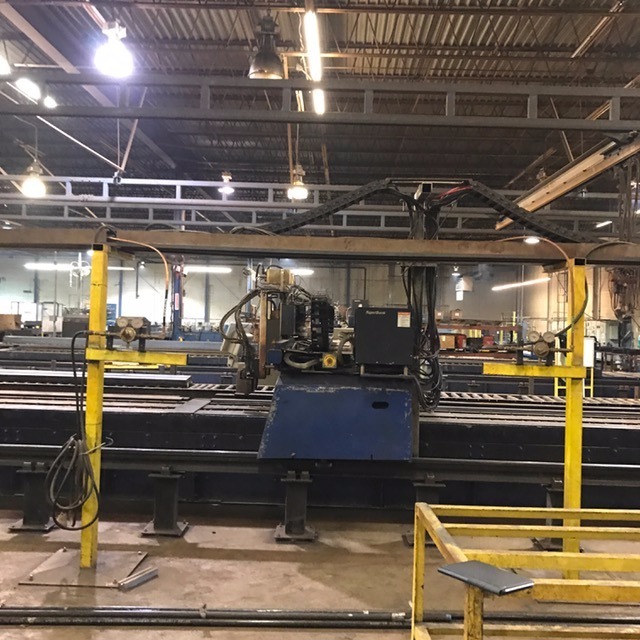 12’ X 60’ Plate Processing System with Fanuc CNC Controller, Hypertherm 400XD Power Source, Bevel Cutting Plasma Head, 40 HP 6KRPM Cat 40 Spindle, Oxy/Fuel Torch with Auto Ignition, Scribing Capabilities and Water Table for Plasma and Oxy/Fuel Cutting. 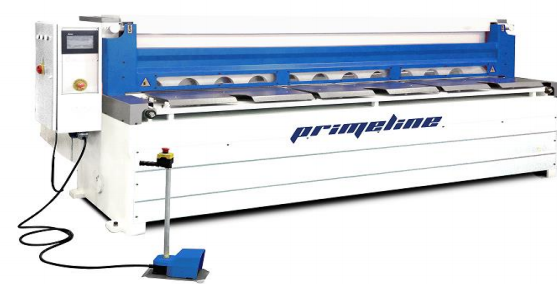 44” X 44” X 40’ Capacity Beam/Angle/Flats/Tube Drilling, Marking and Miter Sawing System with FICEP Minosse CNC Control System, with 40’ Powered Infeed/Outfeed Roller Conveyor Shuttling/Measurement System, 20 HP 2500 RPM Rotating Programmable Angle Drilling Head (+90°, 0°, -90°), Automatic Laser Measuring System, Automatic Web Probing System & Integrated Programmable Miter Saw. 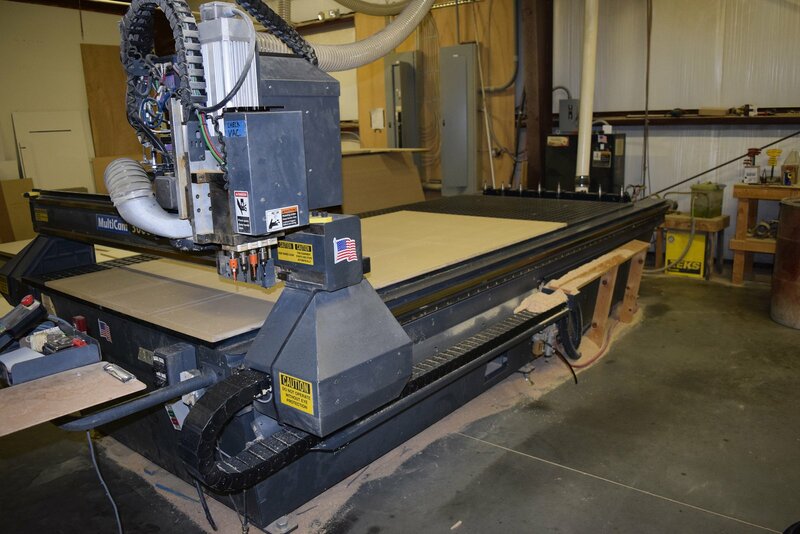 89” X 10’ CNC Router with Multicam NC Controller, 5.5HP Colombo 24K RPM Spindle, ISO30 Tool Taper, 5 Position Linear Tool Changer and Vacuum Table. 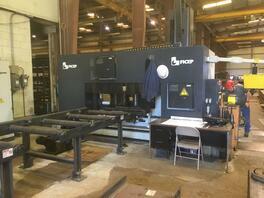 8’ X 13’ Oxy Fuel Cutting System with Burny Phantom CNC Controller and (4) MG Messer Turboflame Torches. 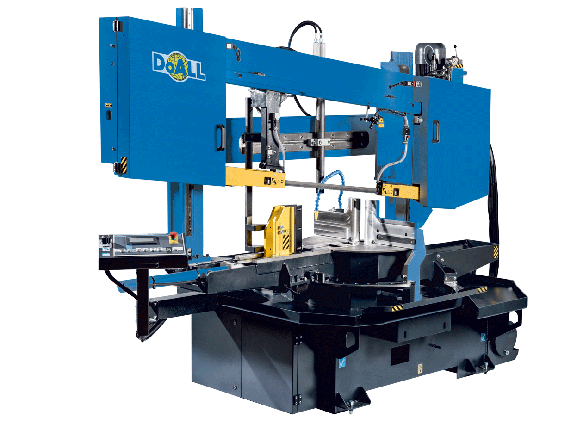 6 Axis Robotic Welding System with ROTROL II PC Based CNC Control Teach Pendant w/Touch Sensitive Operation Surface, Full Enclosure, Digital AC Drive Technology, Absolute Path Measuring System, GLC-603 Quinto Welding Machine, CK118R K Compact SD Weld Data, Monitoring System, MRW 610 Welding Torch and CMR Mechanical Torch Cleaning Unit. 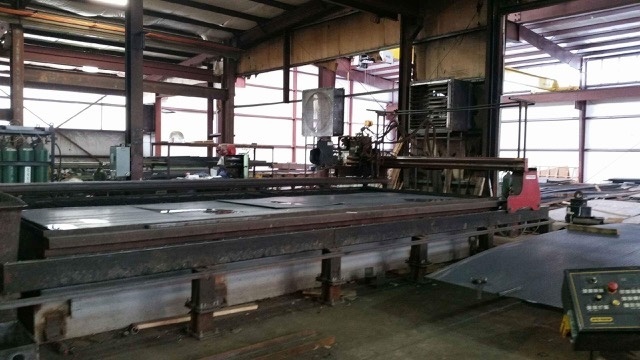 6’ X 15’ Hi-Definition Plasma Cutting System Upgraded in 2012 with Burny Phantom CNC Controller, Hypertherm HD3070 100 AMP Plasma Power Source, Drives, Lifters, Cables and Hoses. 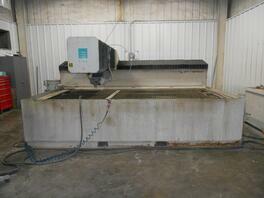 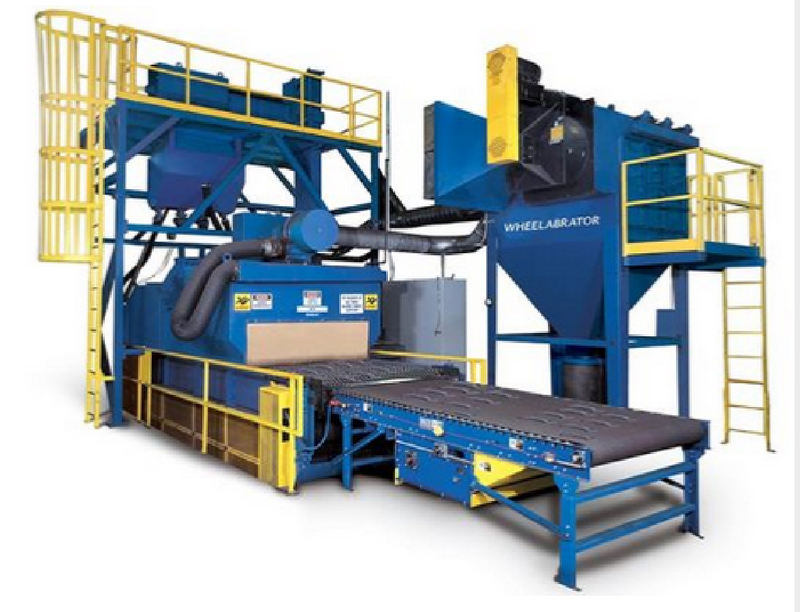 Includes Ducted and Zoned Downdraft Table and Torit Dust Collector. 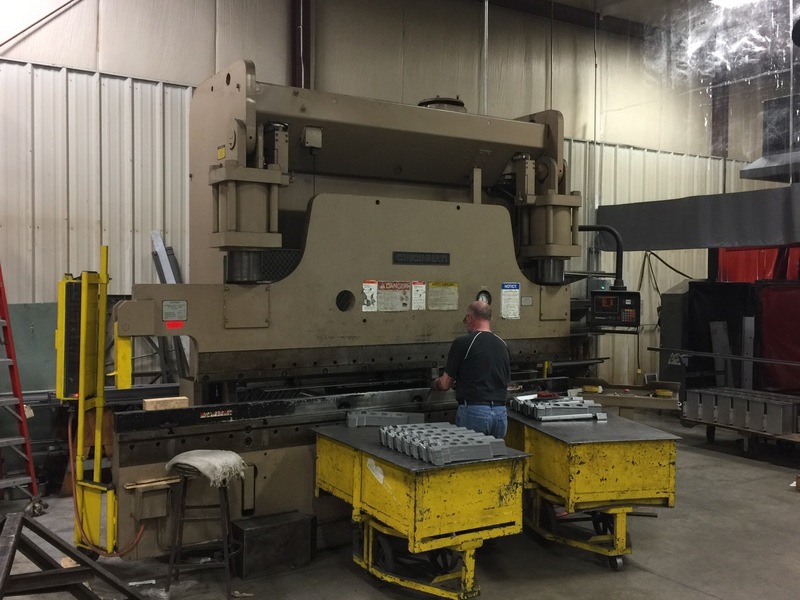 150 Ton X 6” Stroke OBI Press with 30” X 50” Bed and 34” X 24” Ram, Air Clutch, Air Counterbalance, Inch/Single/Continuous Modes, Autolube, Forward/Reverse Controls and Dual Palm Buttons. 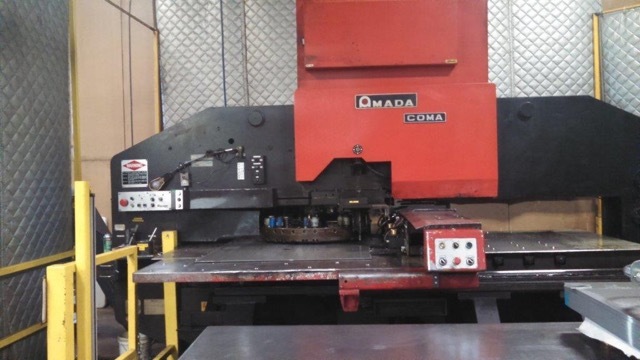 DESCRIPTION: 600 Ton Straight sided Double Crank Heavy Duty Stamping Press with Ametek Microset Controller, Helm Load Guard, 8” Stroke, 24” Shut Height, 6” of Ram Adjustment, on an 84” X 48” Bed with 34.5” Windows, Bolster Plate and Floor Standing Design. 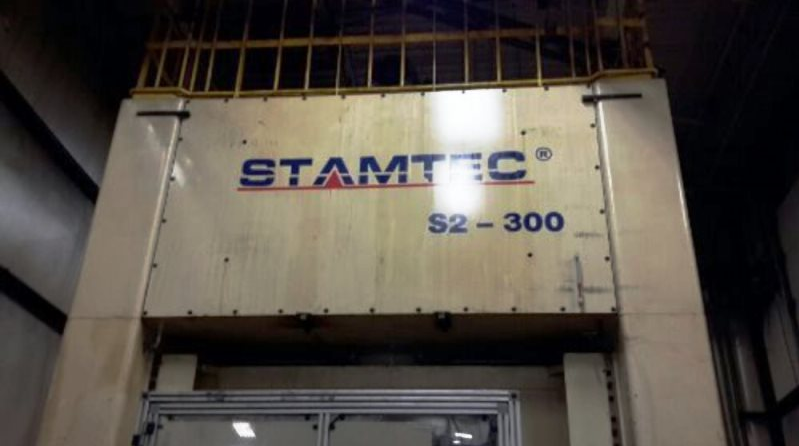 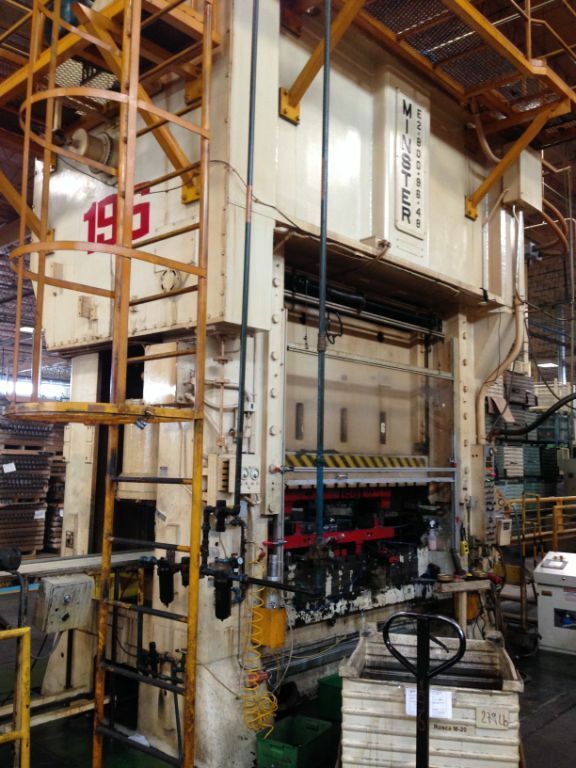 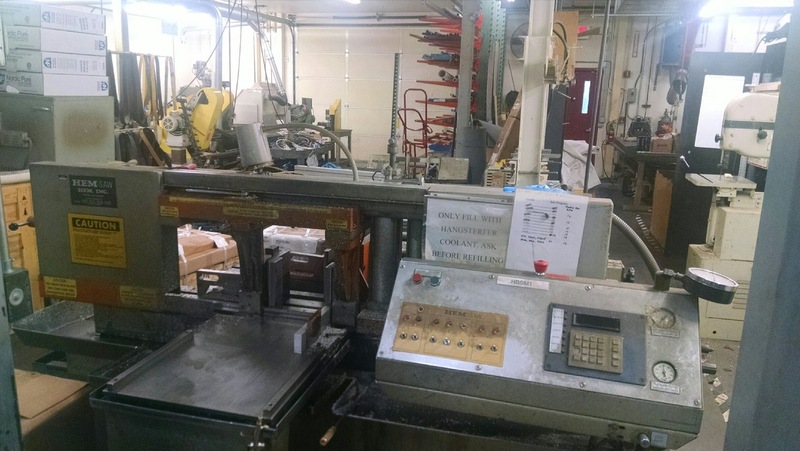 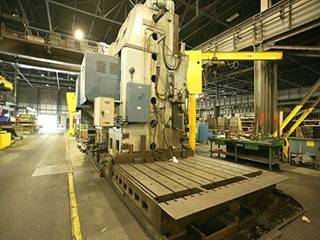 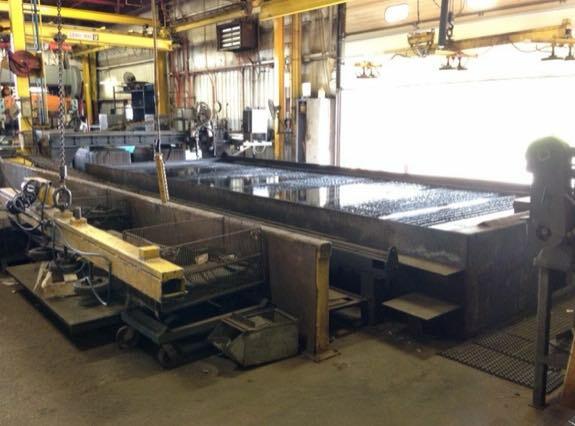 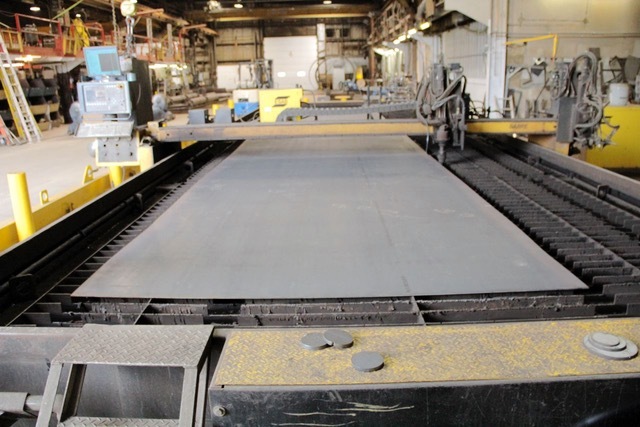 DESCRIPTION: 110 Ton Gap Frame Stamping Press with 27” X 54” Bed 28” Open Height, 8” Ram Stroke with Side and Rear Guarding. 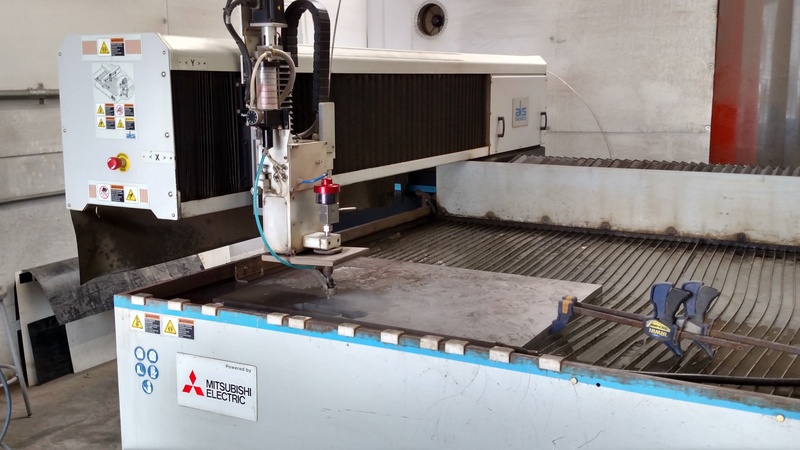 6’ X 12’ CNC Abrasive Waterjet Cutting System with Mitsubishi M720 CNC Controller, On Board Metamation CAD/CAM System,Ultra-High Pressure 90KPSI KMT Intensifier Pump, Complete Ebbco Closed Loop Water Filtration System, Chiller and Ebbco Abrasive Removal System. 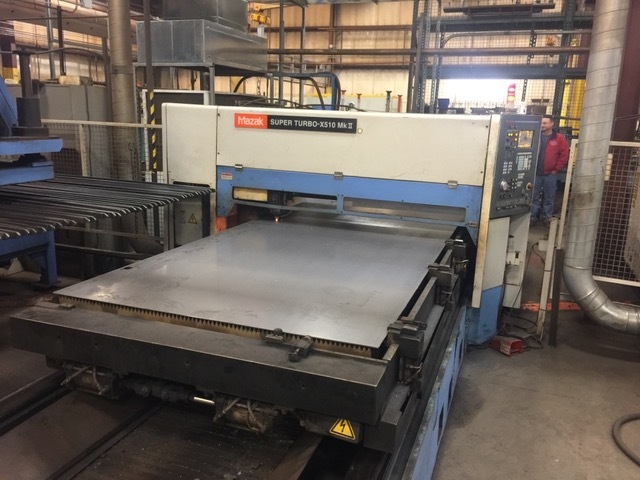 5’ X 10’ 4.0KW (4,000 Watt) CO2 Laser Cutting System with Mazak L32B CNC Controller, Panasonic YBL400 Resonator, Non Contact Head, Orion Chiller, Slug Conveyor and Transformer. 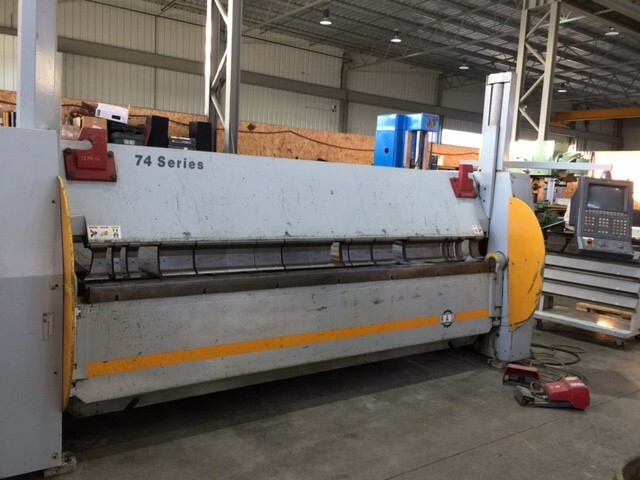 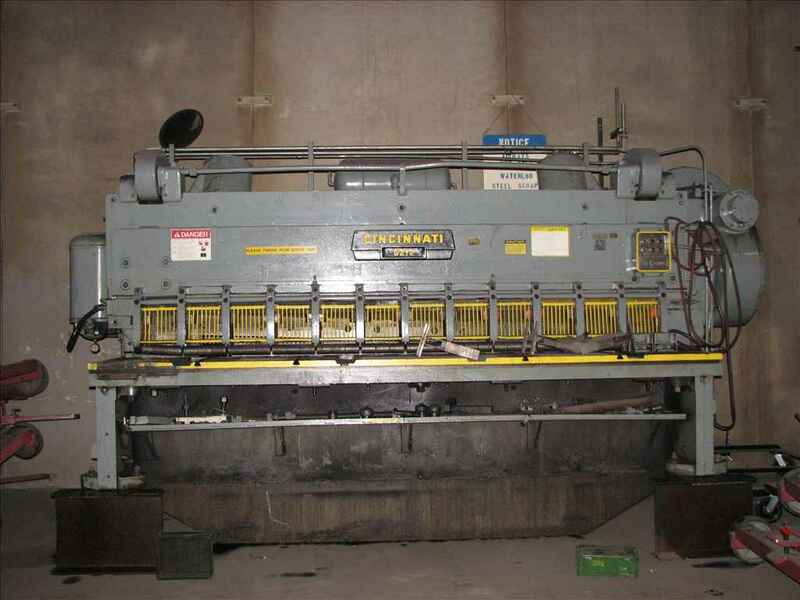 70 Ton Capacity Manual Hydraulic Ironworker with 1 - 1/16” Punching Capacity, 24” Plate Shearing Capacity, Punch and Die Holder, Stripper with Guard Housing and Electric Foot Pedal Operation. 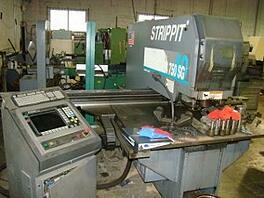 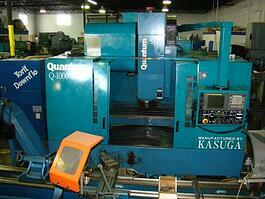 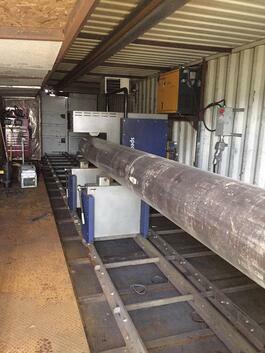 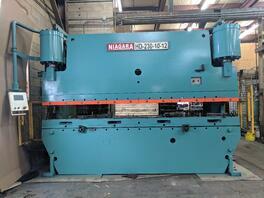 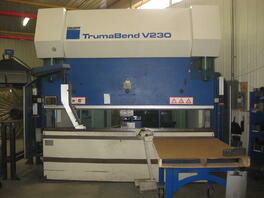 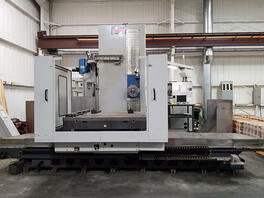 10’ X 12’ X 24’ HORIZONTAL BORING MILL WITH MANUAL PENDANT ,CONTROLLER, 100HP SPINDLE DRIVE WITH 22” DIA. 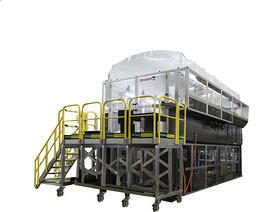 QUILL AND INTEGRATED FLOOD COOLANT SYSTEM. 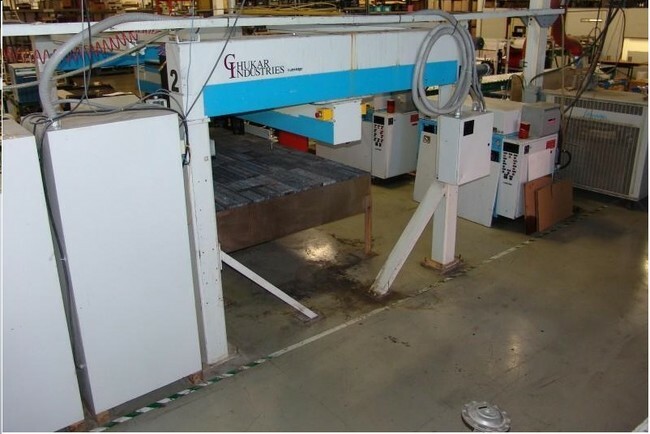 9 Gage X 10’ CNC Folding System with RAS Multibend CNC Controller, Large Backgage Work surface area, Full Assortment of “Goats Foot” tooling for Box and Pan Forming. 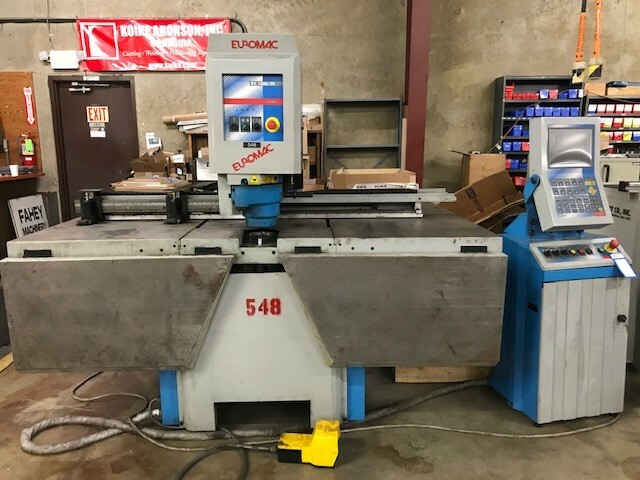 12" x 8" X 8” ZNC Diesinker EDM with 50AMP Power Supply, Sony LH11 three axis digital readout system, One shot lubrication, Brown & Sharpe 5" x 10" permanent magnetic chuck, Fire extinguisher, and Set of leveling pads. 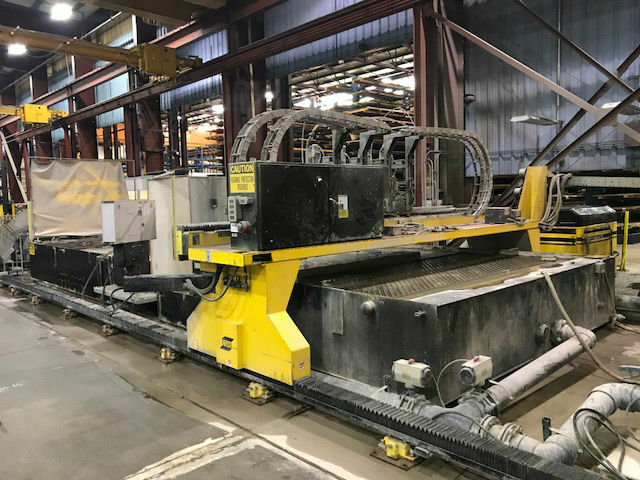 350 Ton X 22’ Hydraulic Press Brake with Manual Ram Positioning Controller, Rear Material Supports, Electric Foot Switch, Palm Button Stations, Manuals, Interlocked Construction and Clevis Mounted Self Aligning Cylinders. 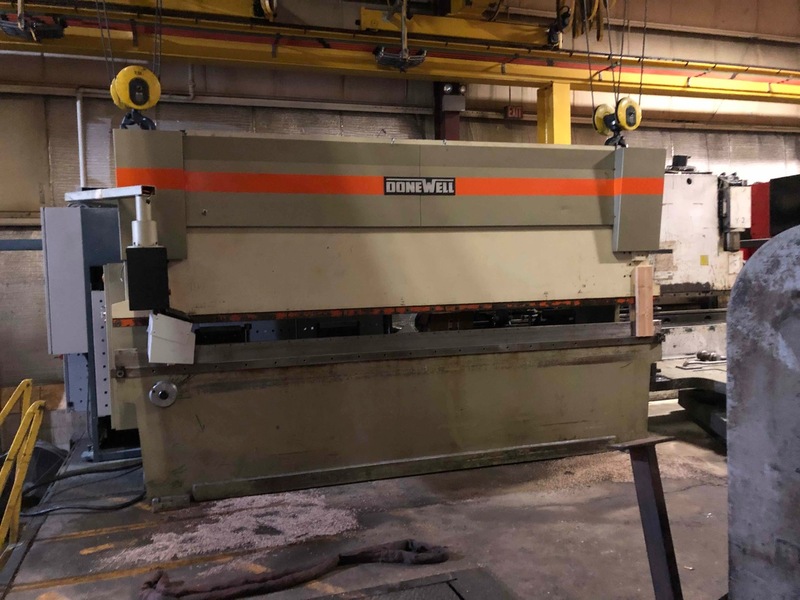 320 Ton X 12’ 4 Axis CNC Hydraulic Press Brake with Cybelec DNC80 CNC Controller, Dual Ram Encoders, Automatic In Bed Crowning with Variable Tonnage. 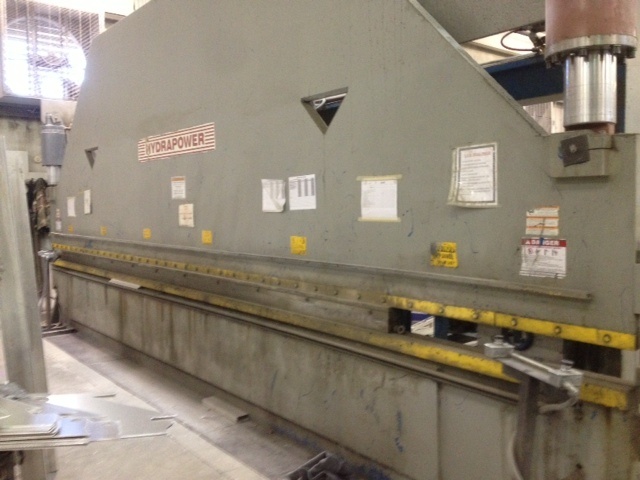 230 Ton X 14’ CNC Hydraulic Press Brake with Cincinnati HMI PC Based Controller, 2 Axis 24” Backgauge, Autocrown, Power Clamping Upper/Lower, Precision Ram Leveling With Dual Linear Glass Scale Encoders, Off Load Center Compensation, Variable Volume Load Sensing Pump and Servo Hydraulic System, Presence Sensing Interface, Light Curtains, Control Mounted Palm Button Station. 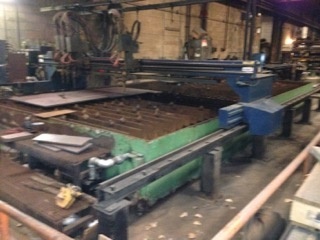 200 TON X 16’ Hydraulic Press Brake with Manual Ram Height Adjustment, Electric Footswitch and Dual Palm Buttons for Operation, Sectional Ram Clamps and Horn Extensions on Both Ends. 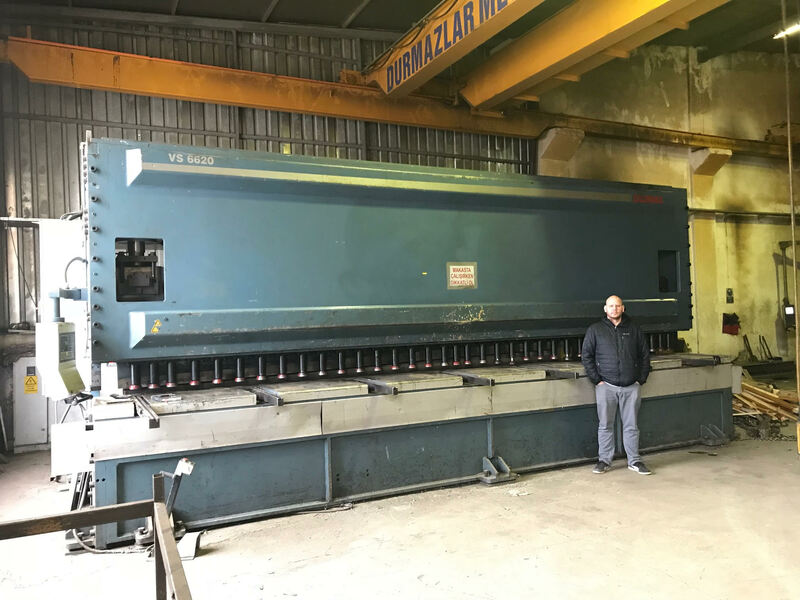 150 Ton X 10’ CNC Hydraulic Press Brake with LVD Cadman Lite CNC Control, Sectional Ram Clamps, Y1, Y2 Dual Ram Encoders, 2 Axis Back Gauge (X & R)), High Speed Servo Hydraulic System, Pedestal Palm Station / Electric Foot Switch and Heidenhain Linear Scales on Ram. 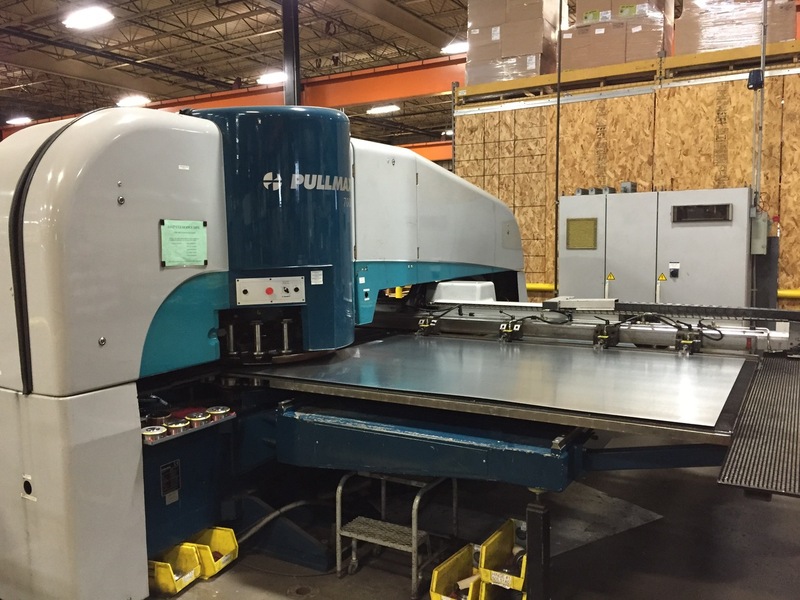 55 Ton X 6’ Mechanical Press Brake with Hurco Autobend 5C Controller, 24” Programmable Back Gage, Filler Block and Variable Speed Operation. 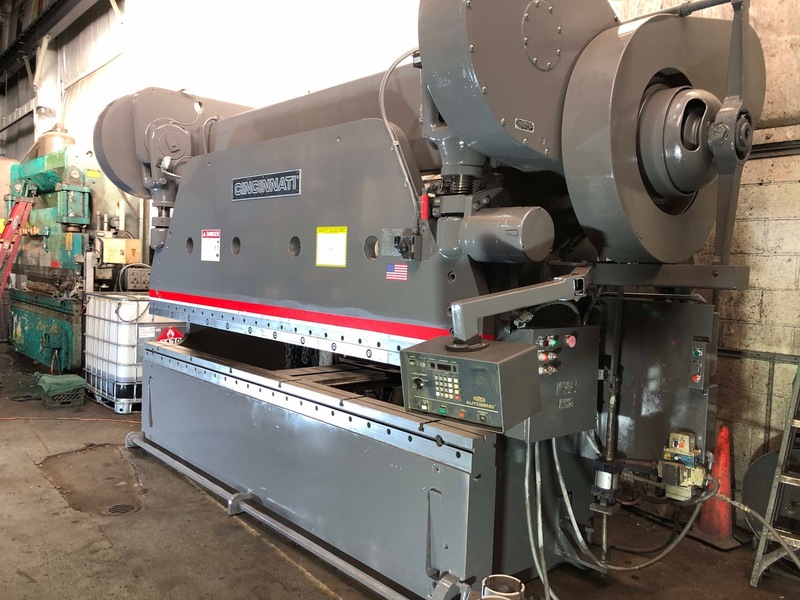 35 Ton X 6” Hydro-Mechanical Press Brake with Easy Manual Ram Adjustments, Dual Push Button & Foot Pedal Operation, Tonnage Control Valve, One Shot Lube System, Filler Block and Tooling as Pictured. 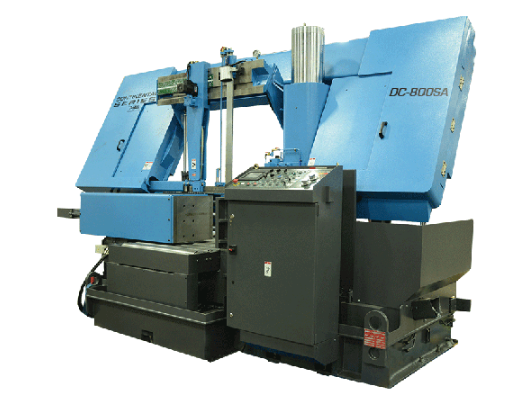 3" OD x .120 Wall Capacity 3-Axis CNC Mandrel Type Horizontal Tube Bending System with Eaton Leonard Premier Control System, 180 Degree Maximum Bend Radius, 12" Maximum Bend Centerline radius, Mandrel Extractor, Pressure Die Assist, Direct Acting Pressure Die, Drop Away Type Clamping Die, Pneumatic Collet Closer, and Auto Lubrication System.